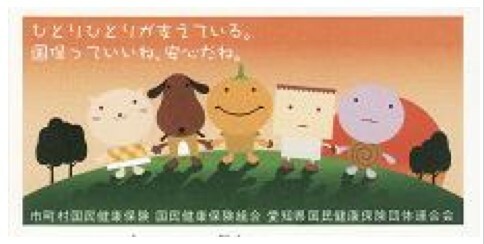 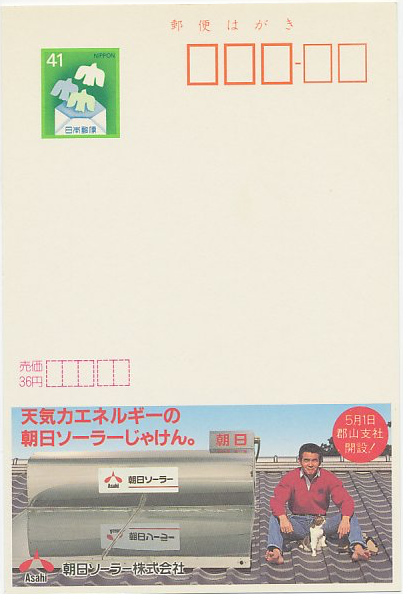 If you can help us translate the ad or know the date of issue for this item, please let us know. 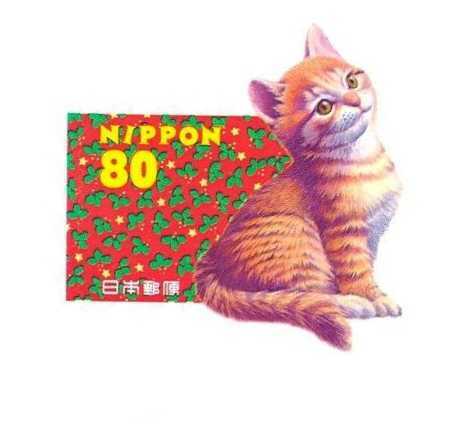 If you know anything about this, please let us know. 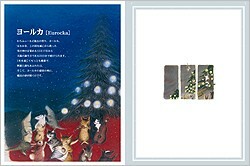 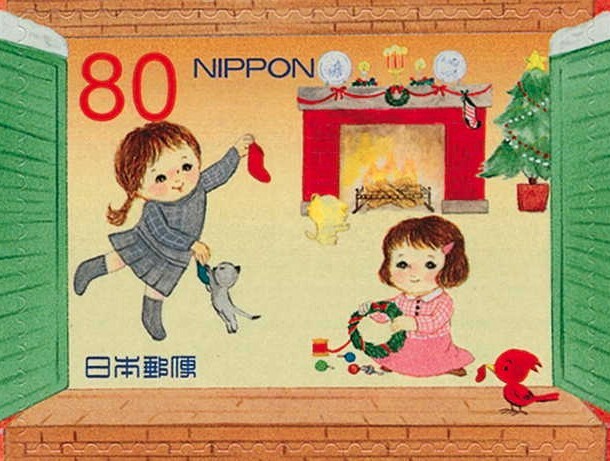 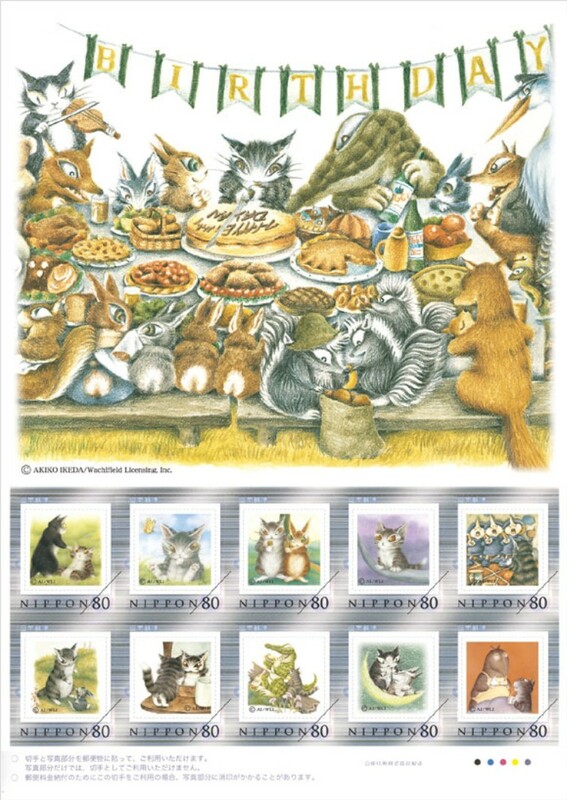 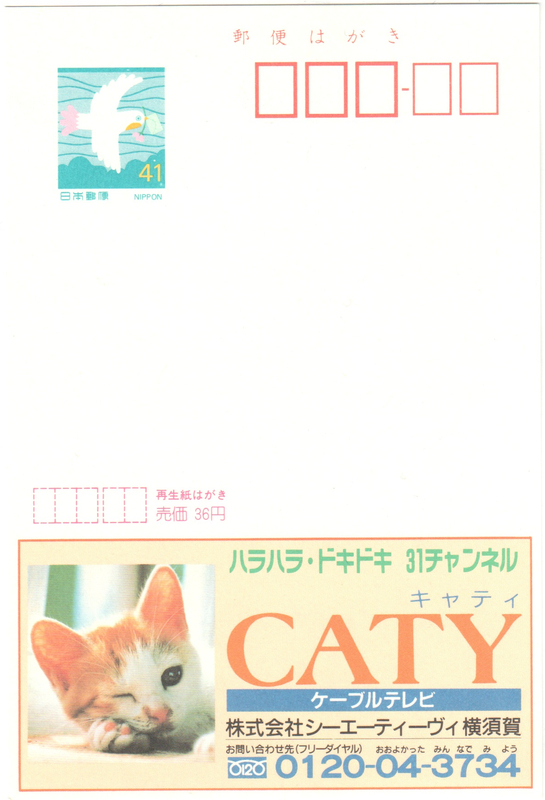 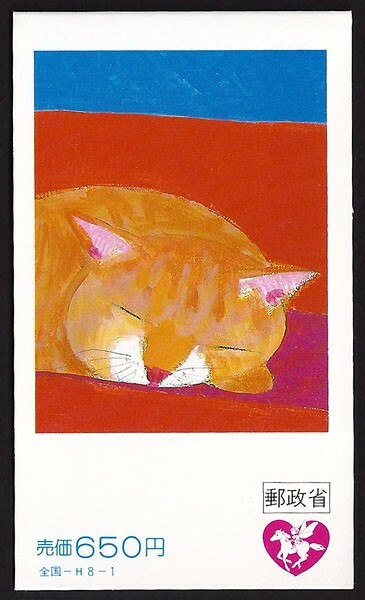 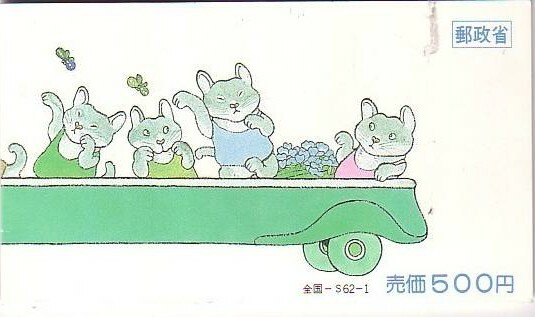 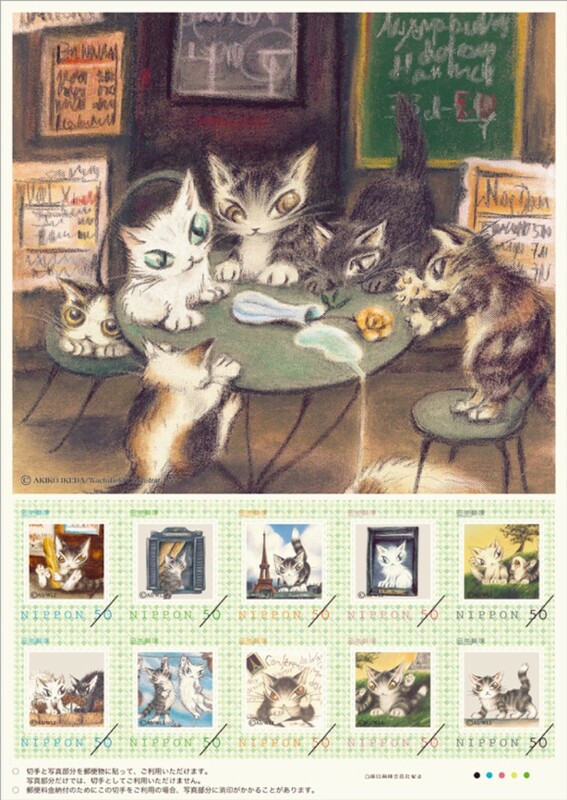 Echo card with advertising for "CATY"
If you can help translate the ad, know the exact date of issue or have any further information about this item, please let us know. 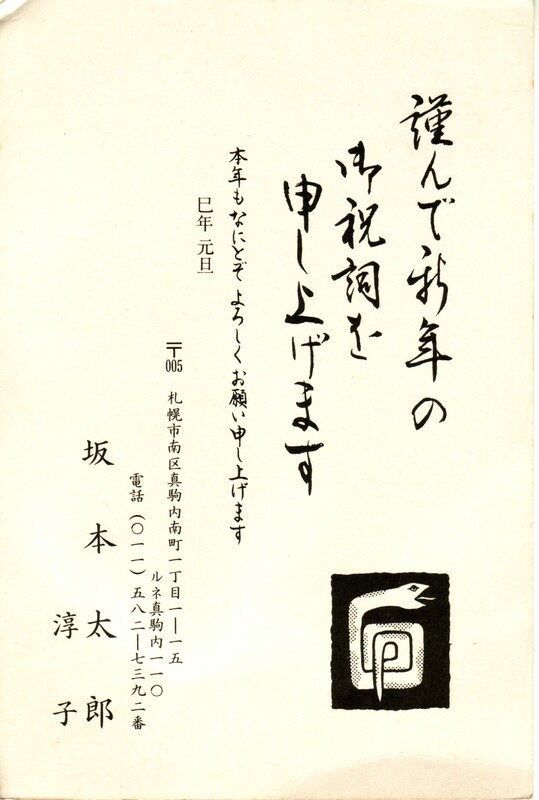 If you can help translate the ad, know the exact date of issue, or have any further information about this item, please let us know. 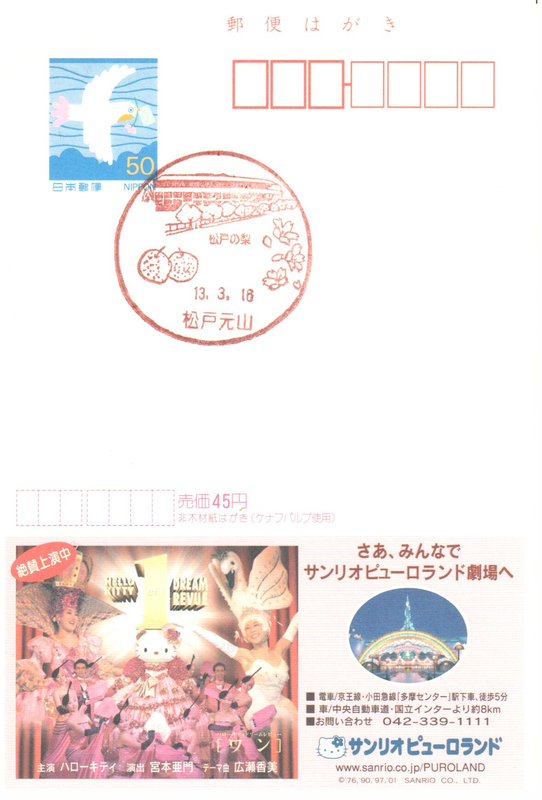 If you know the date of issue for this item, please let us know. 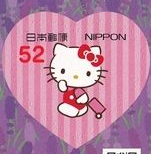 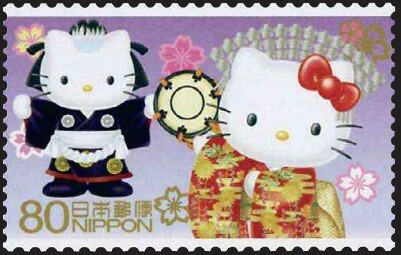 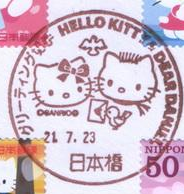 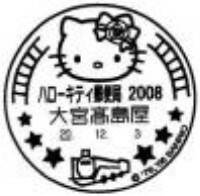 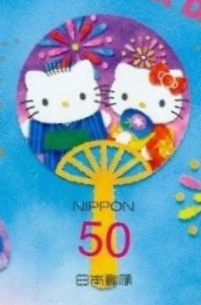 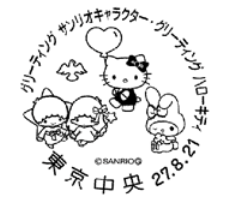 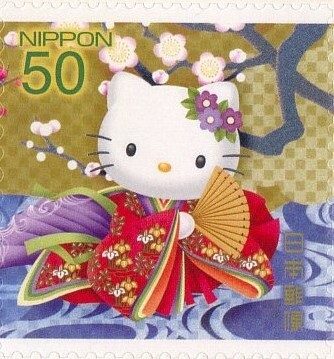 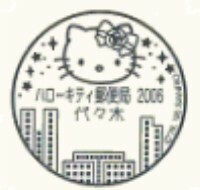 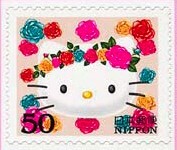 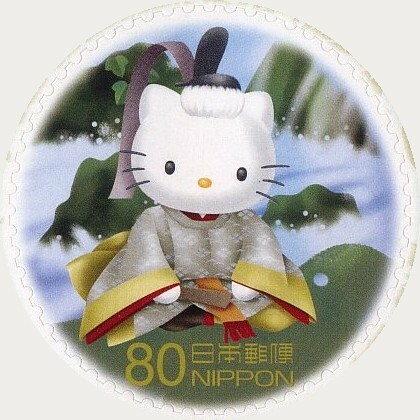 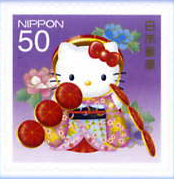 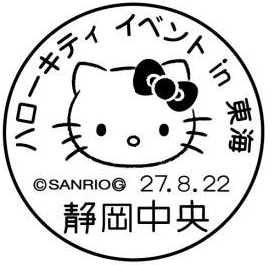 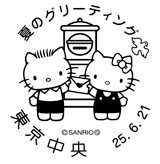 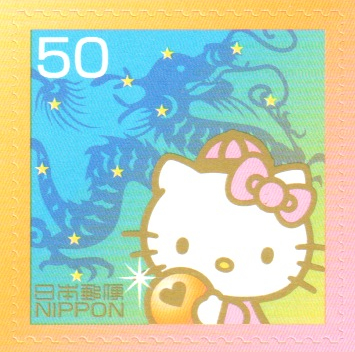 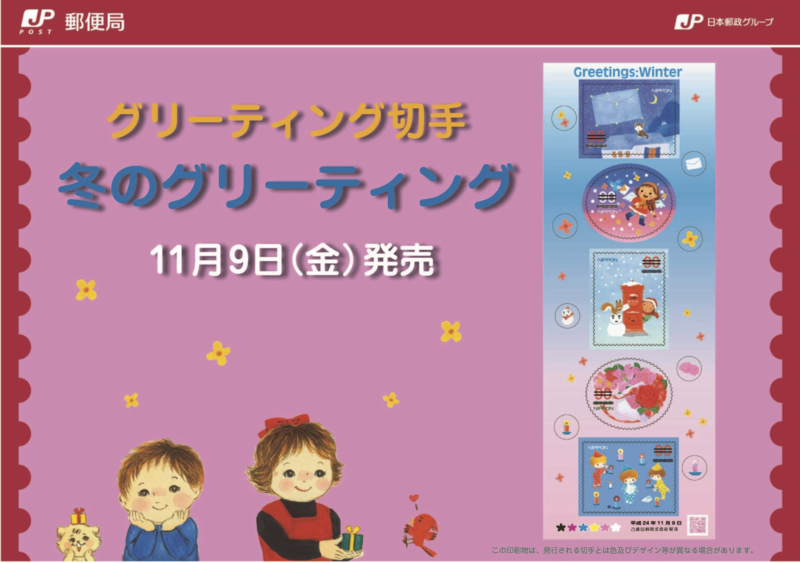 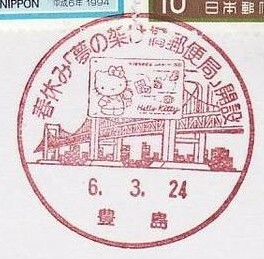 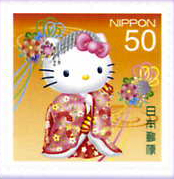 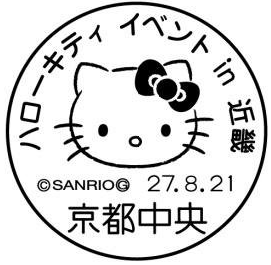 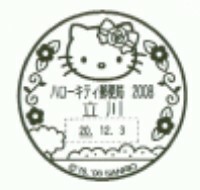 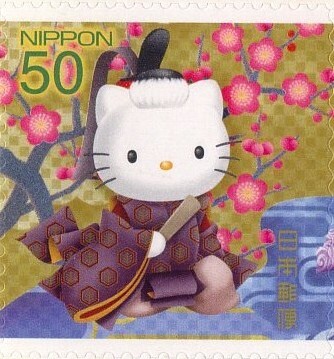 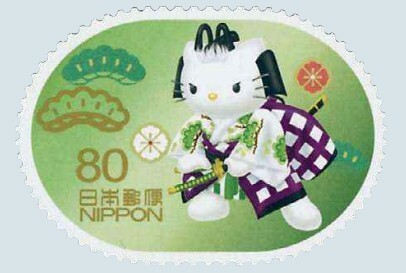 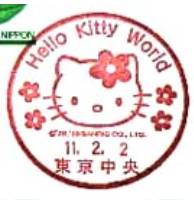 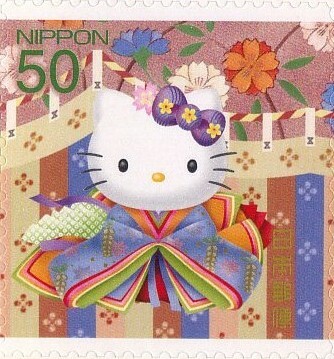 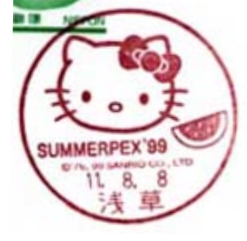 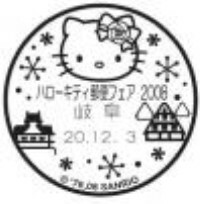 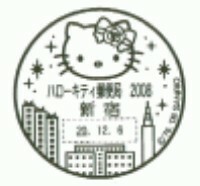 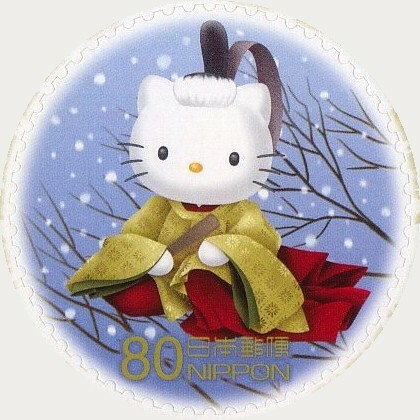 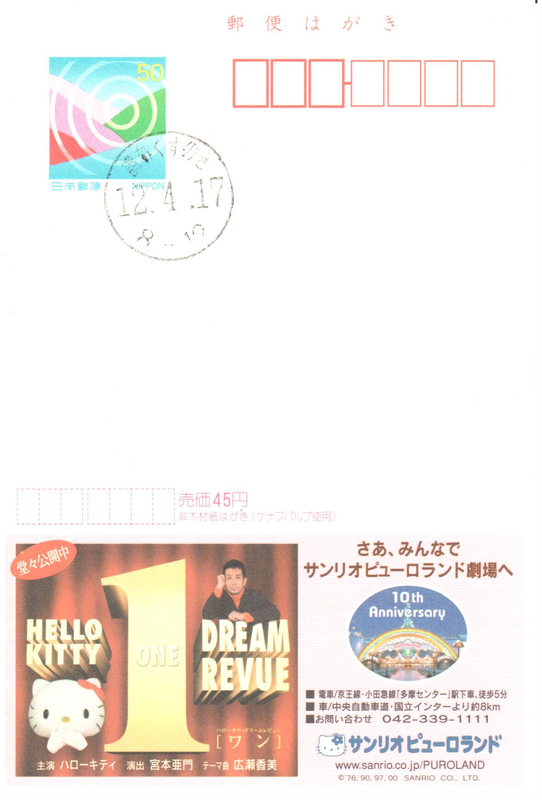 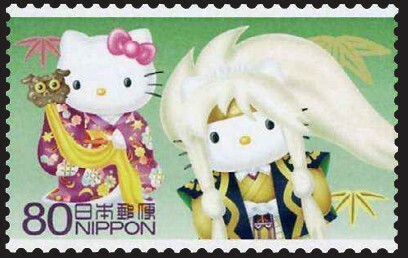 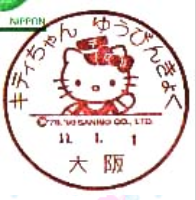 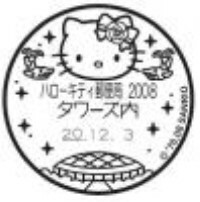 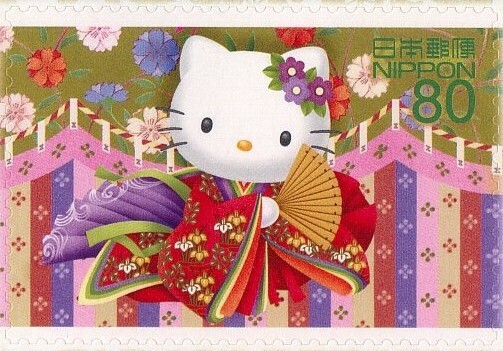 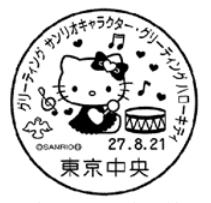 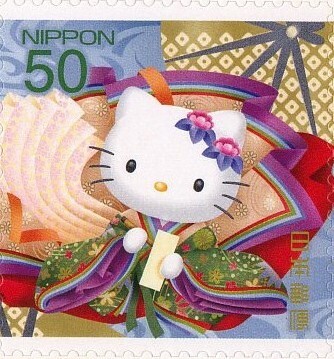 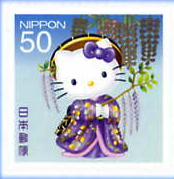 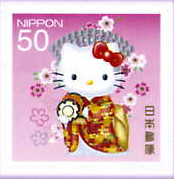 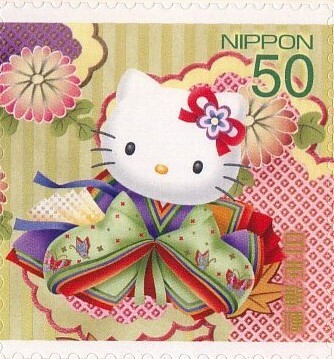 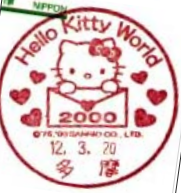 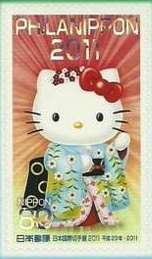 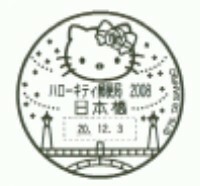 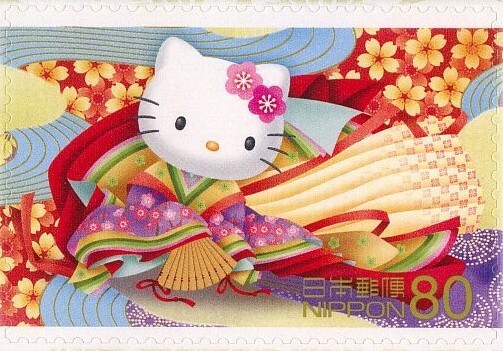 "Hello Kitty One Dream Revue...."
2 Oct 2000 - ??? 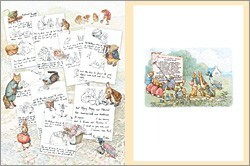 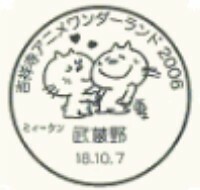 1 Oct 2003 - ??? 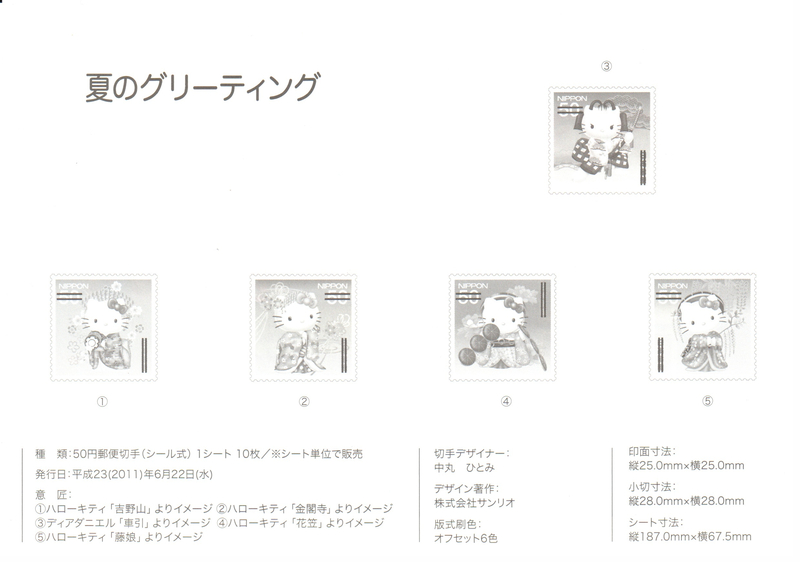 Also see versions from 2010, 2012, 2013, 2014, 2015, 2016, and 2017. 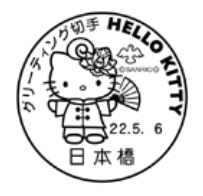 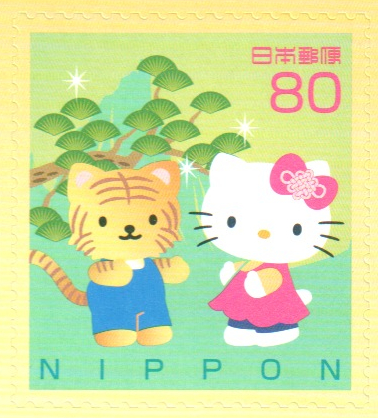 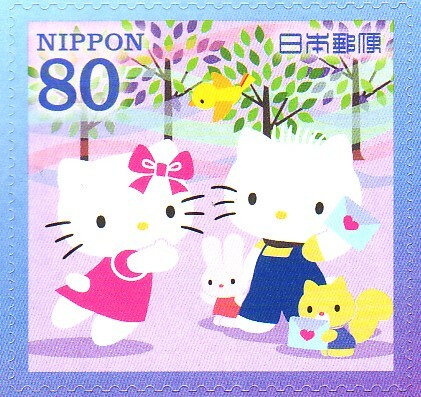 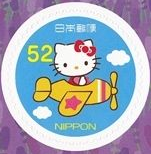 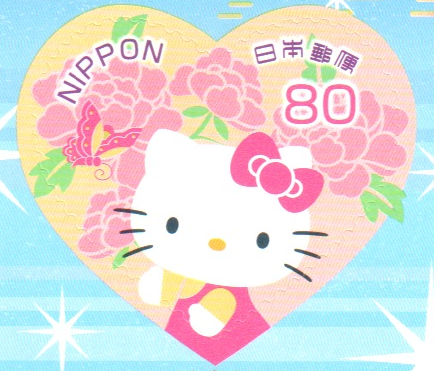 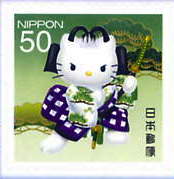 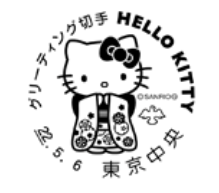 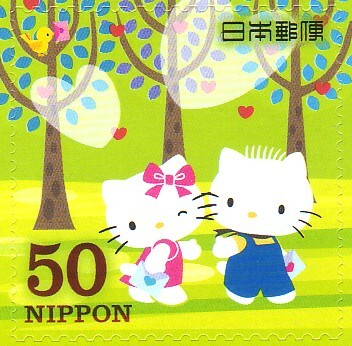 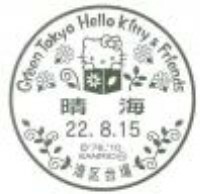 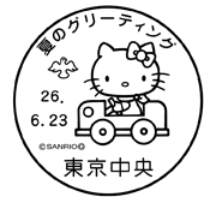 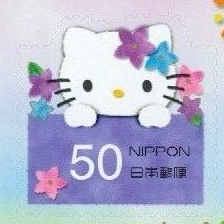 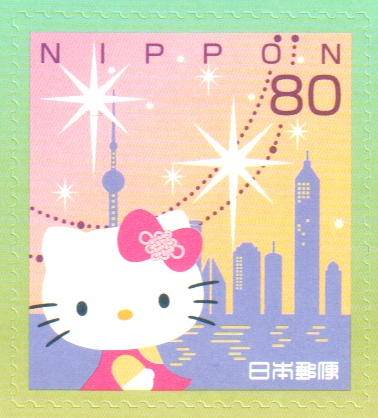 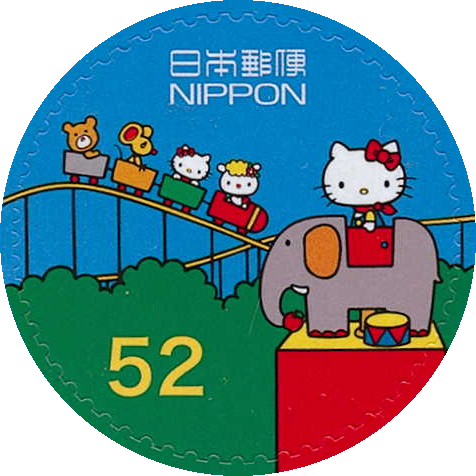 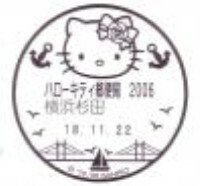 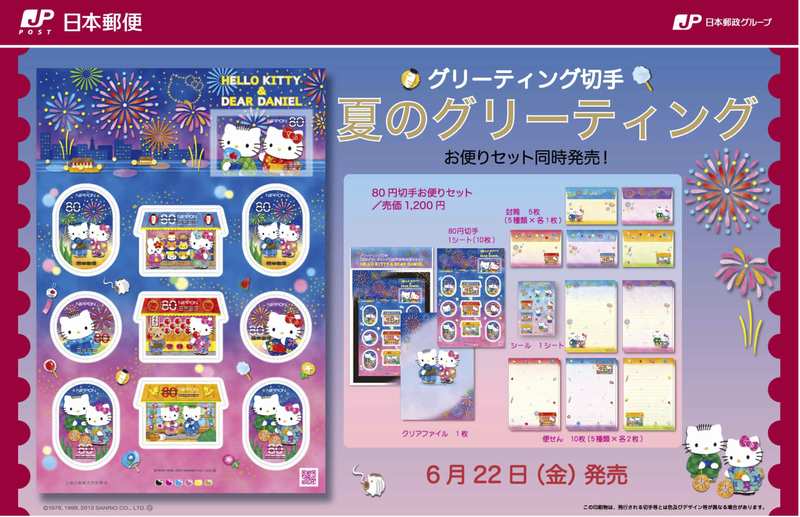 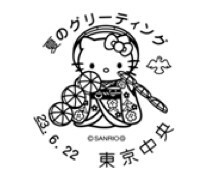 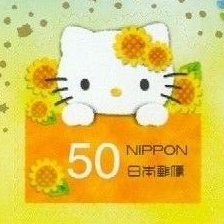 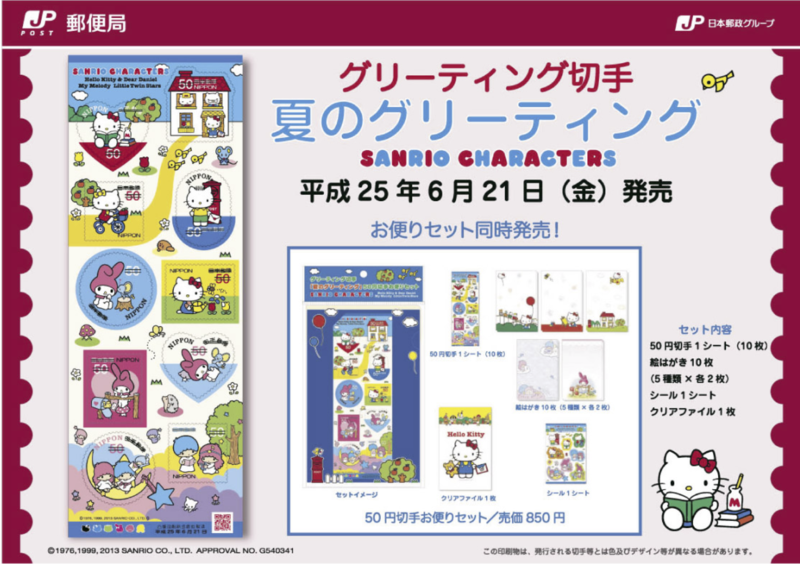 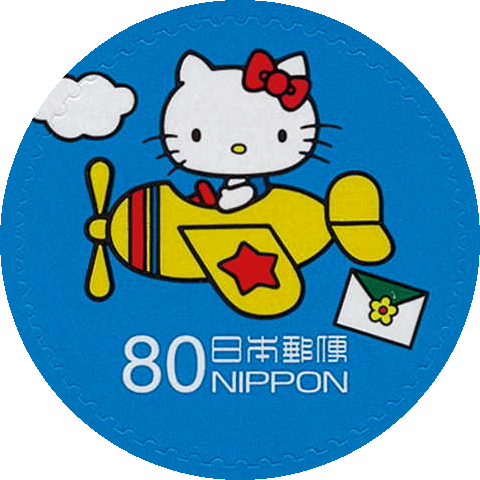 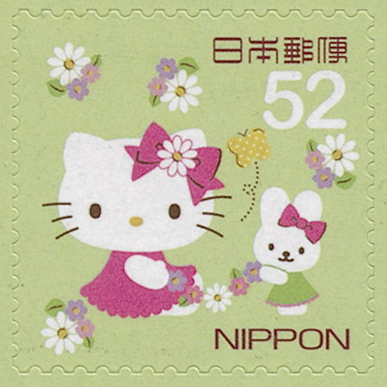 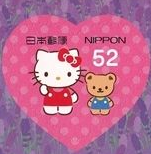 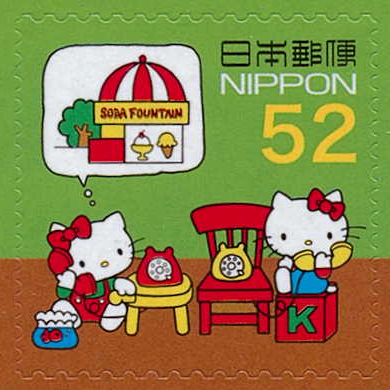 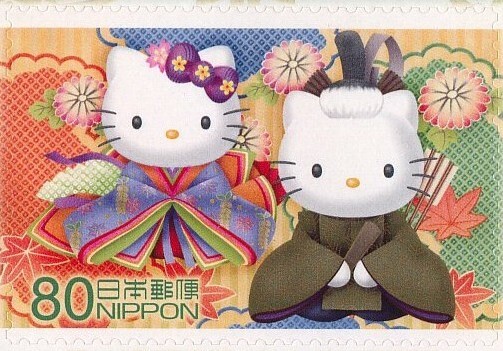 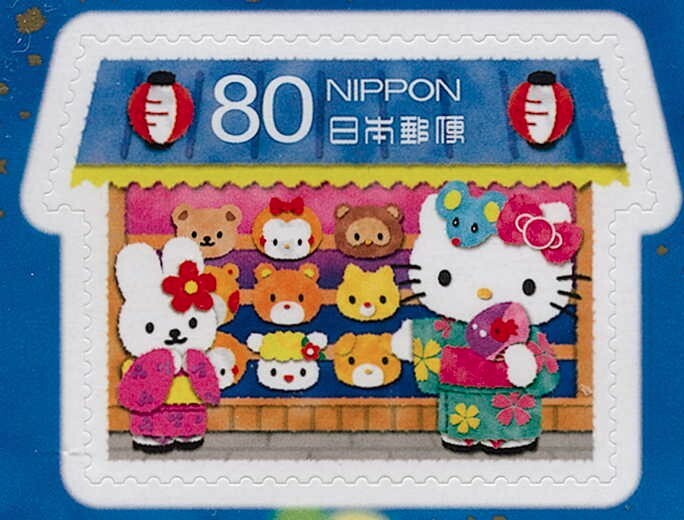 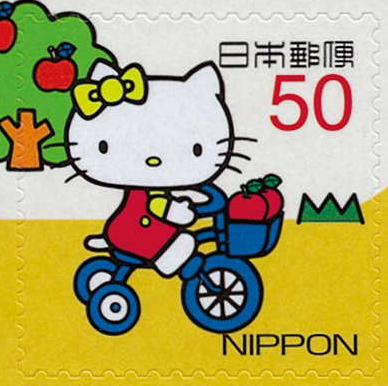 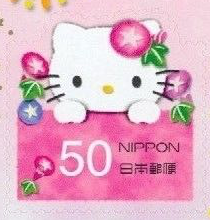 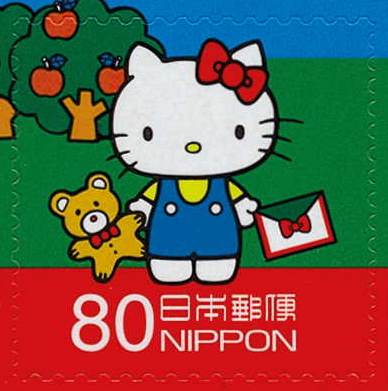 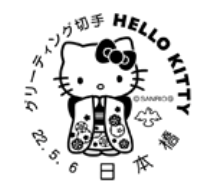 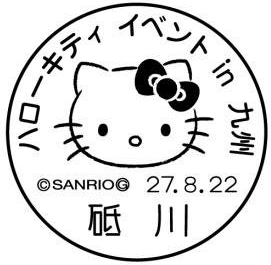 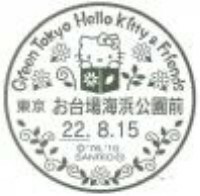 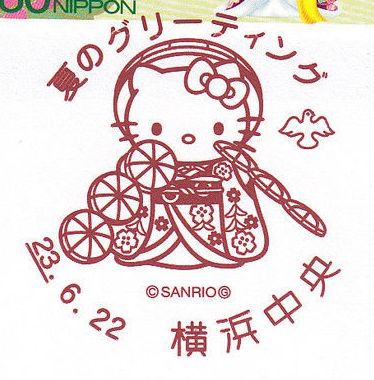 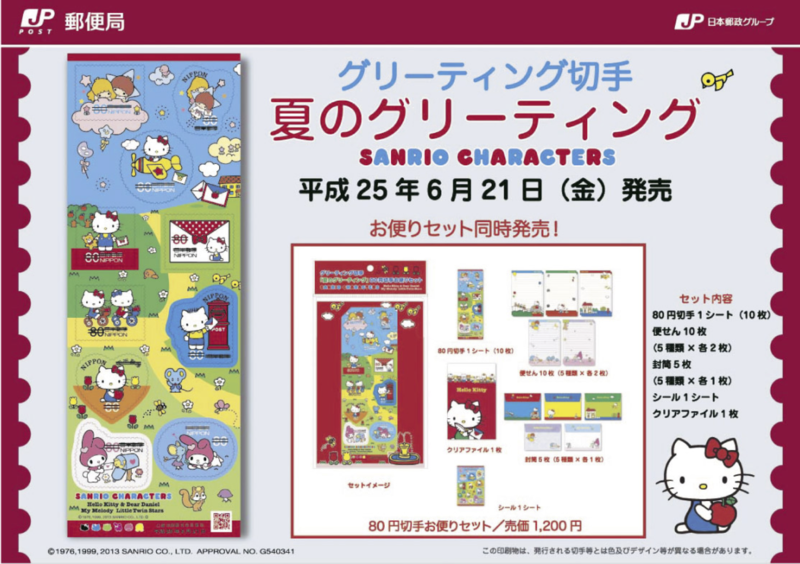 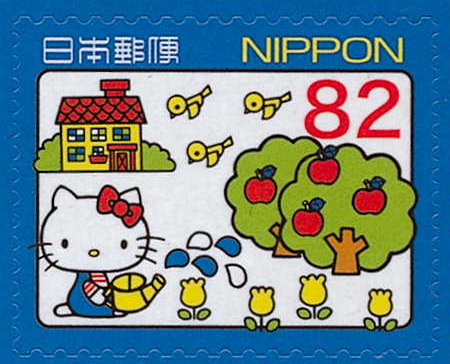 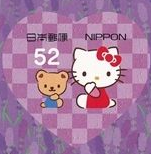 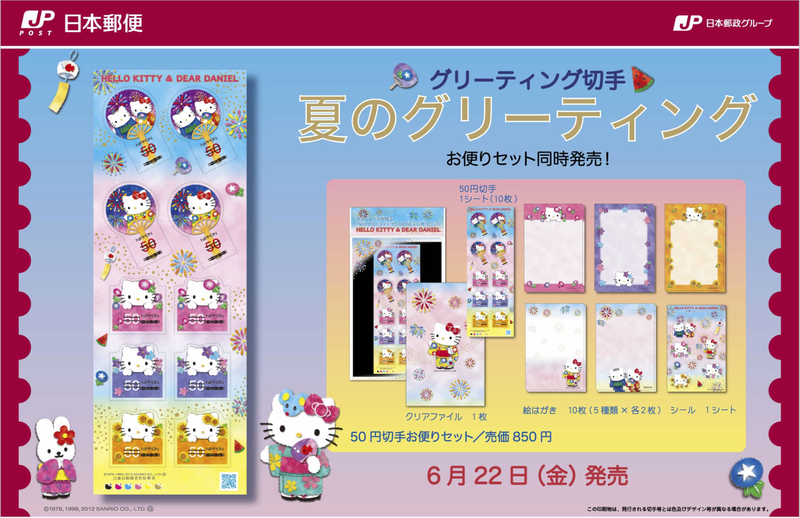 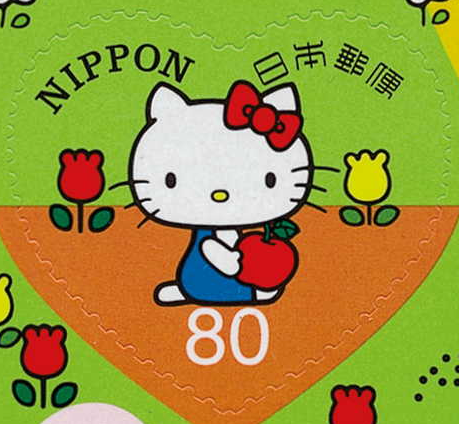 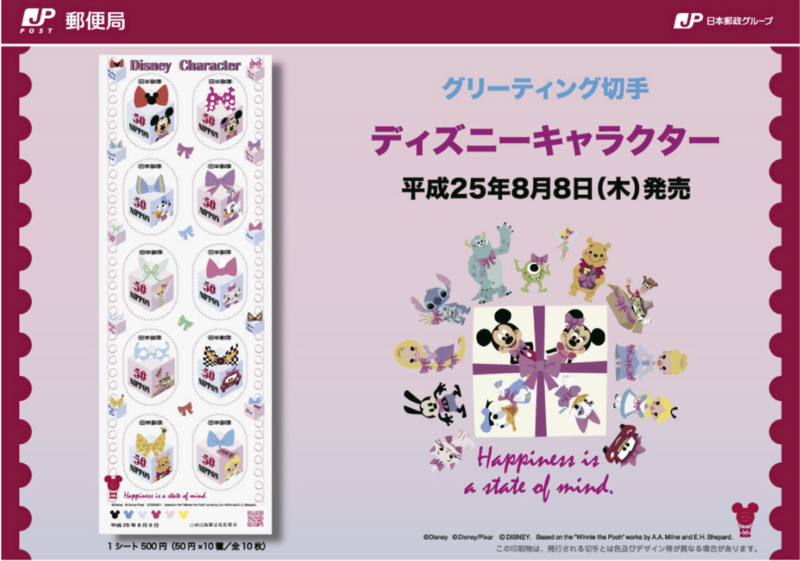 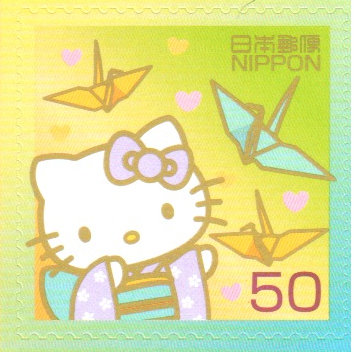 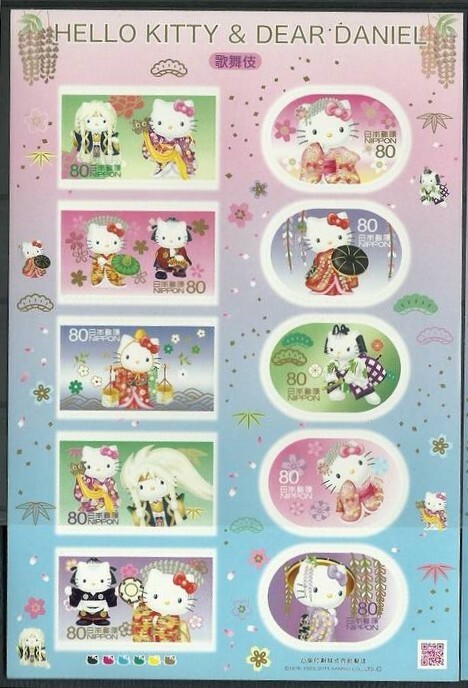 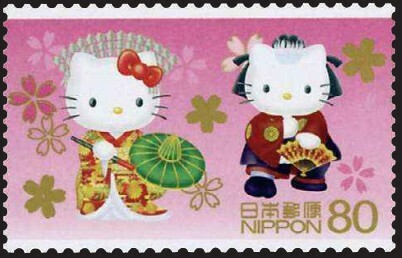 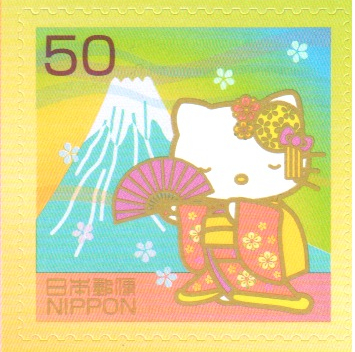 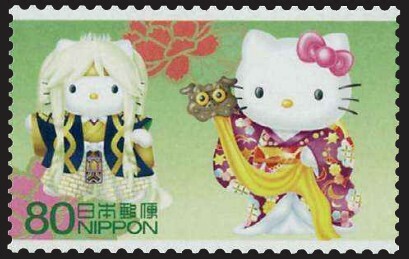 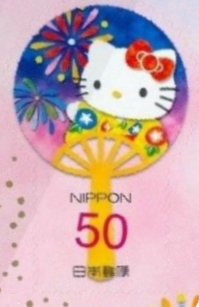 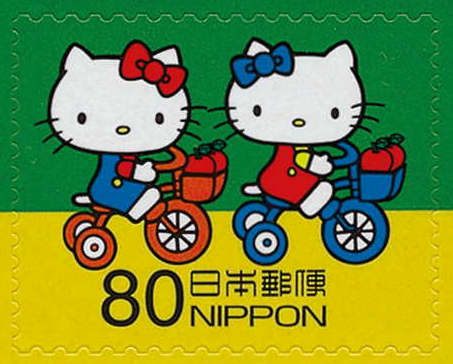 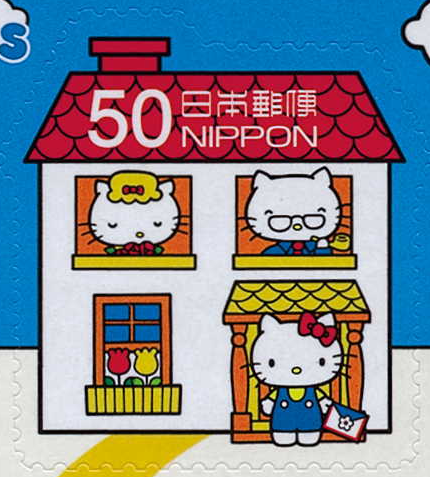 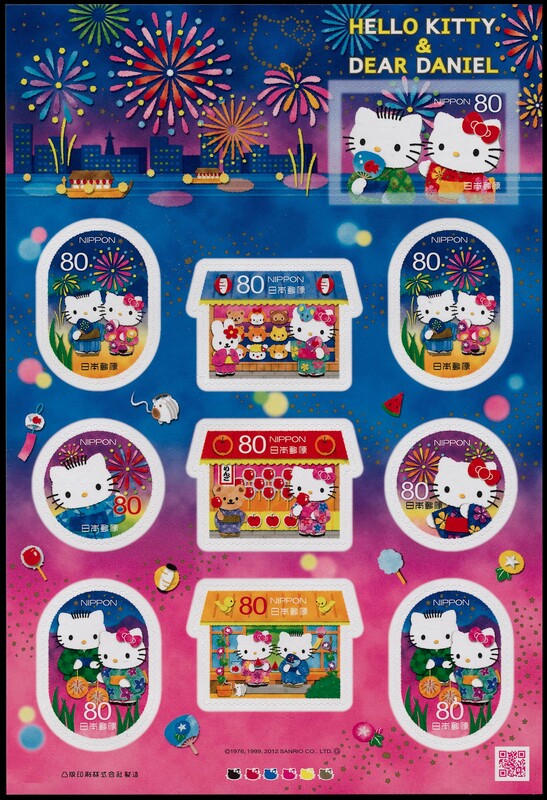 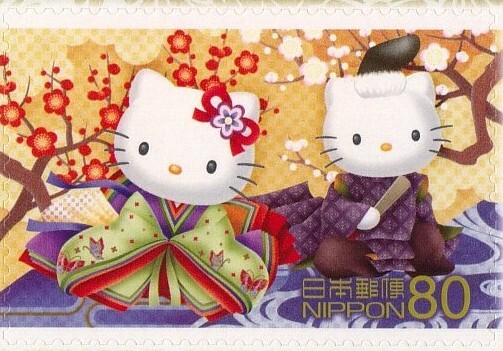 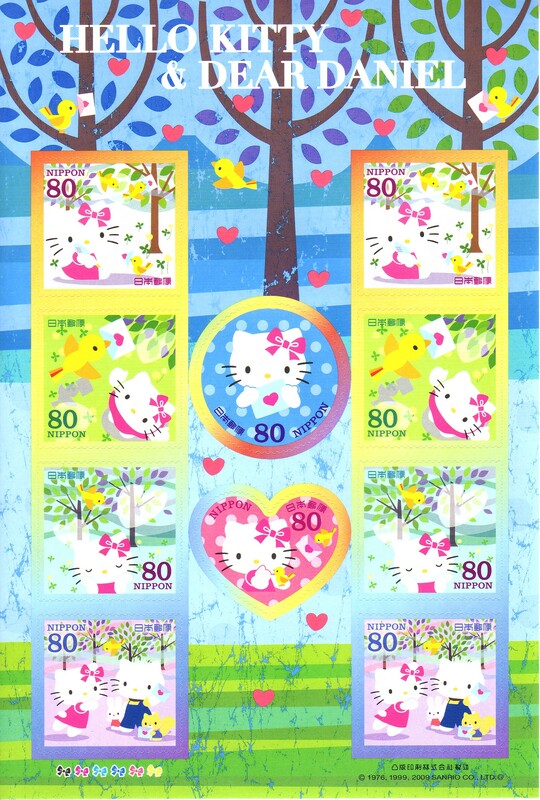 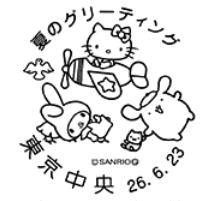 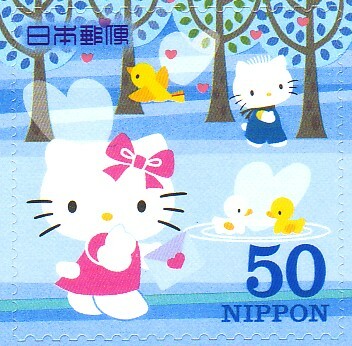 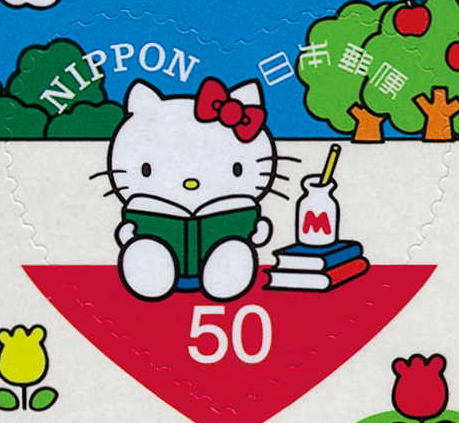 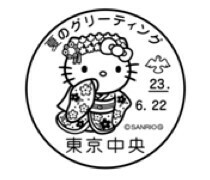 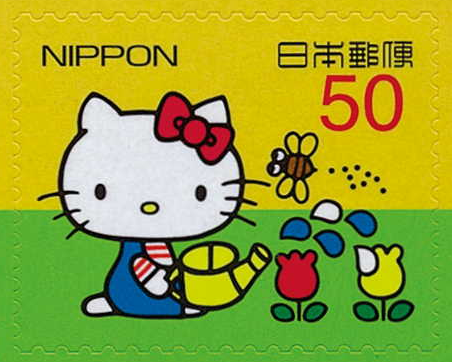 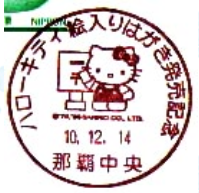 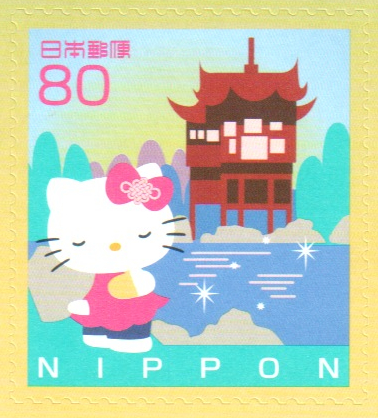 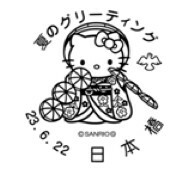 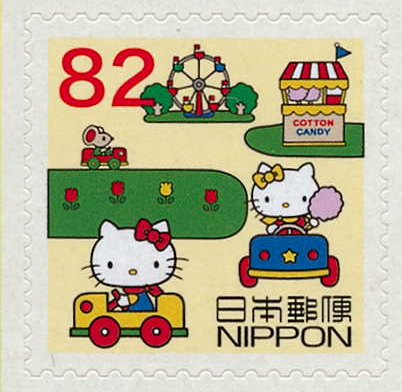 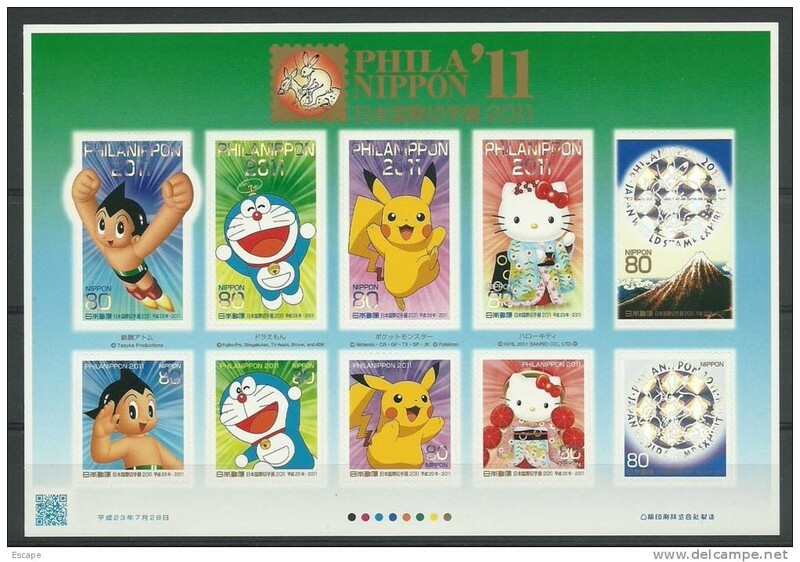 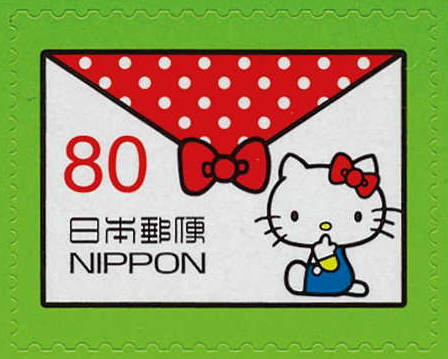 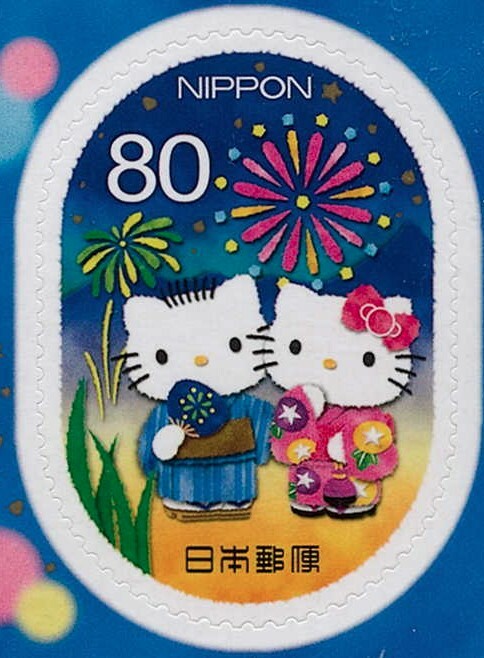 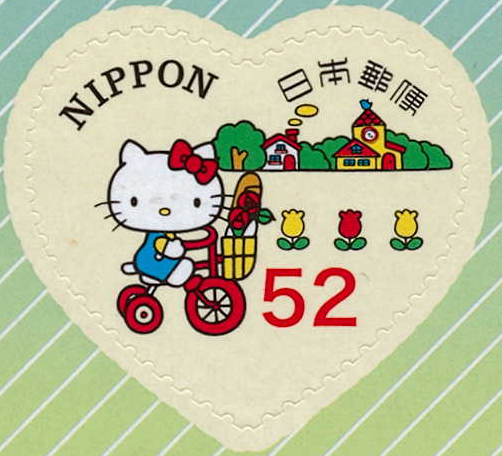 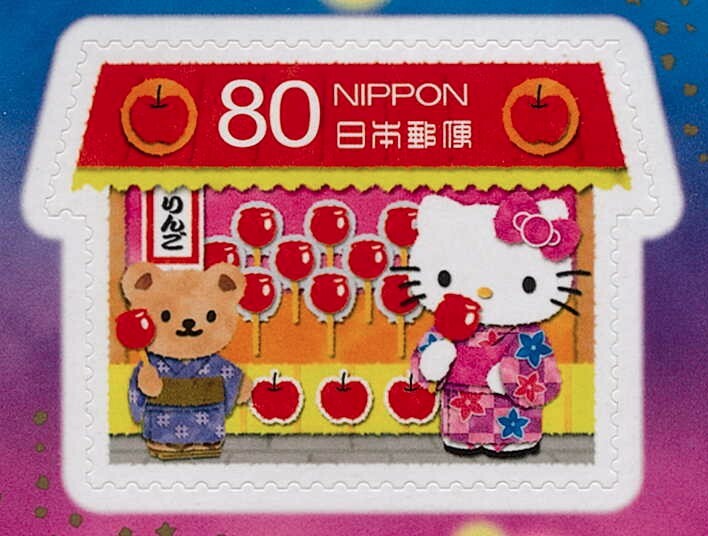 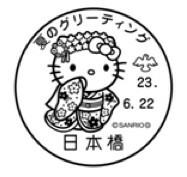 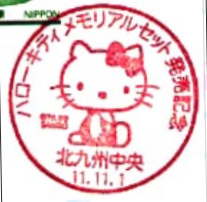 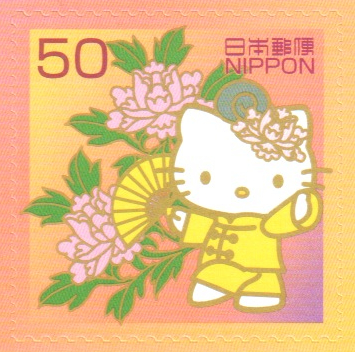 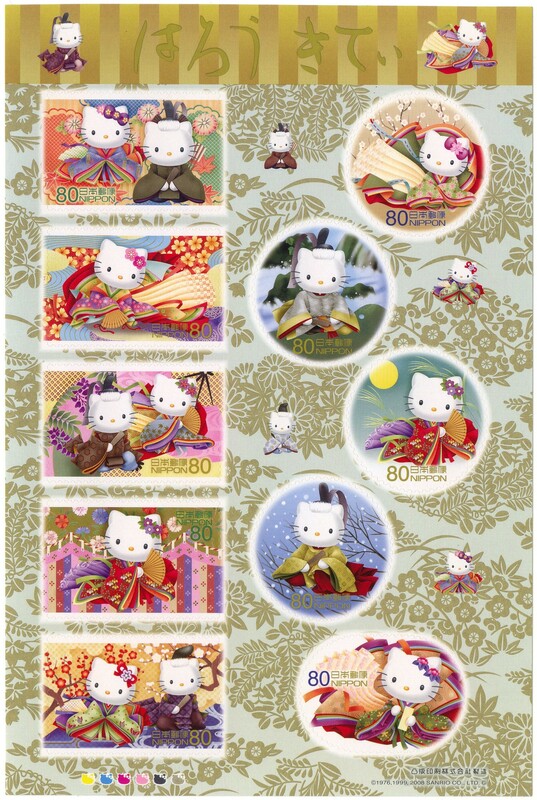 "Green Tokyo - Hello Kitty & Friends"
Also see 2012, 2013, 2014, 2015, and 2016 versions. 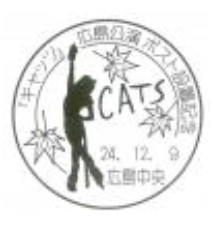 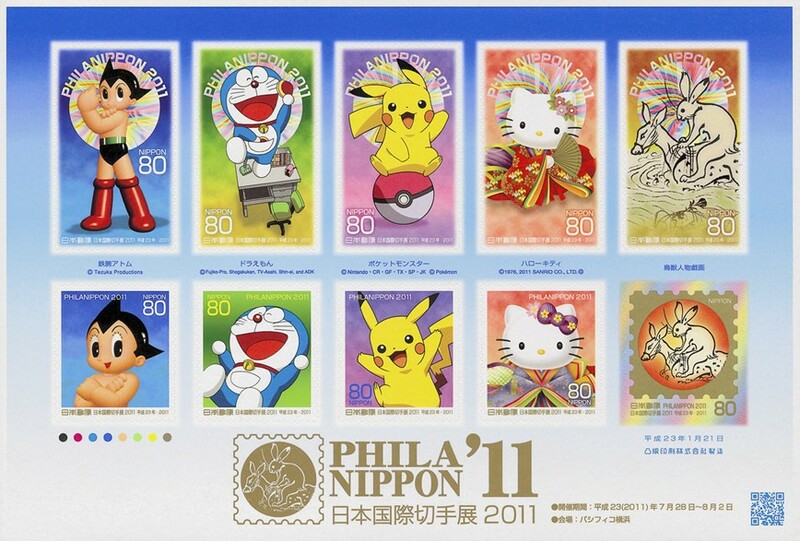 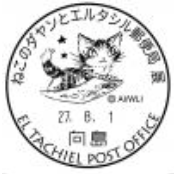 There are 12 versions of this postmark. 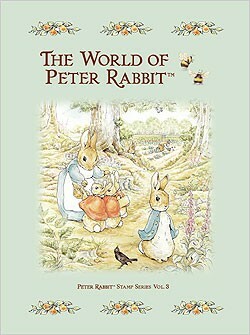 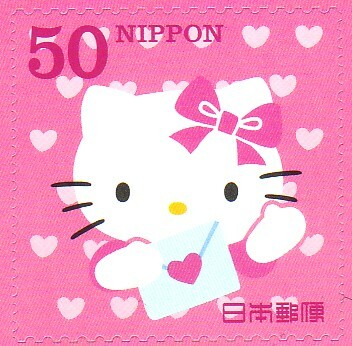 Click here for a detailed list. 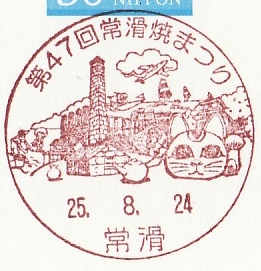 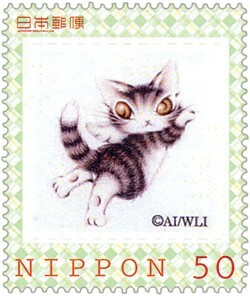 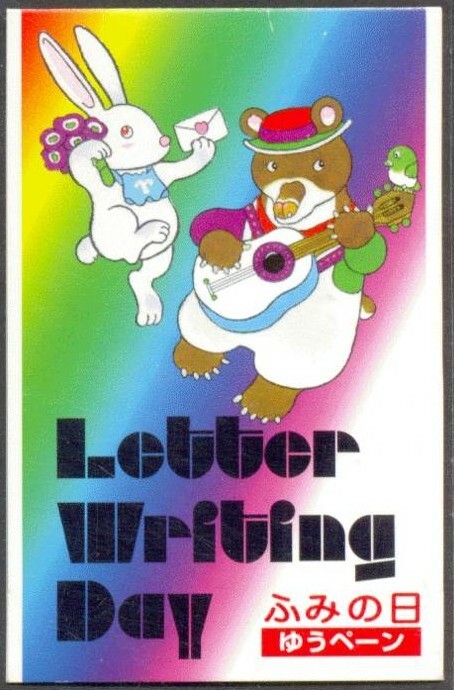 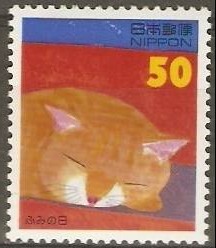 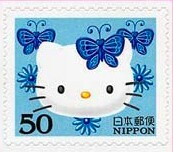 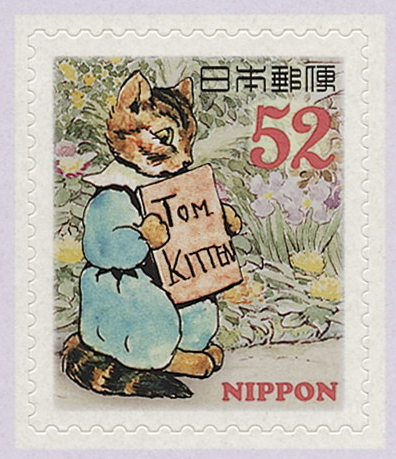 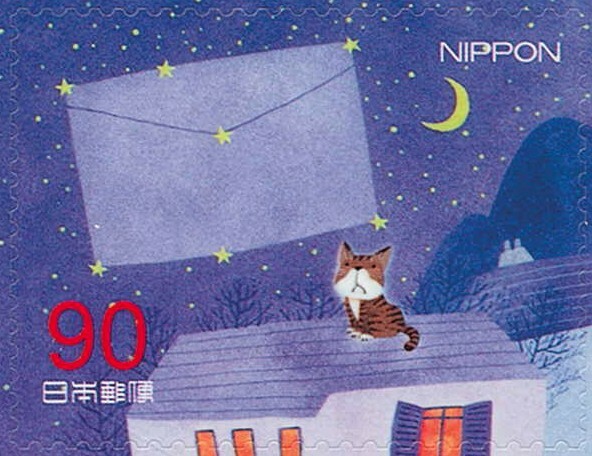 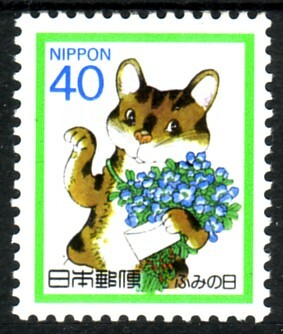 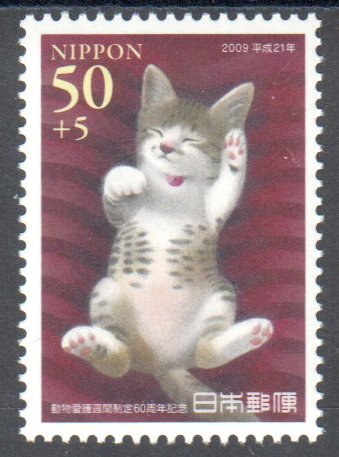 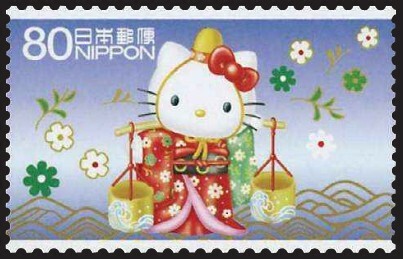 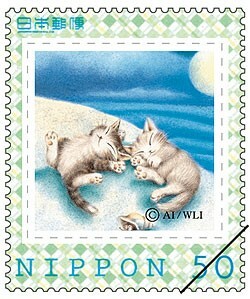 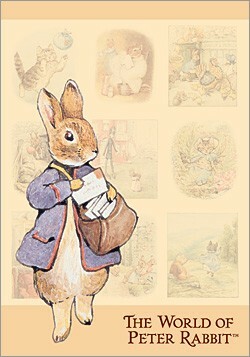 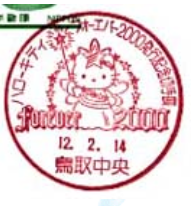 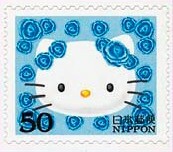 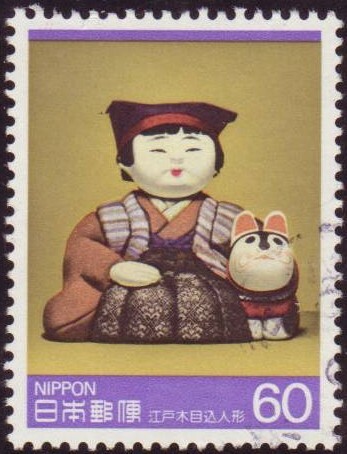 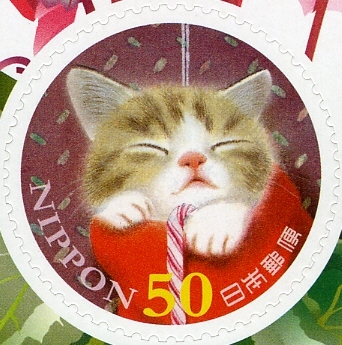 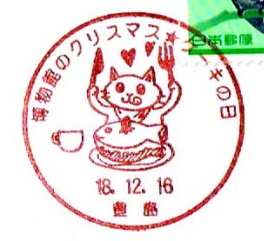 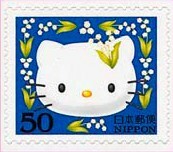 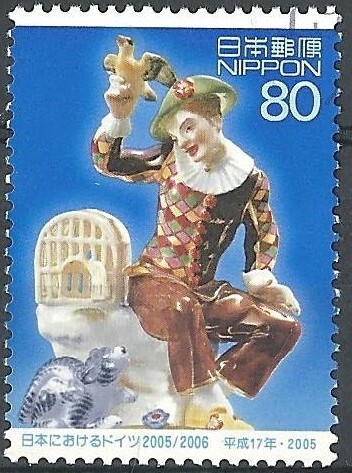 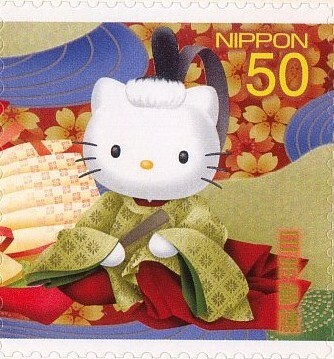 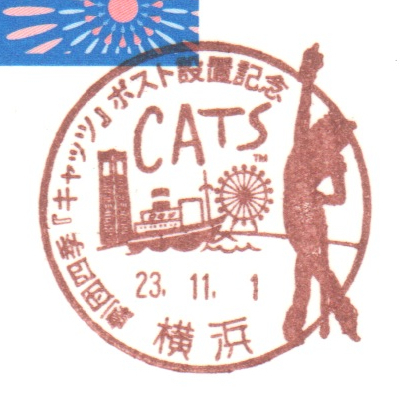 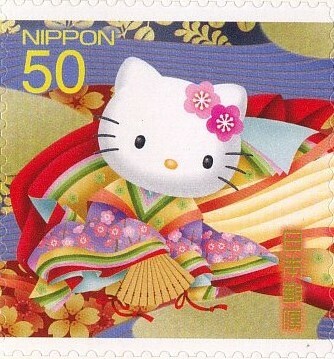 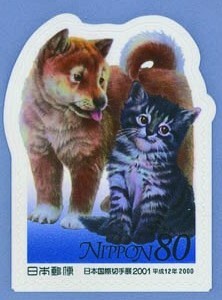 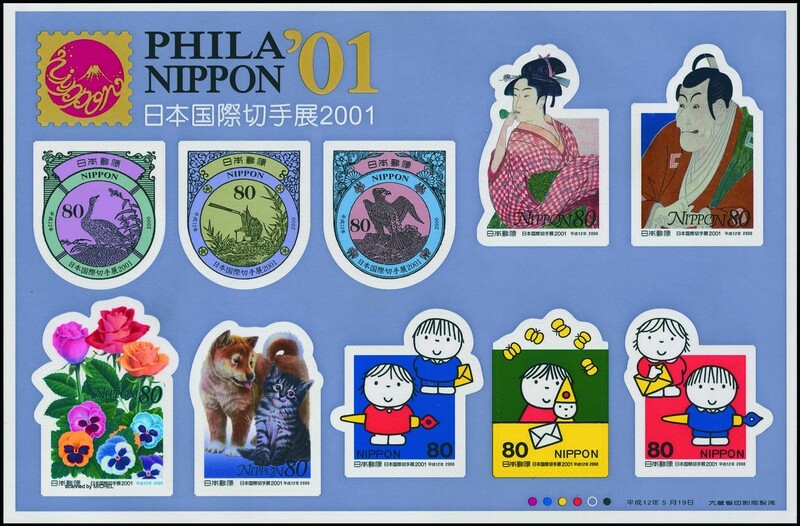 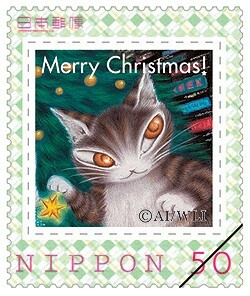 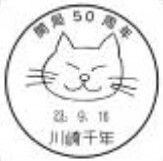 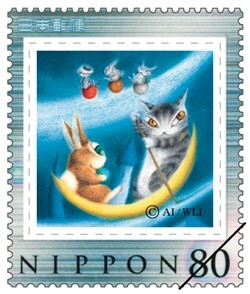 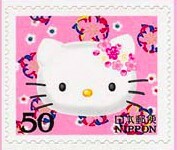 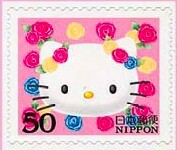 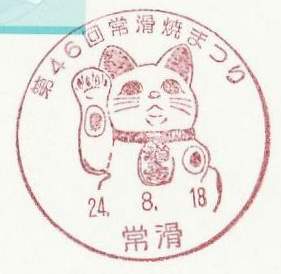 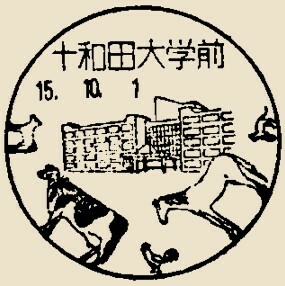 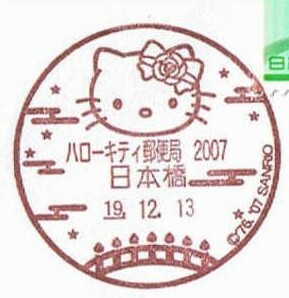 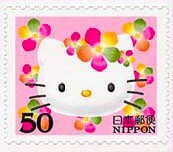 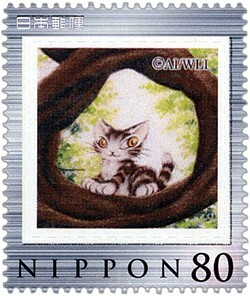 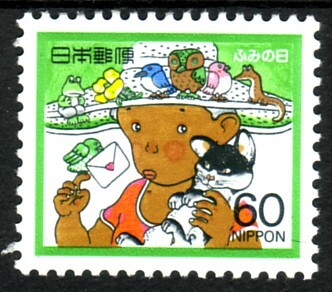 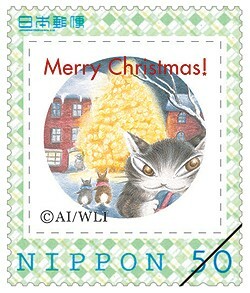 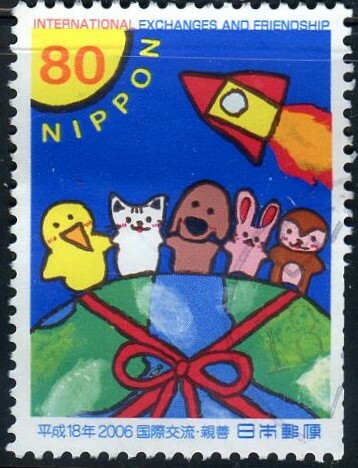 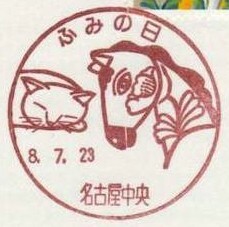 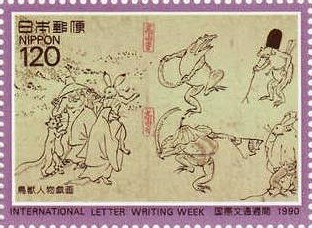 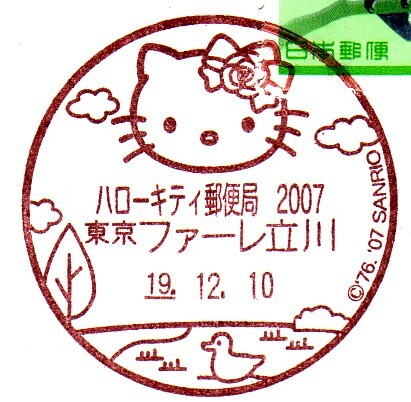 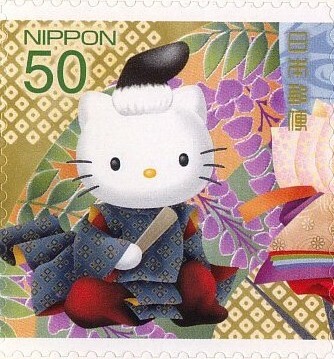 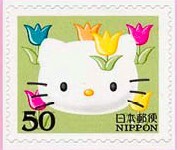 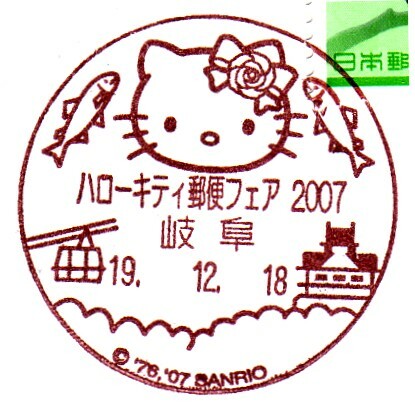 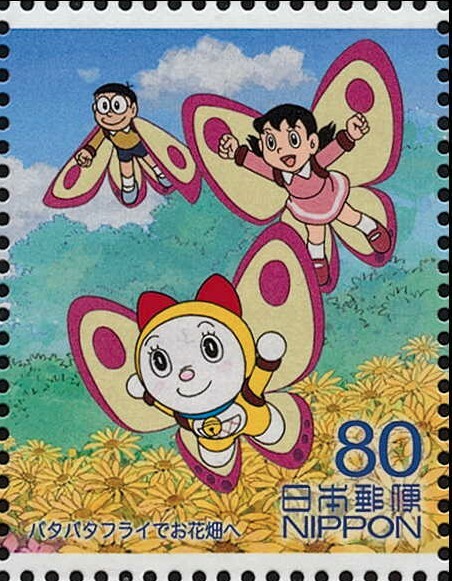 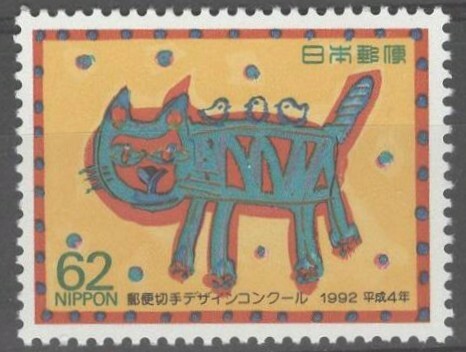 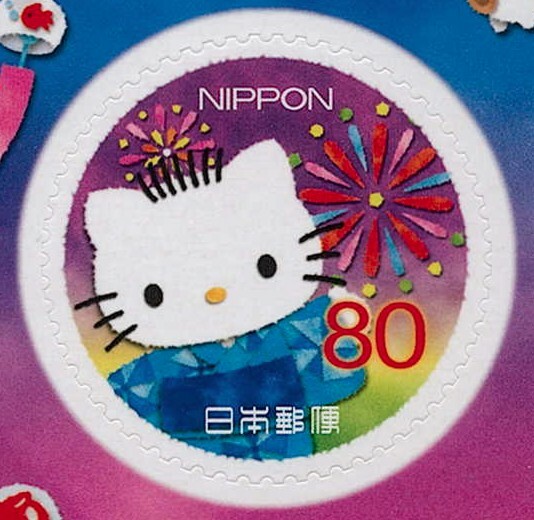 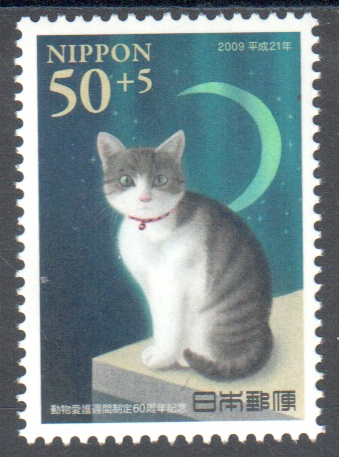 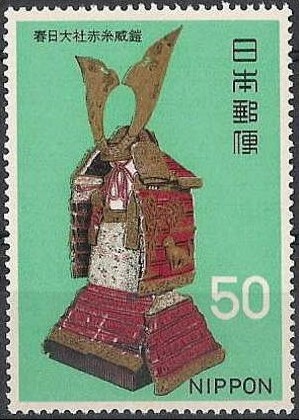 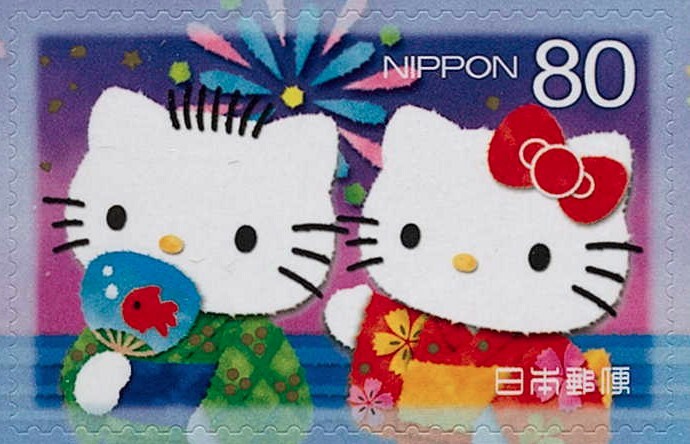 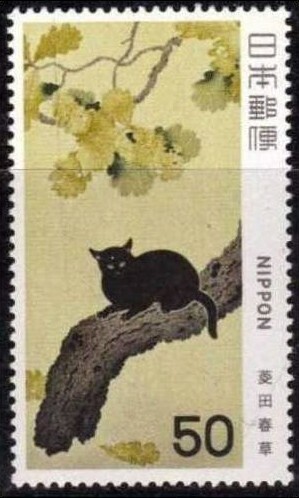 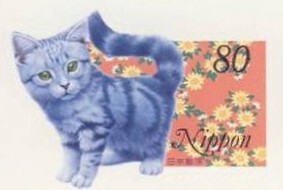 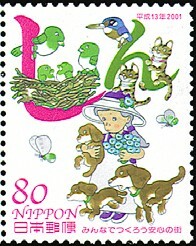 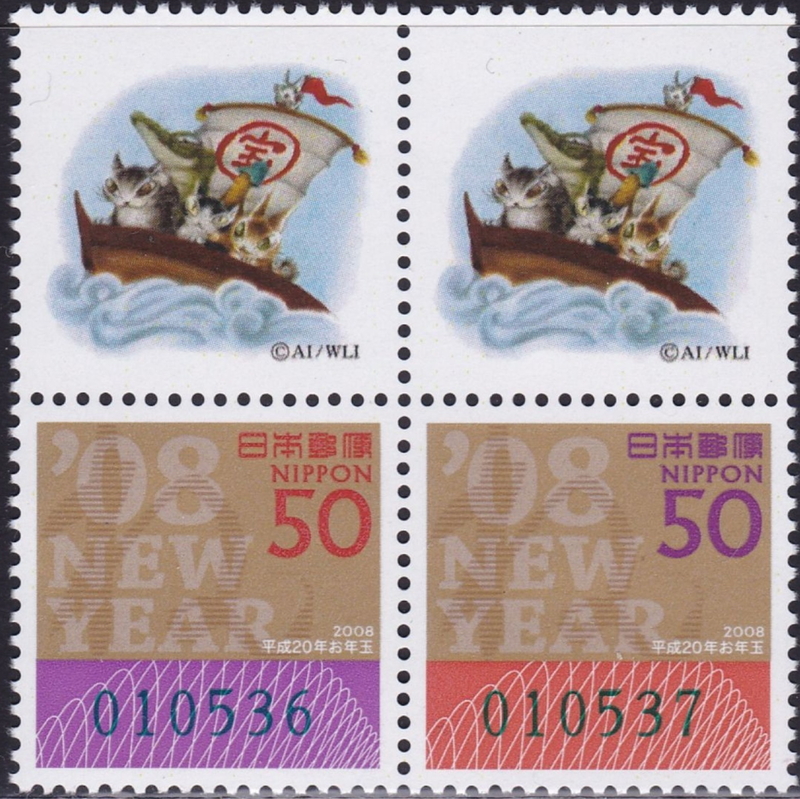 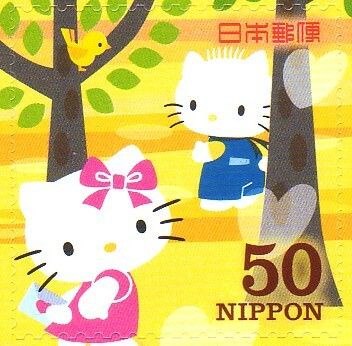 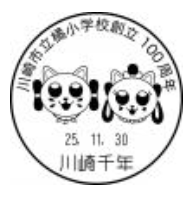 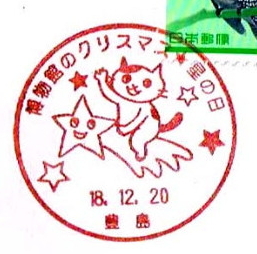 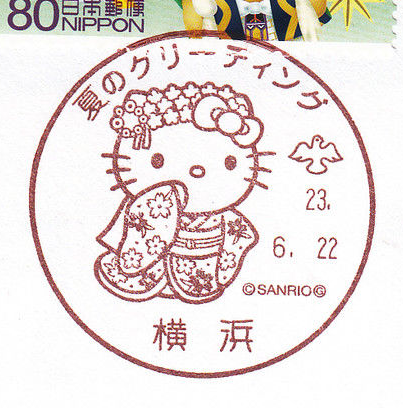 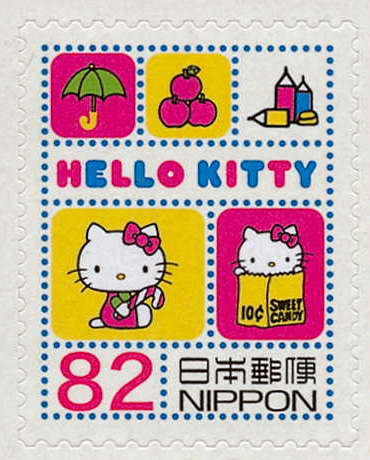 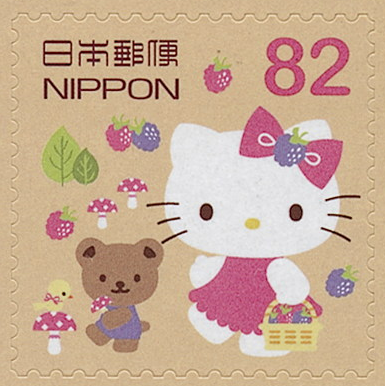 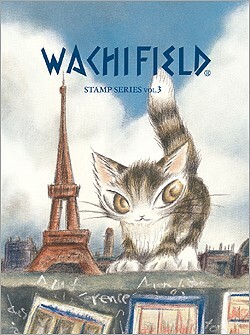 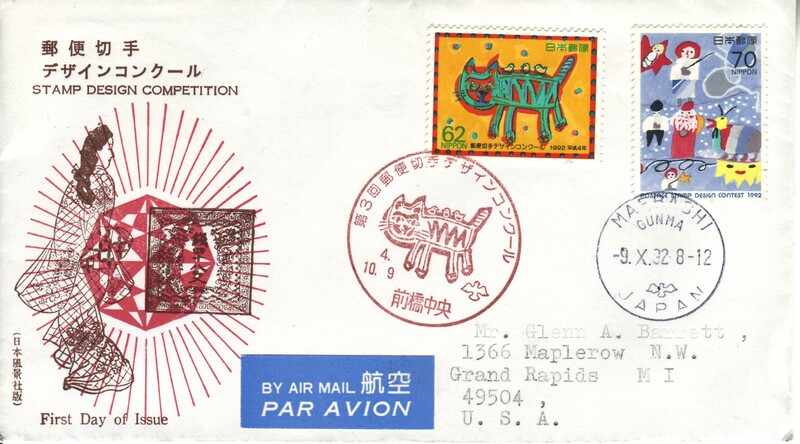 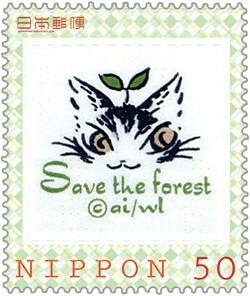 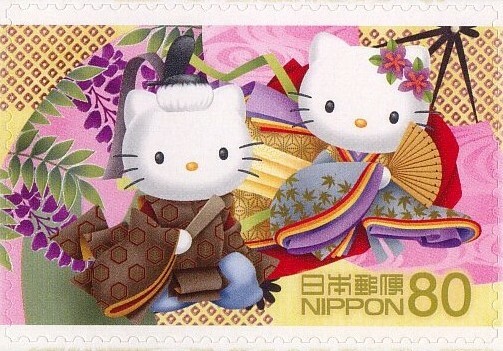 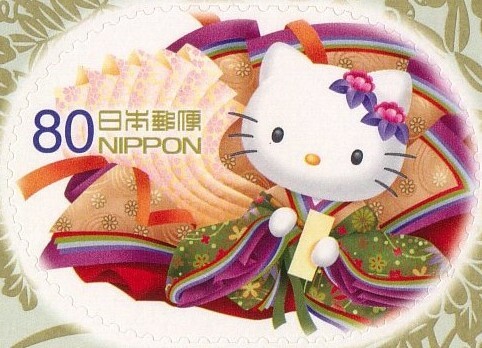 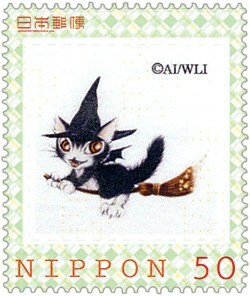 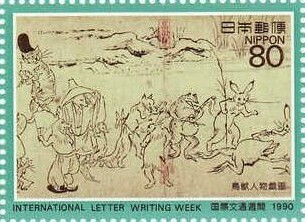 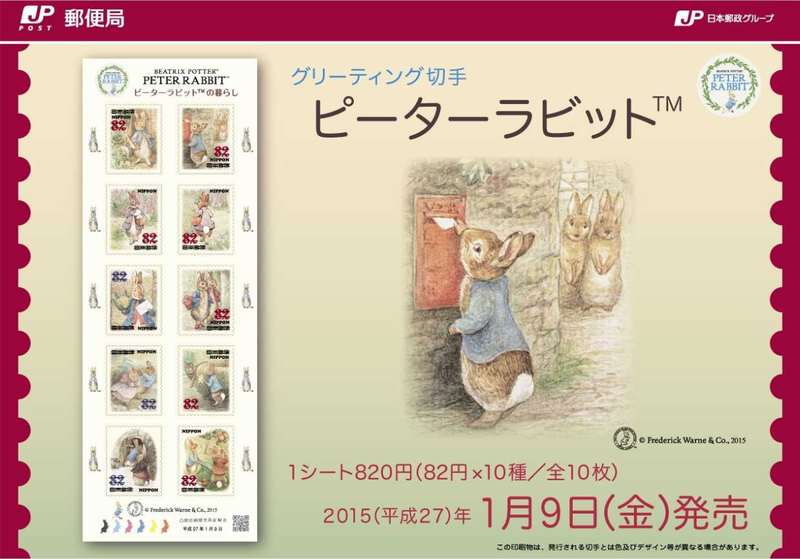 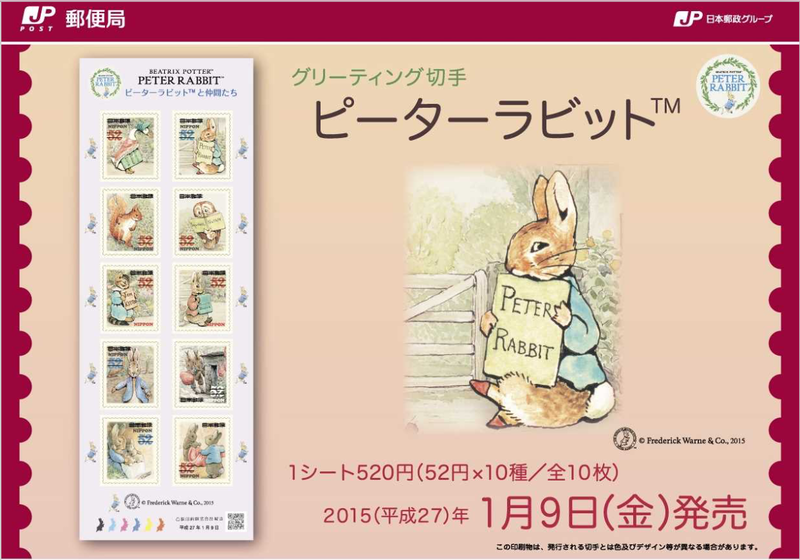 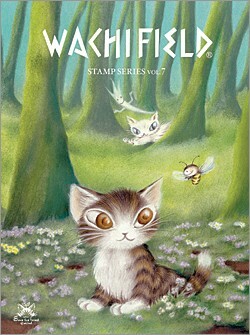 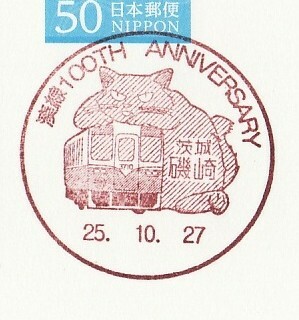 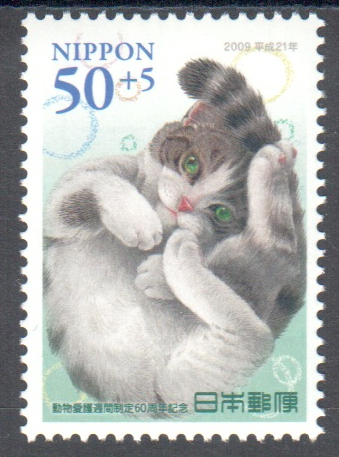 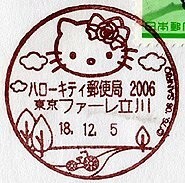 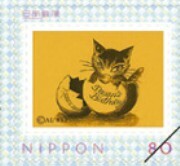 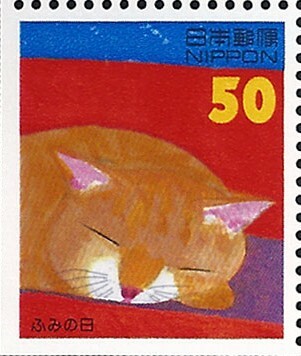 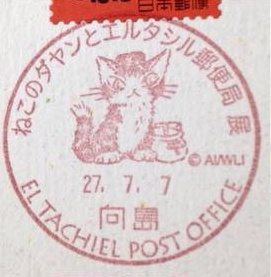 There are more than 100 versions of this postmark. 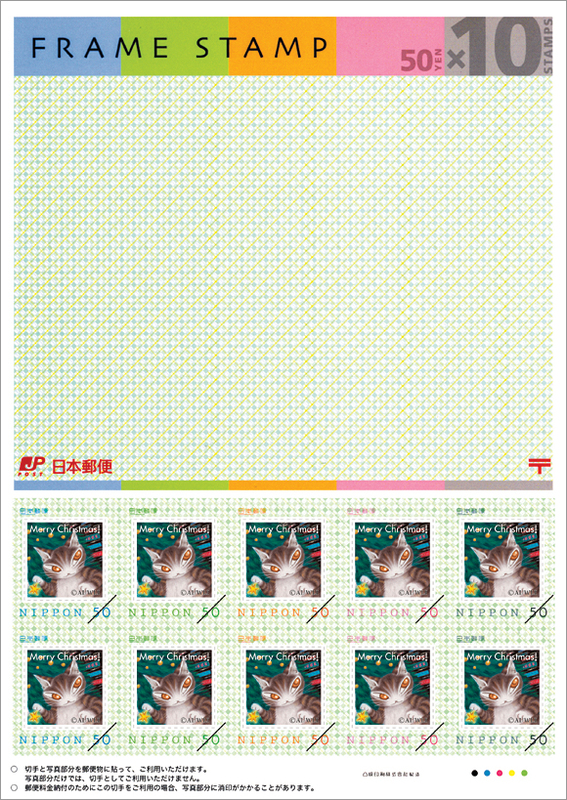 Click here for a detailed list. 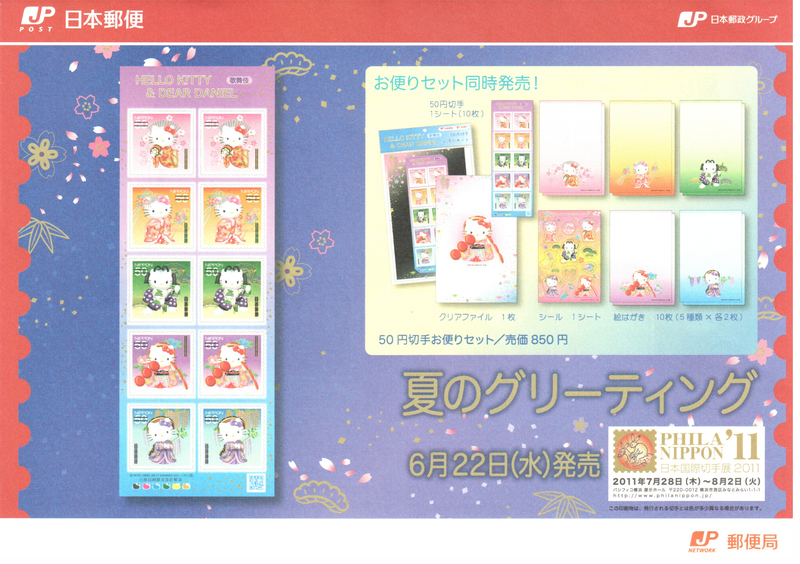 Also see 2008, 2010, 2013, 2014, 2015, 2016, and 2017 versions. 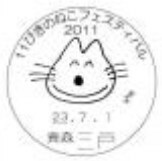 Also see 2011, 2012, 2014, 2015, and 2016 versions. 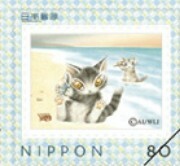 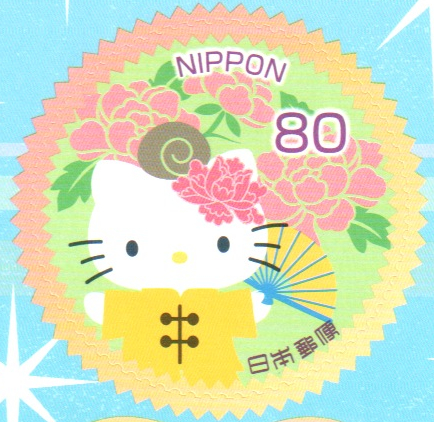 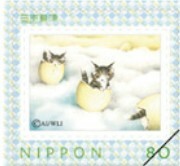 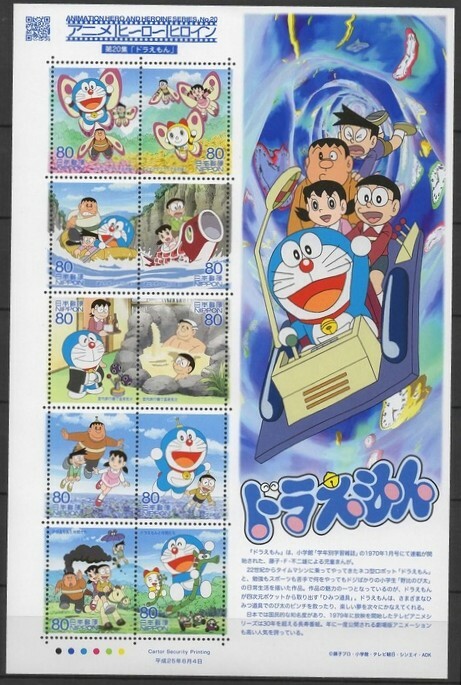 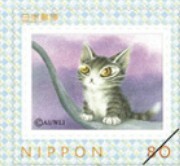 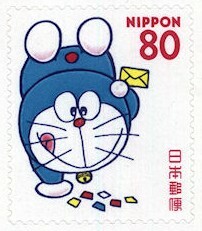 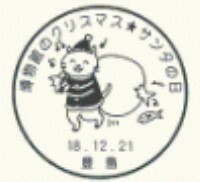 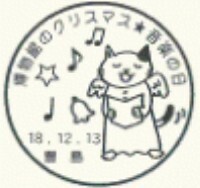 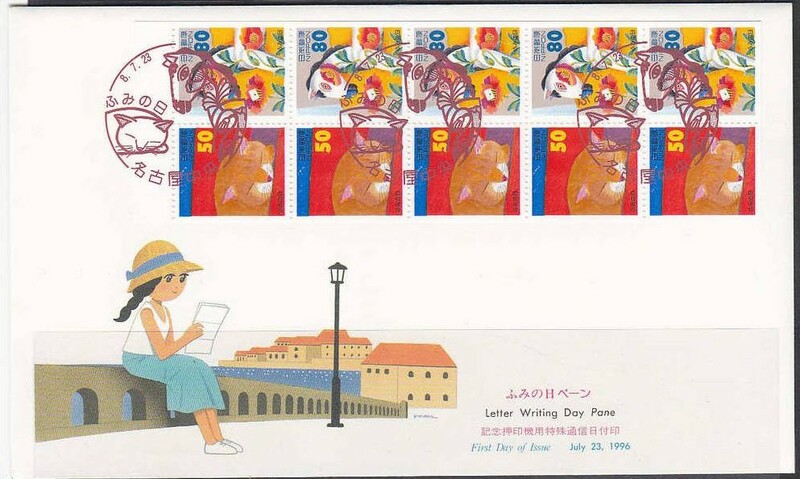 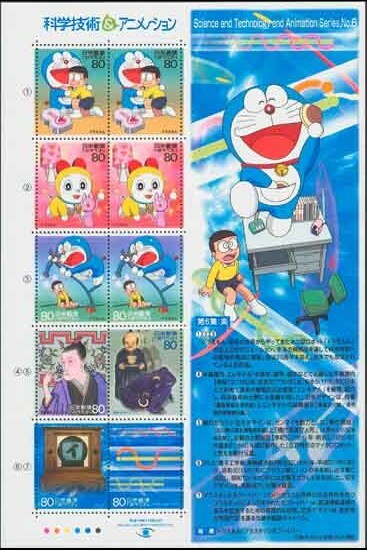 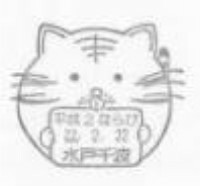 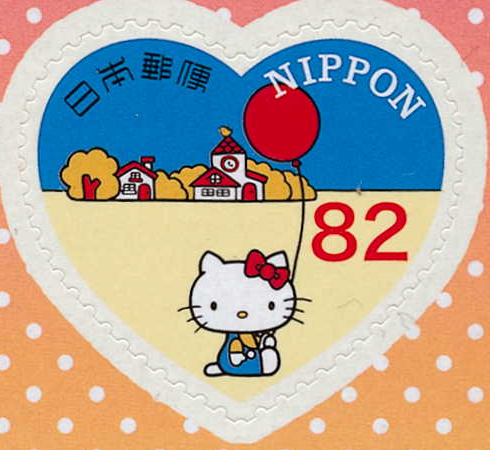 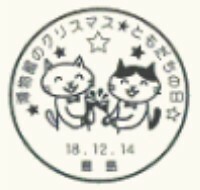 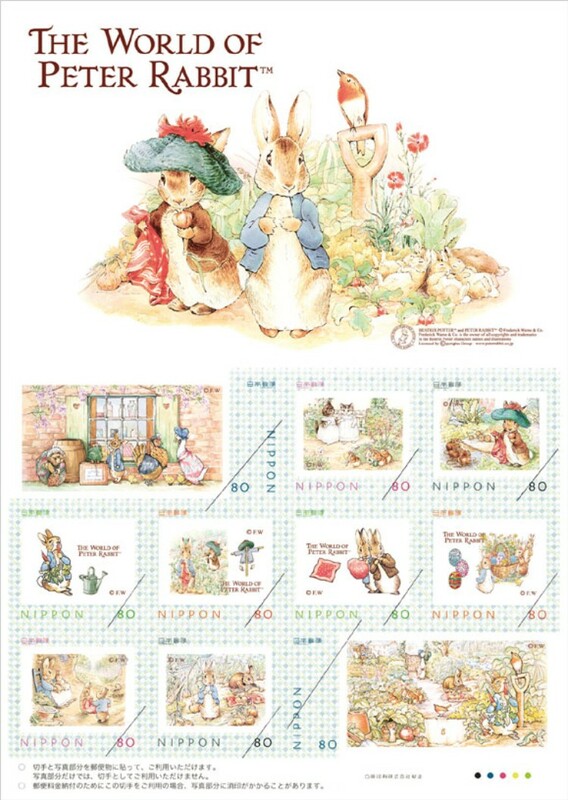 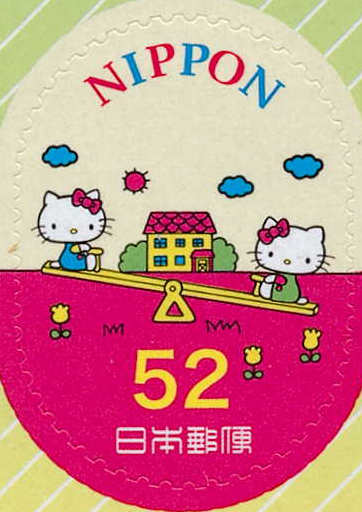 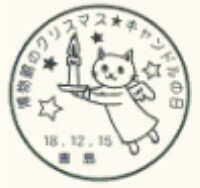 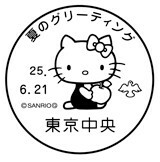 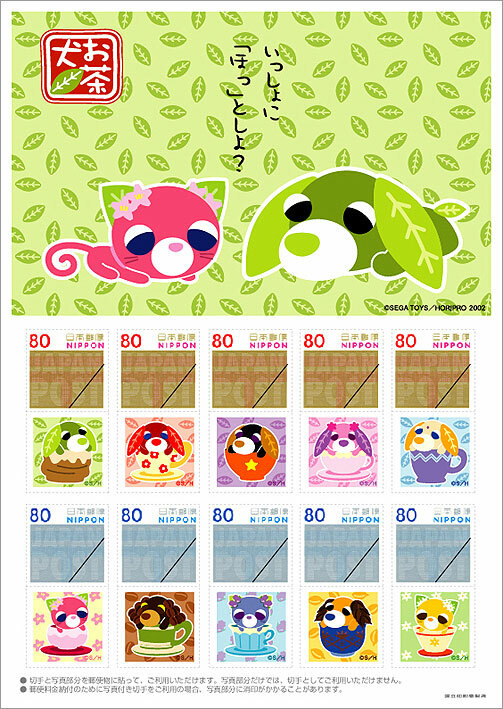 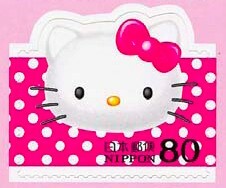 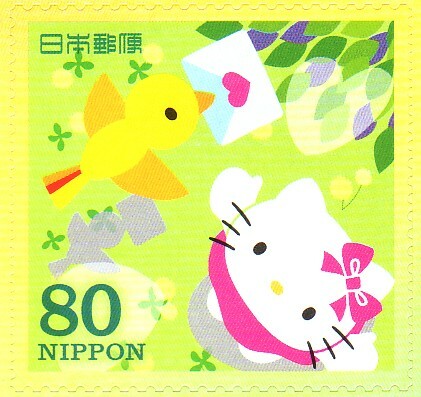 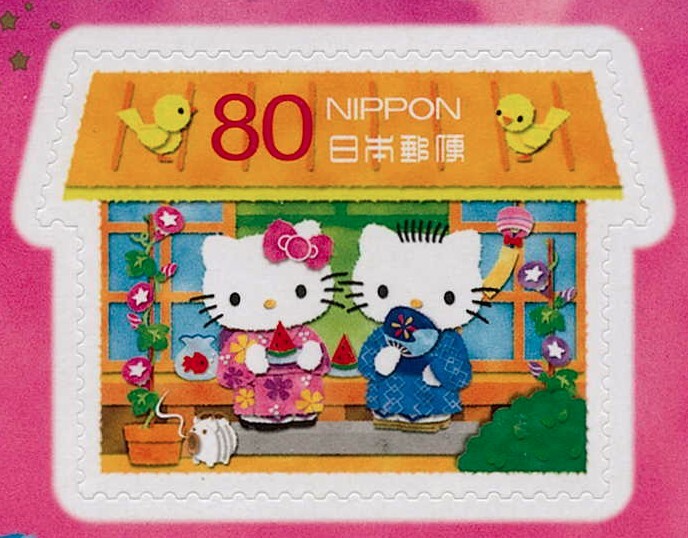 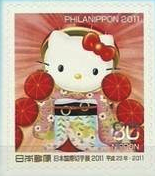 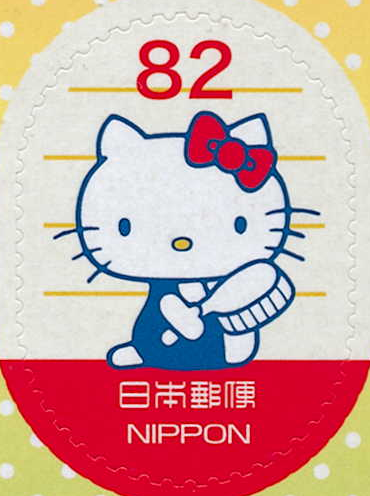 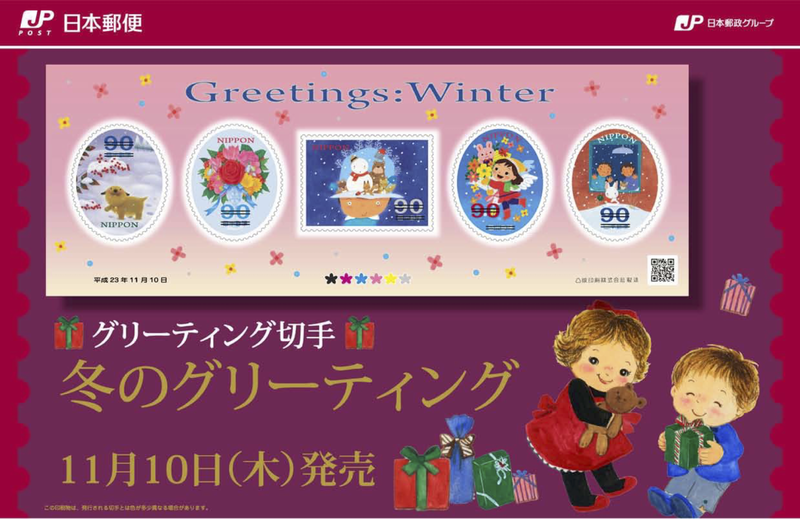 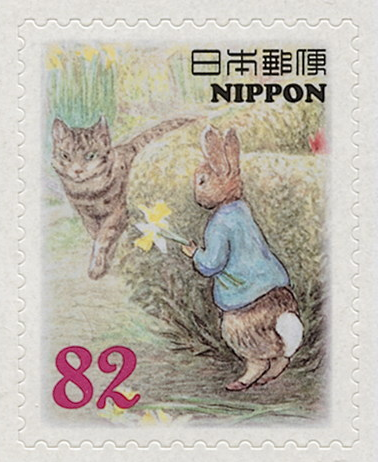 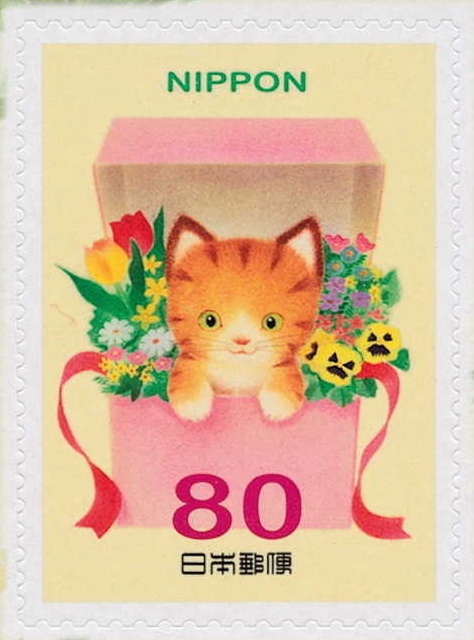 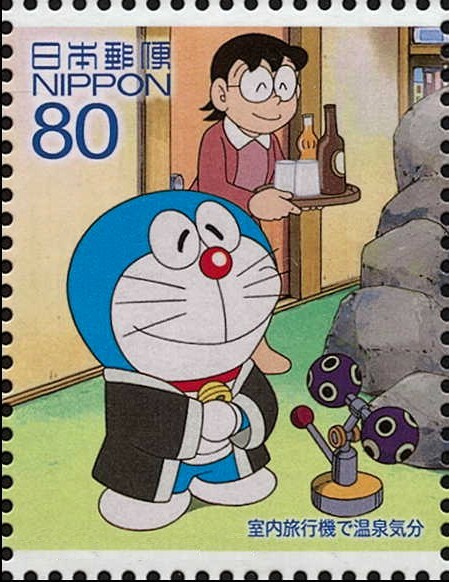 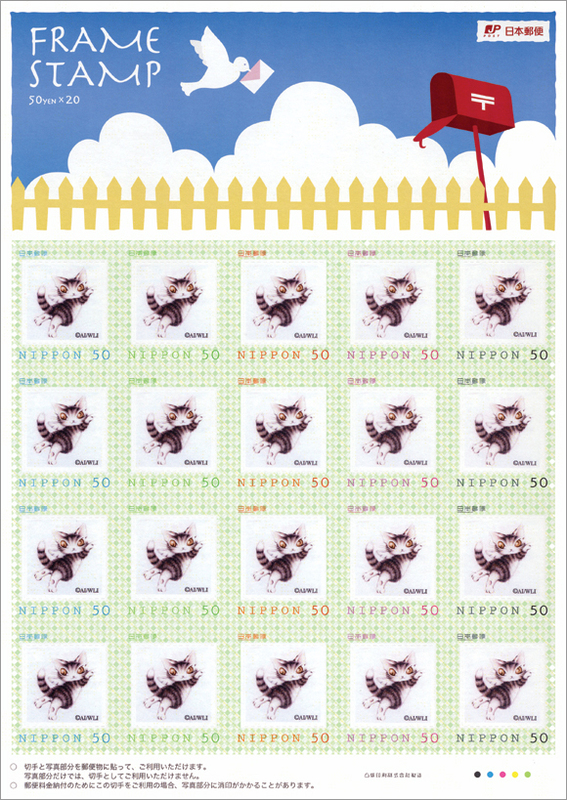 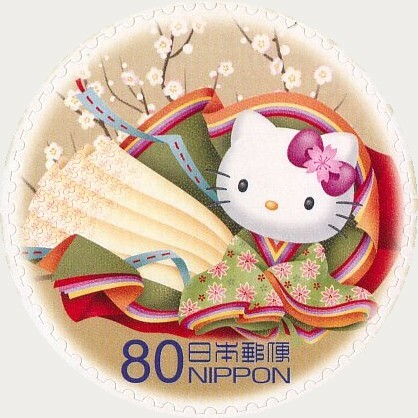 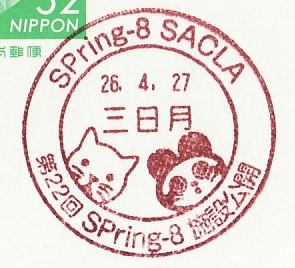 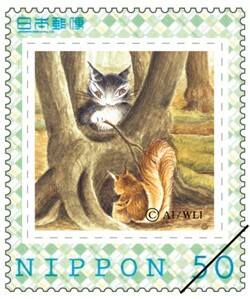 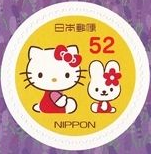 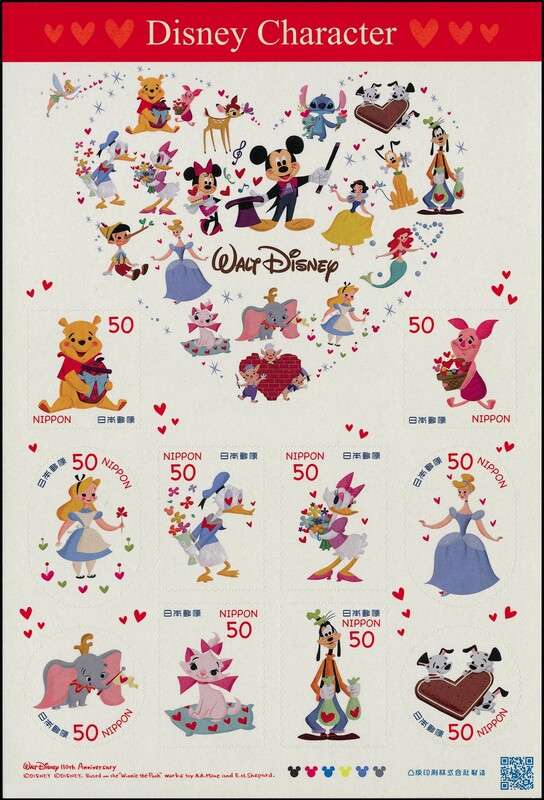 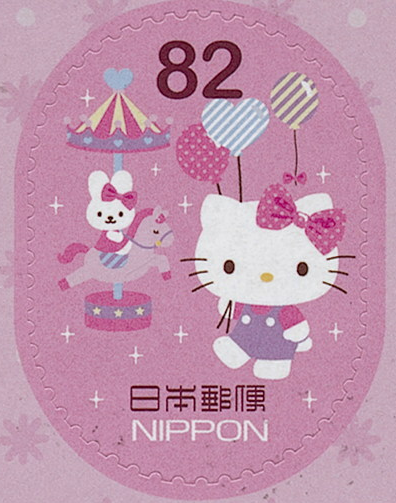 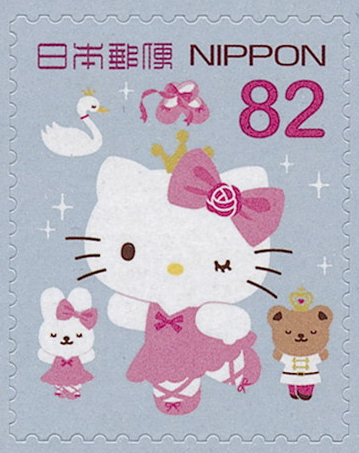 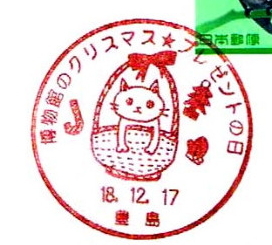 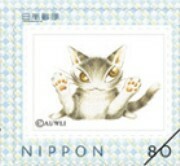 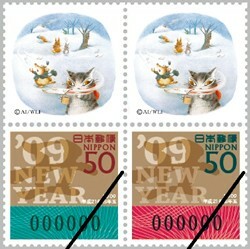 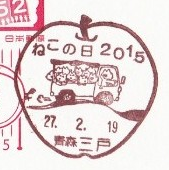 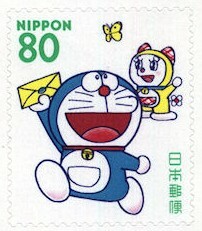 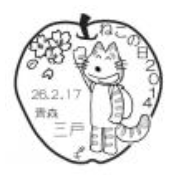 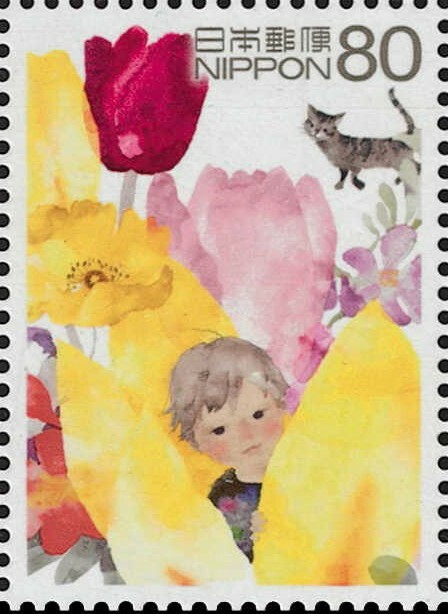 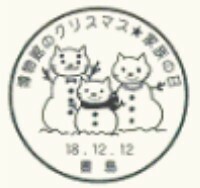 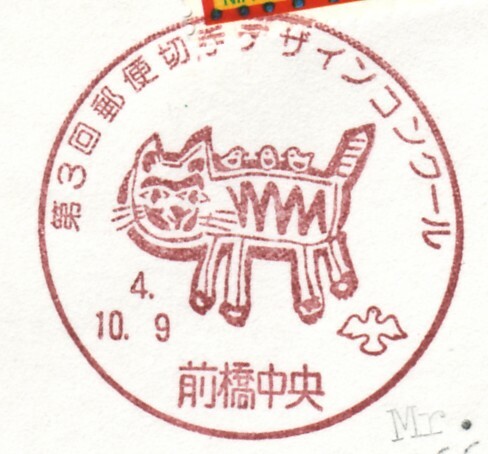 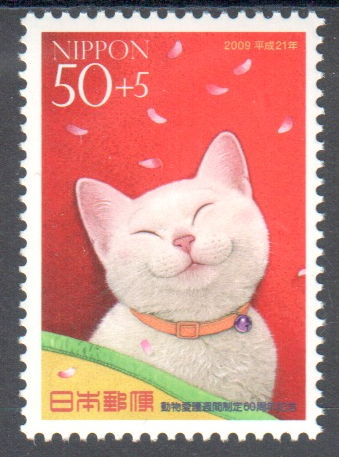 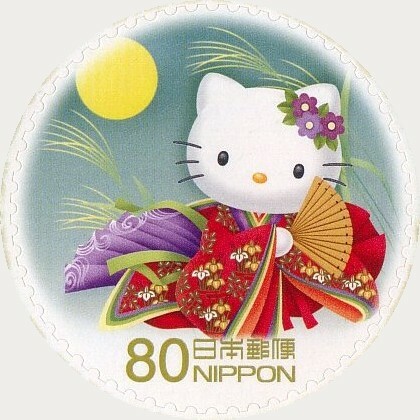 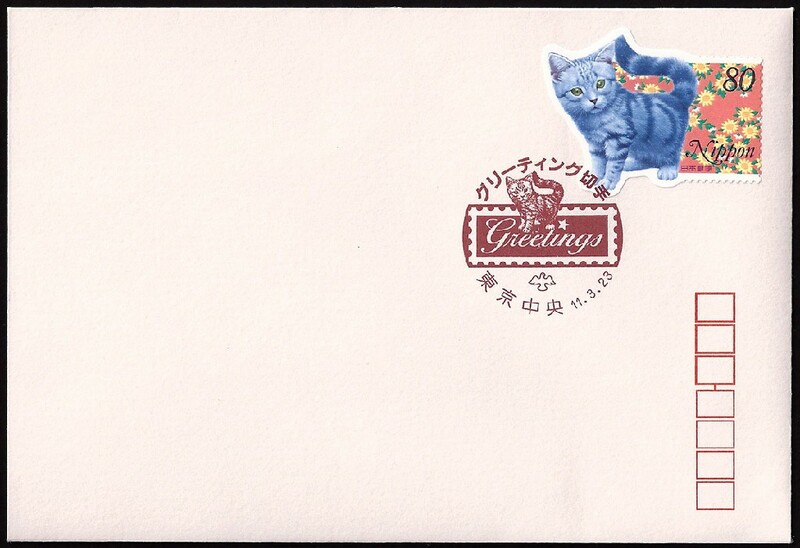 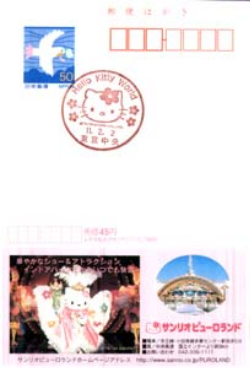 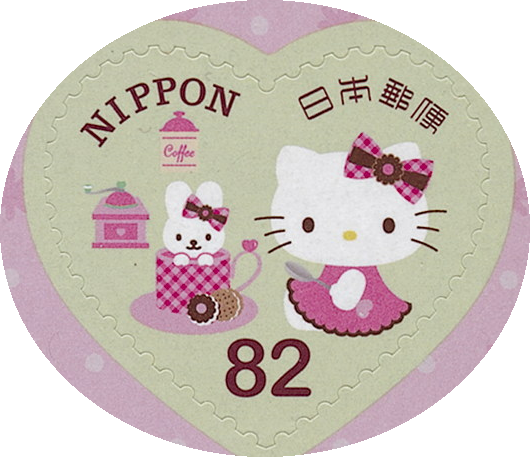 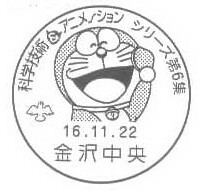 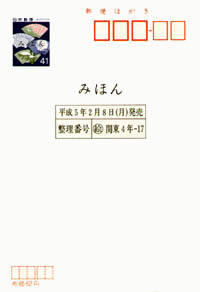 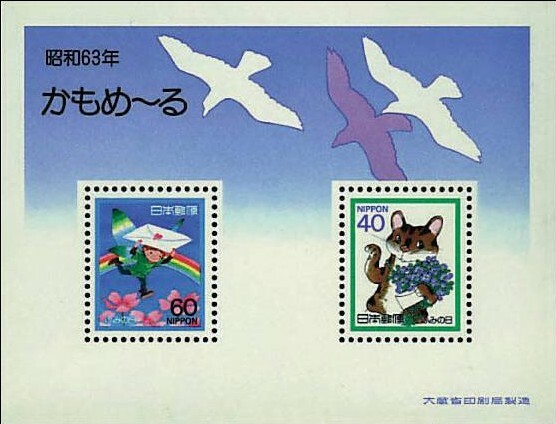 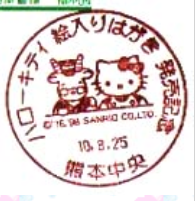 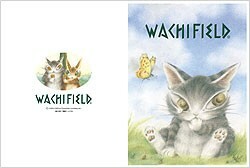 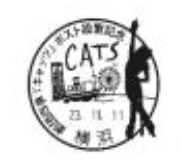 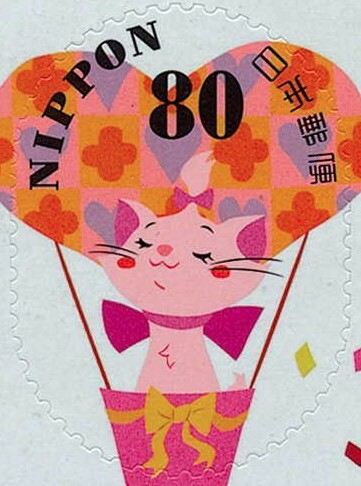 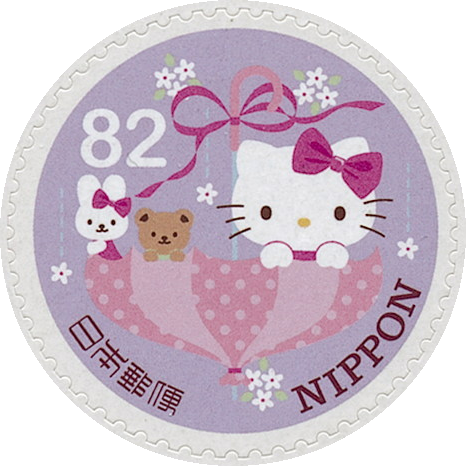 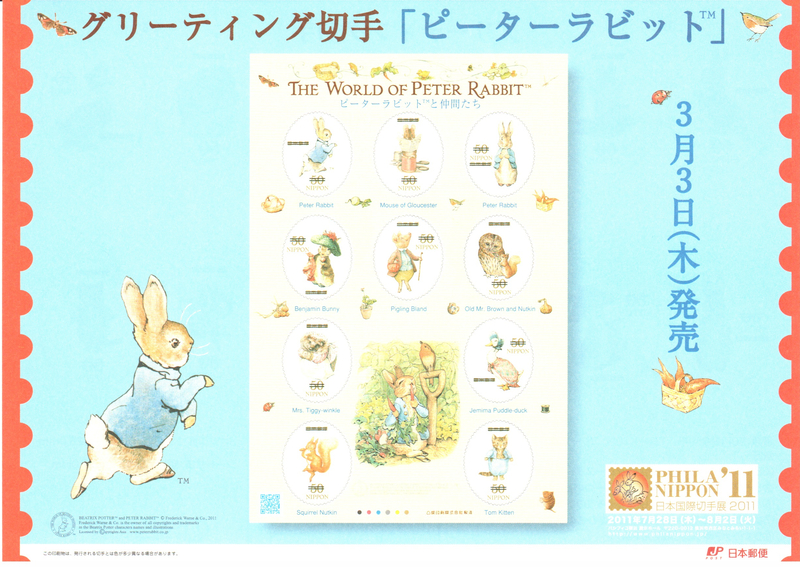 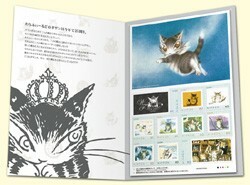 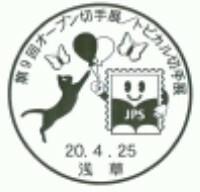 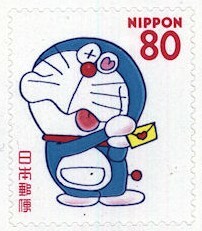 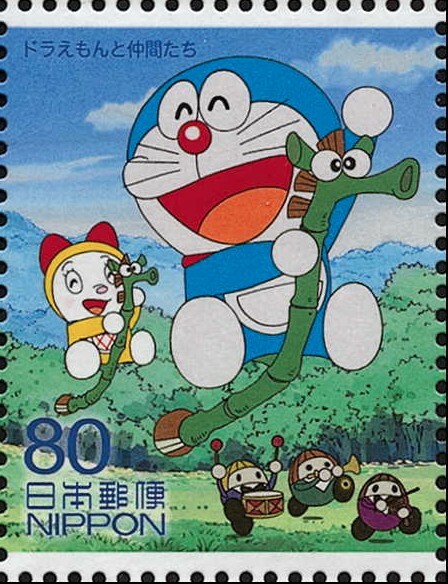 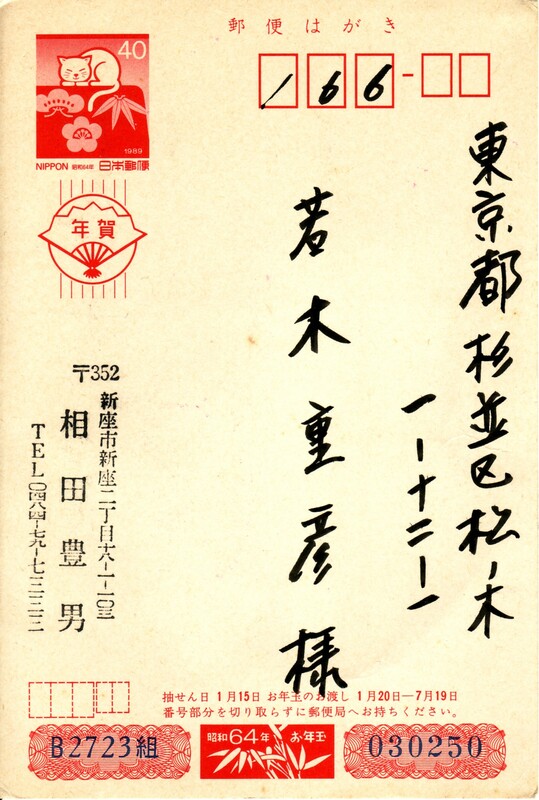 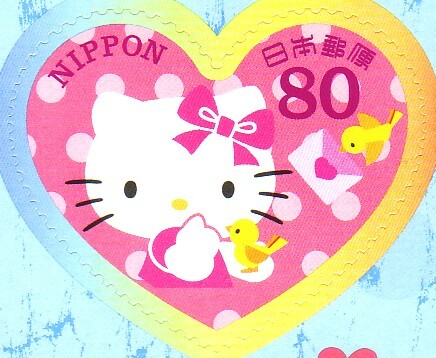 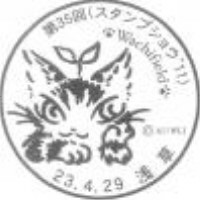 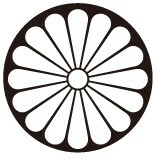 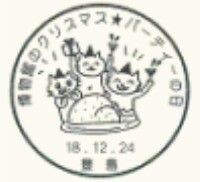 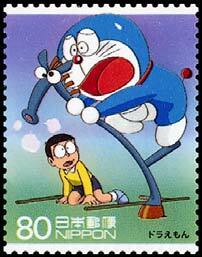 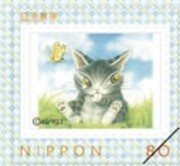 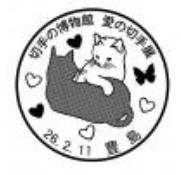 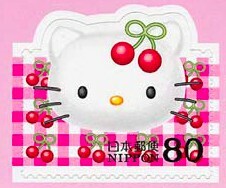 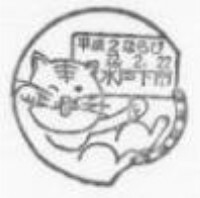 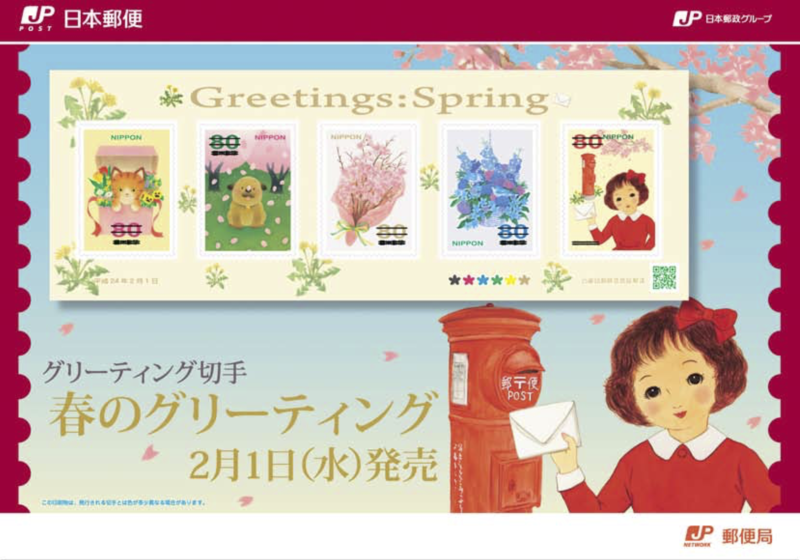 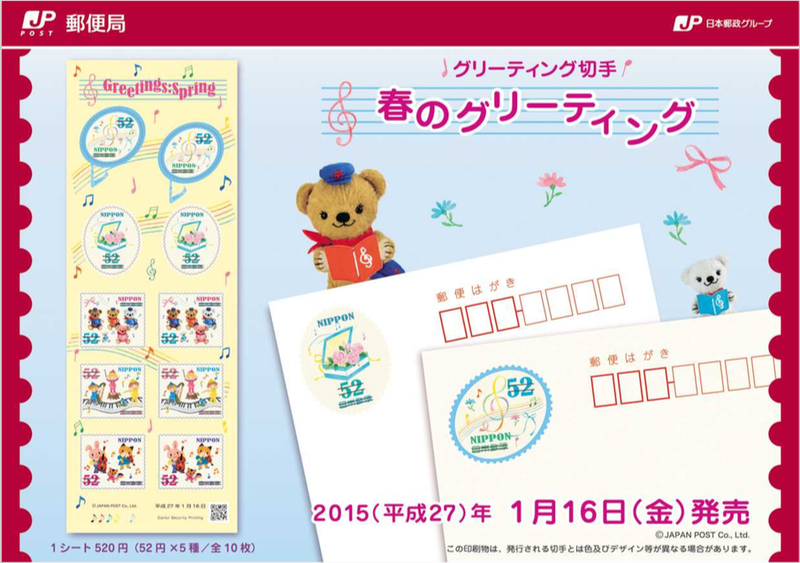 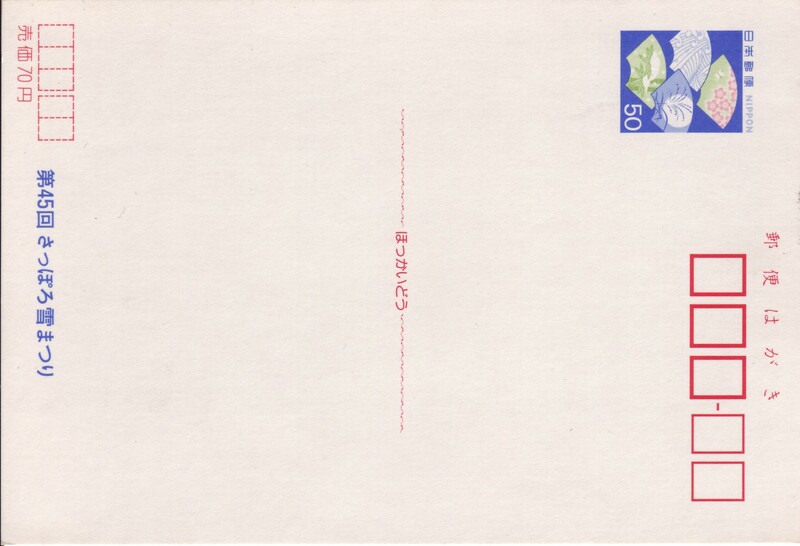 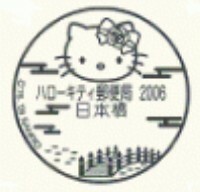 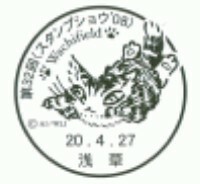 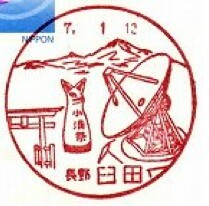 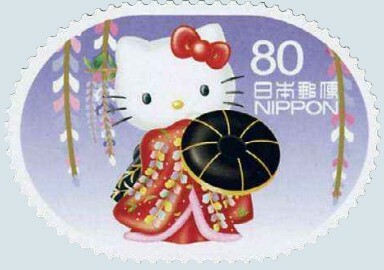 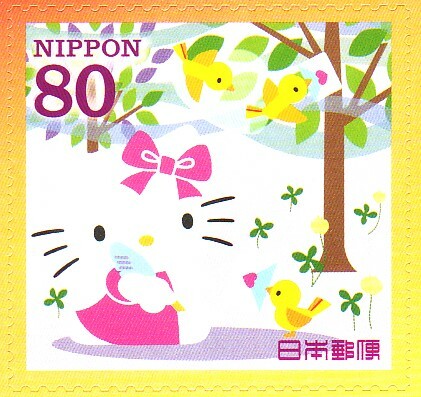 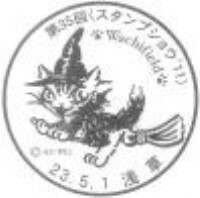 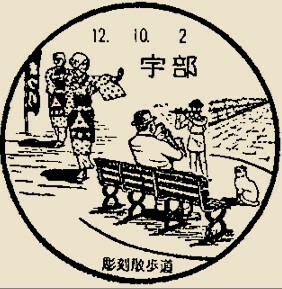 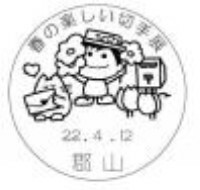 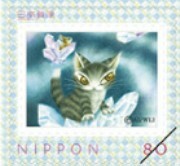 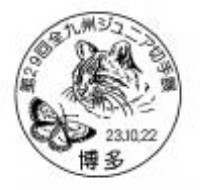 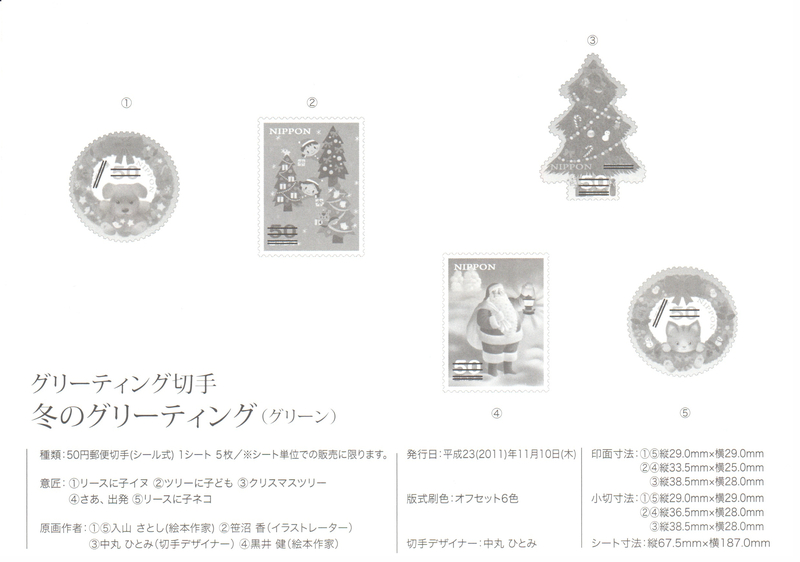 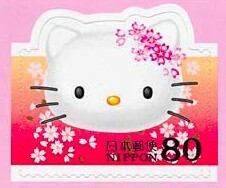 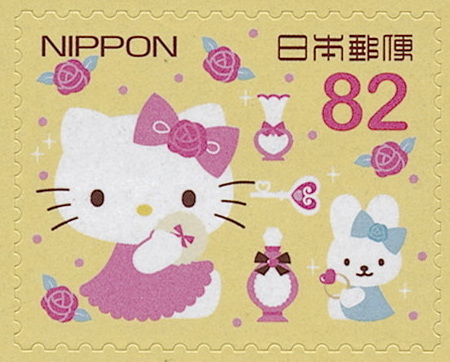 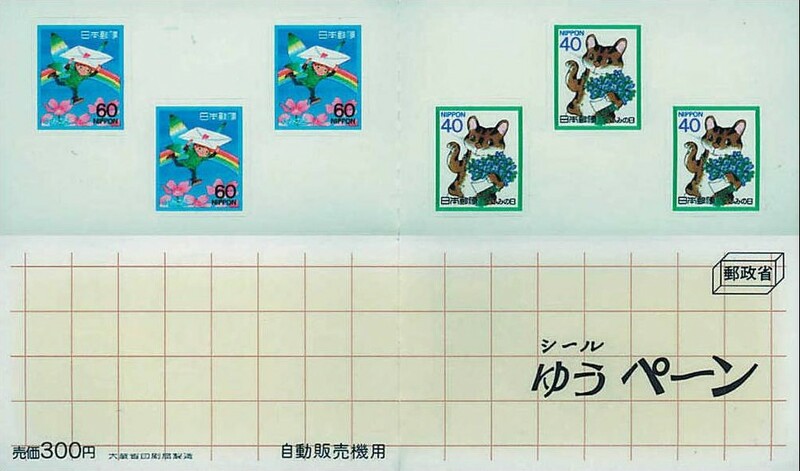 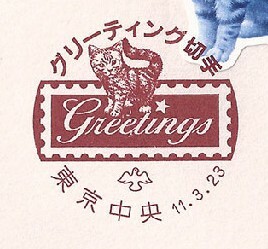 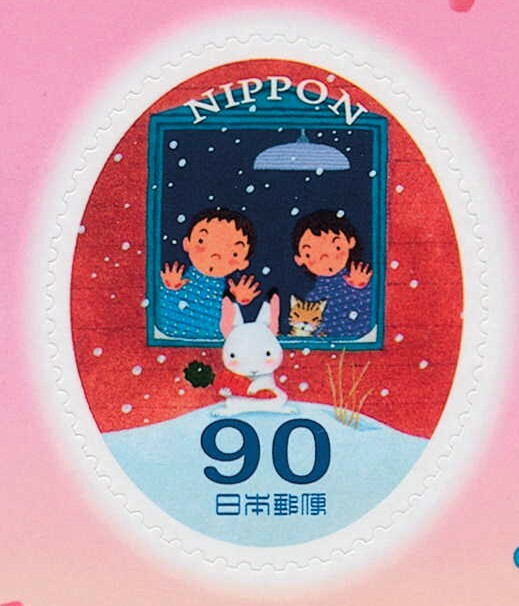 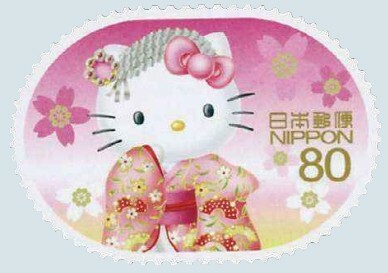 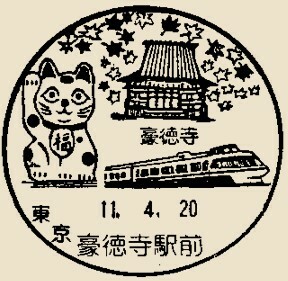 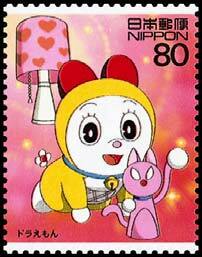 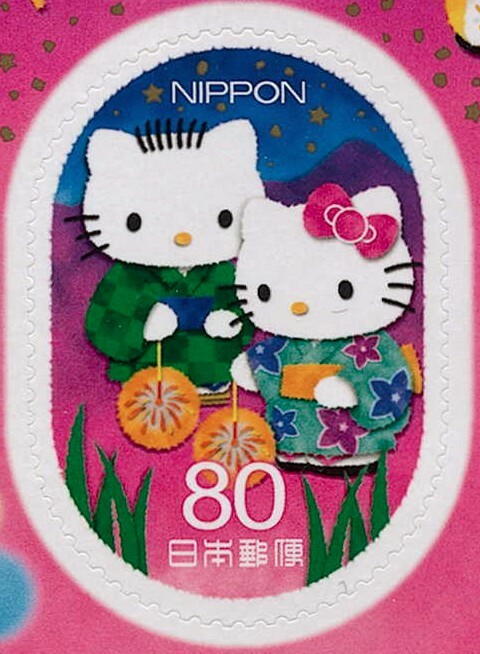 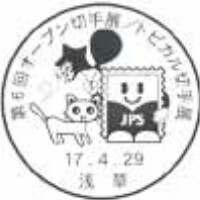 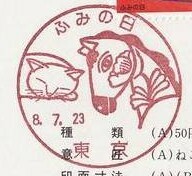 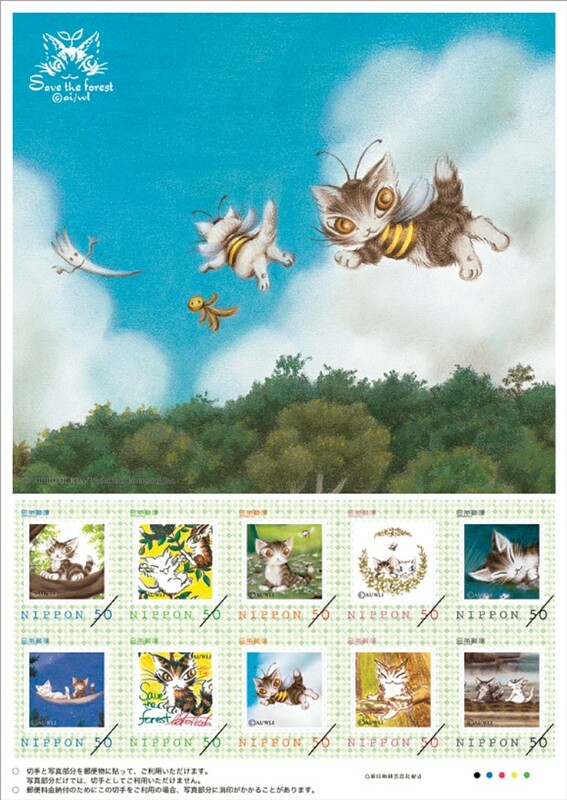 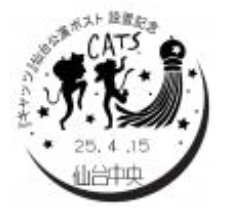 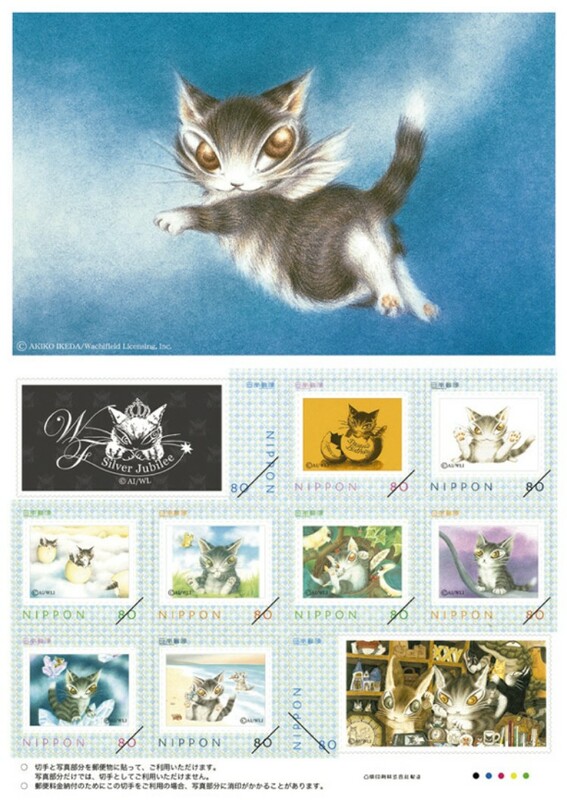 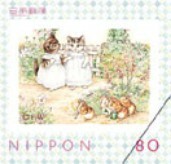 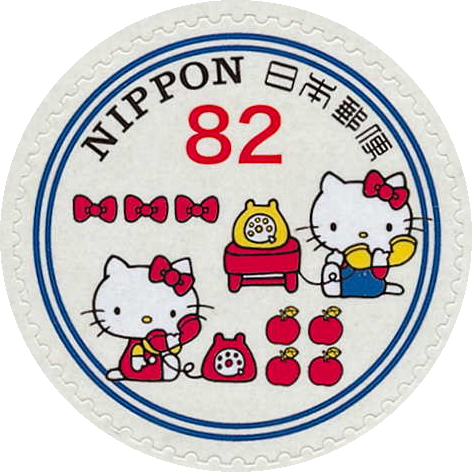 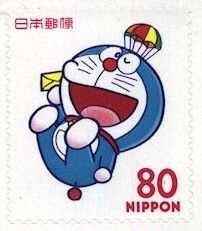 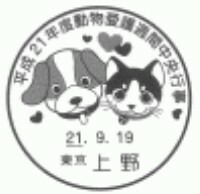 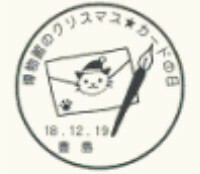 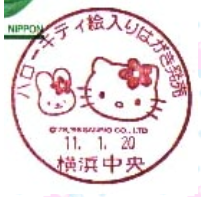 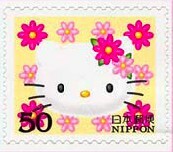 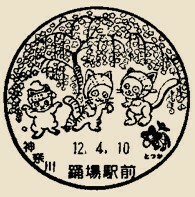 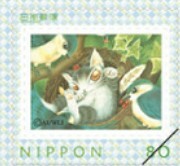 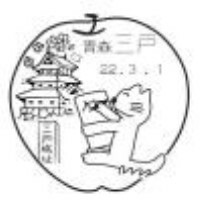 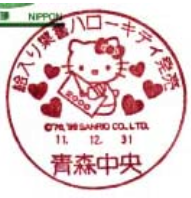 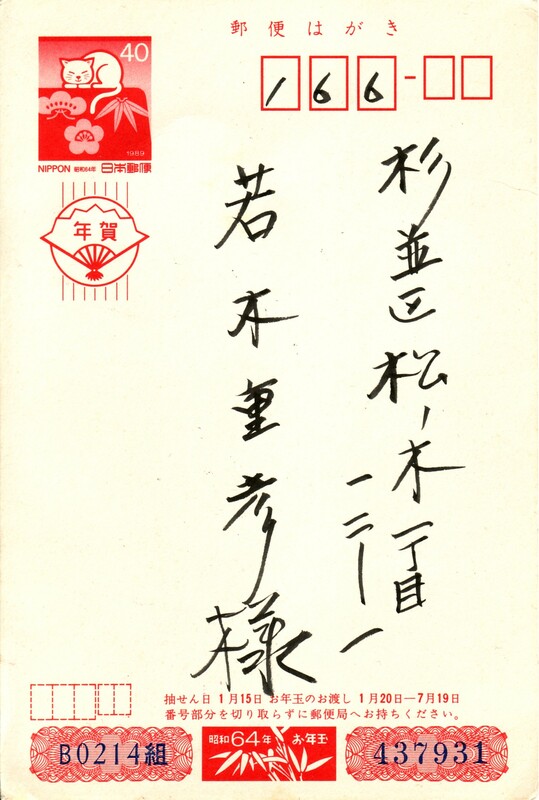 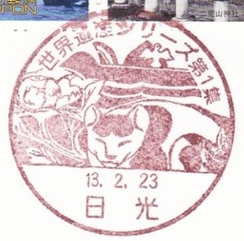 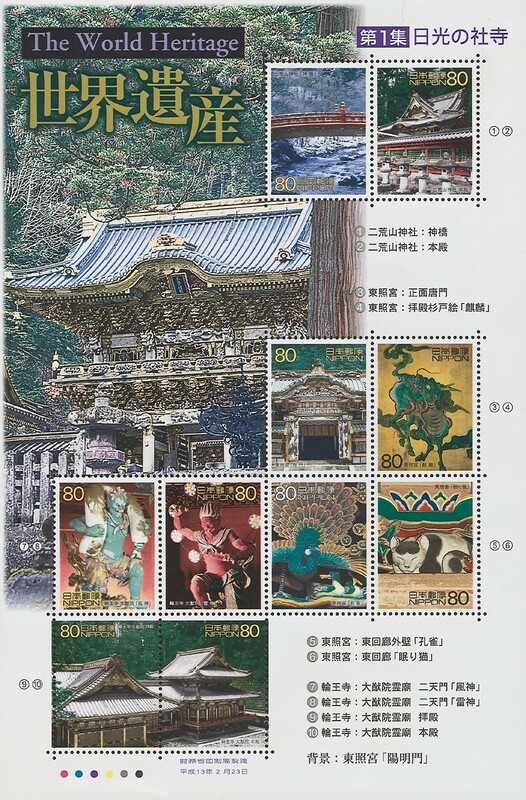 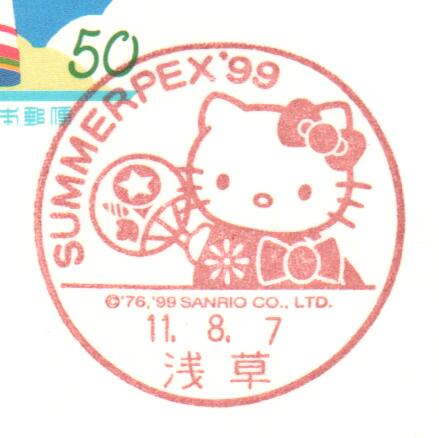 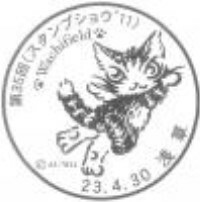 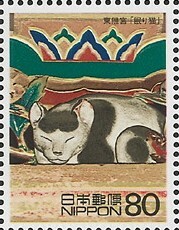 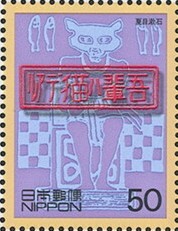 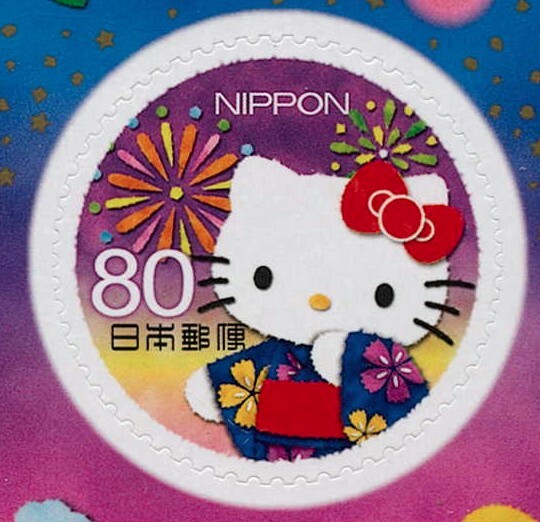 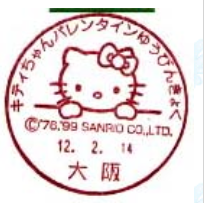 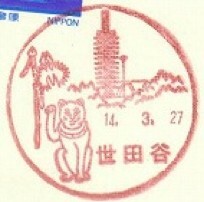 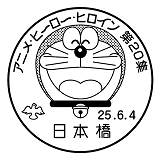 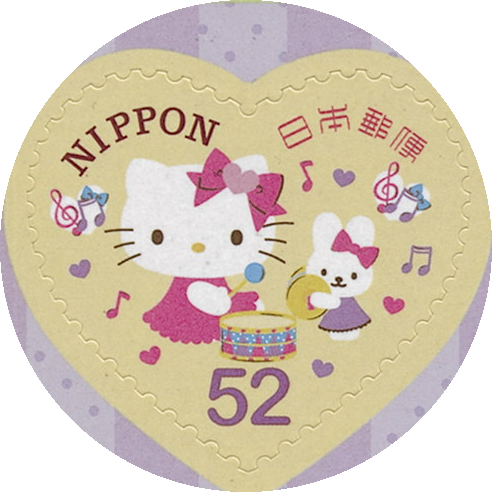 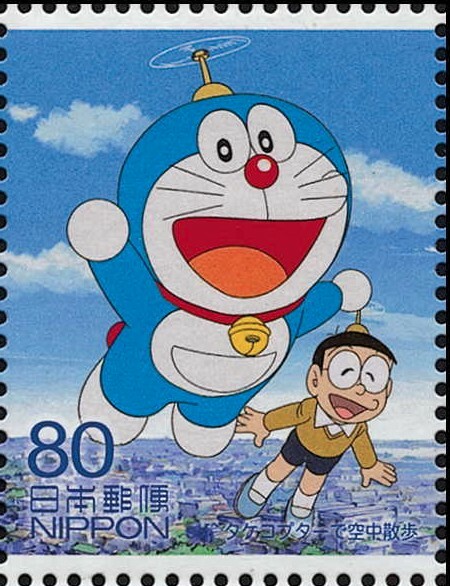 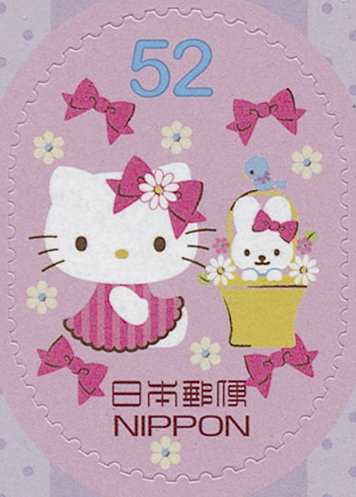 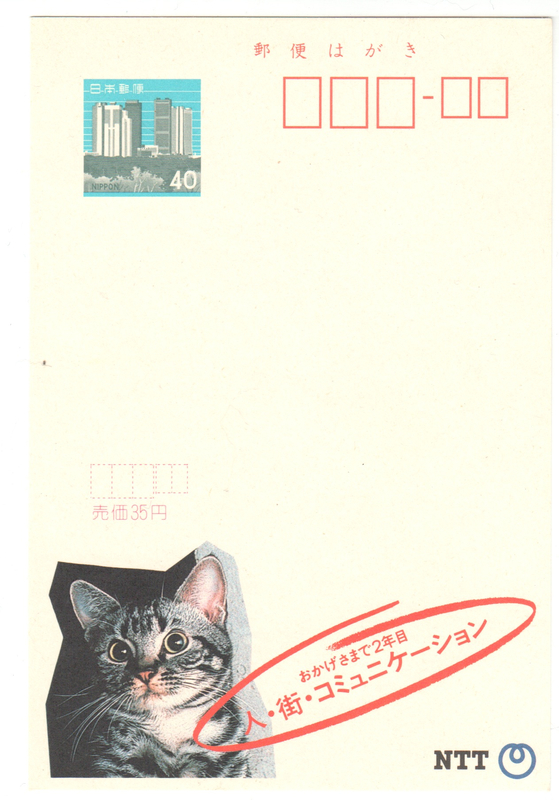 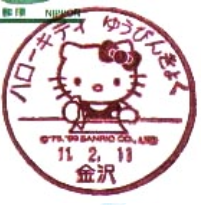 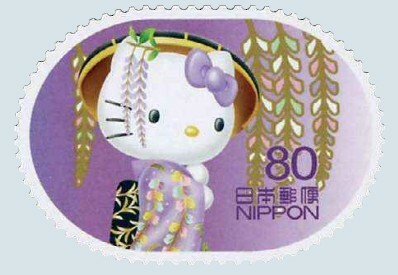 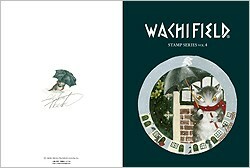 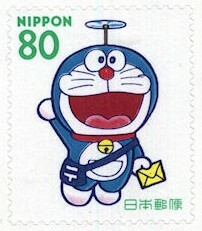 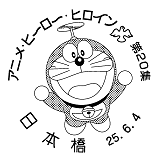 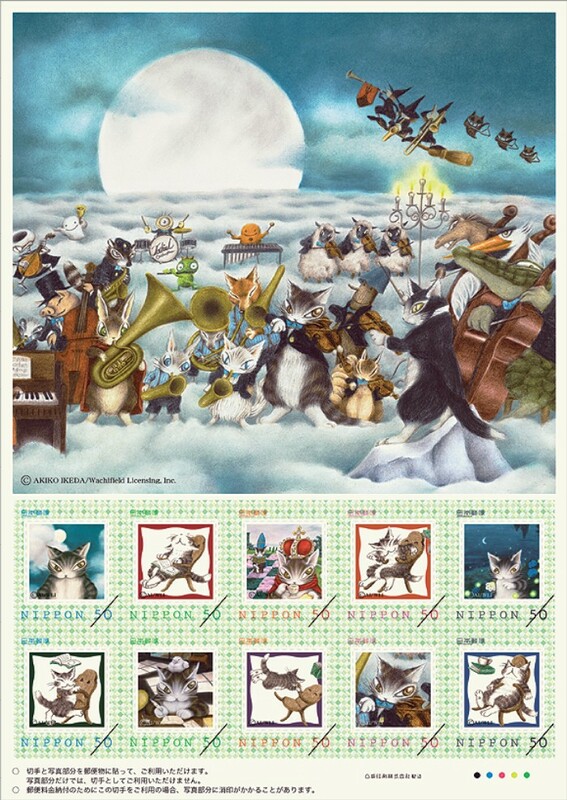 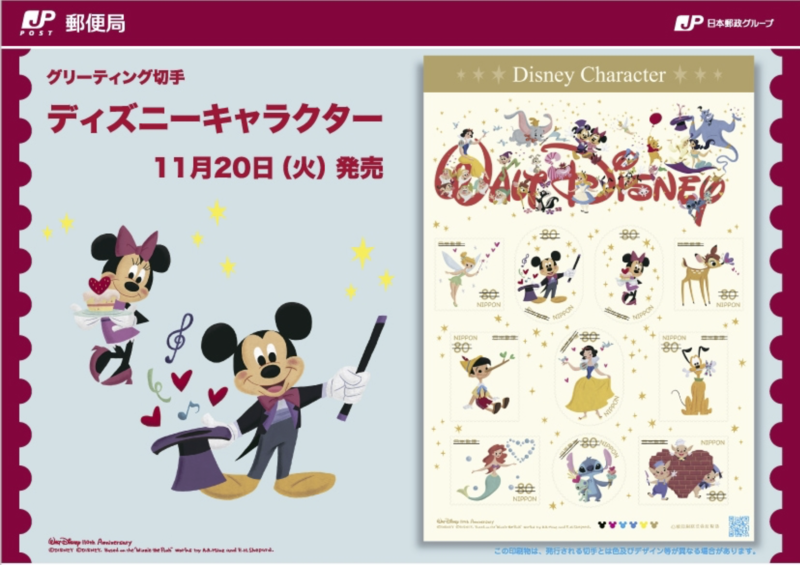 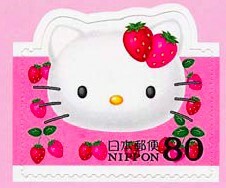 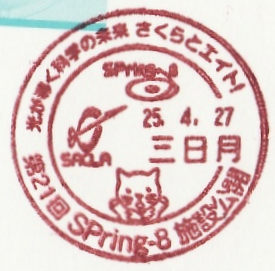 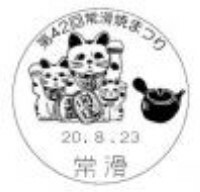 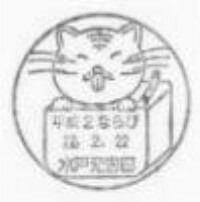 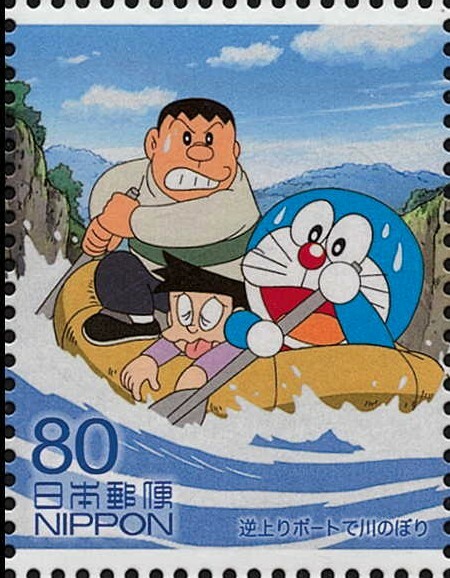 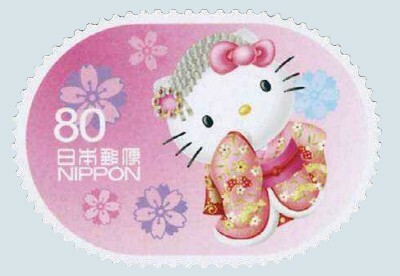 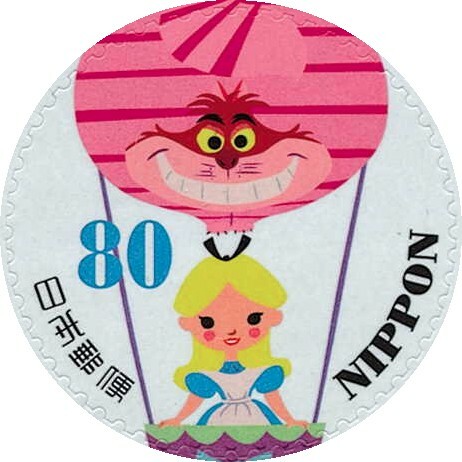 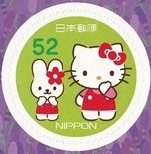 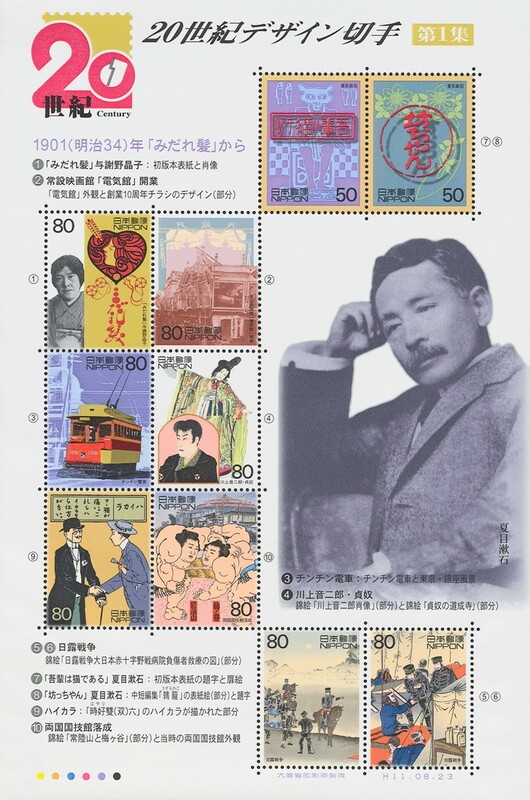 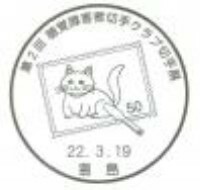 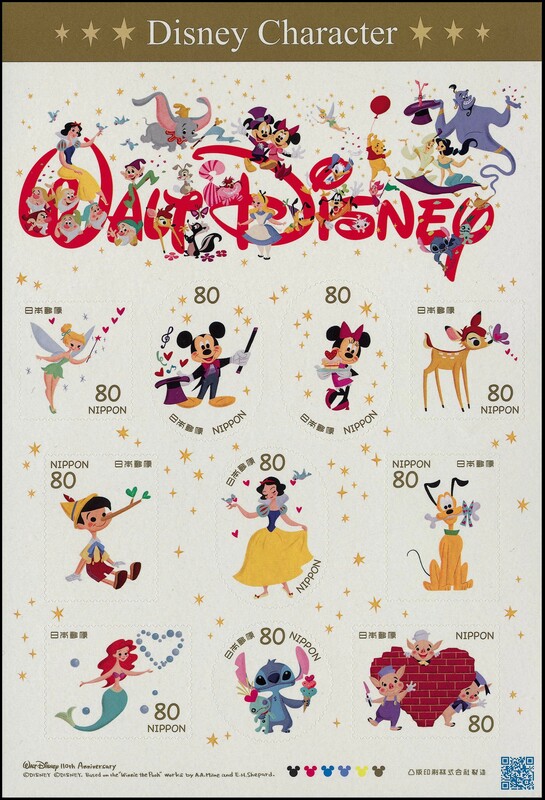 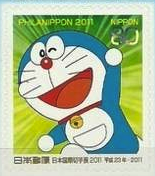 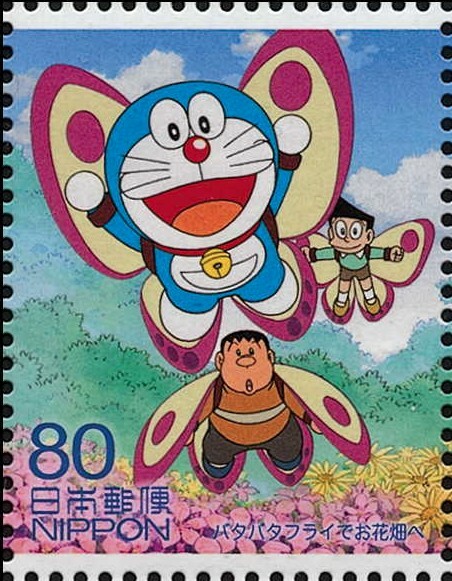 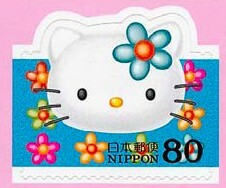 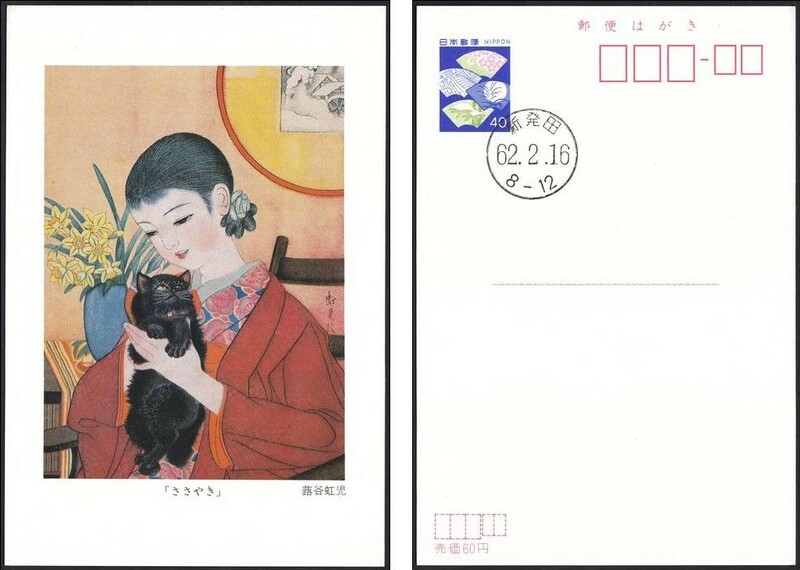 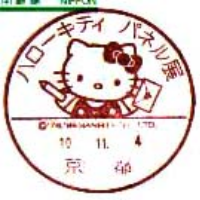 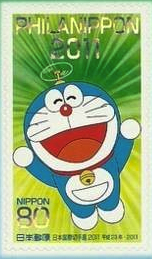 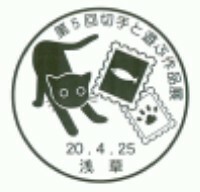 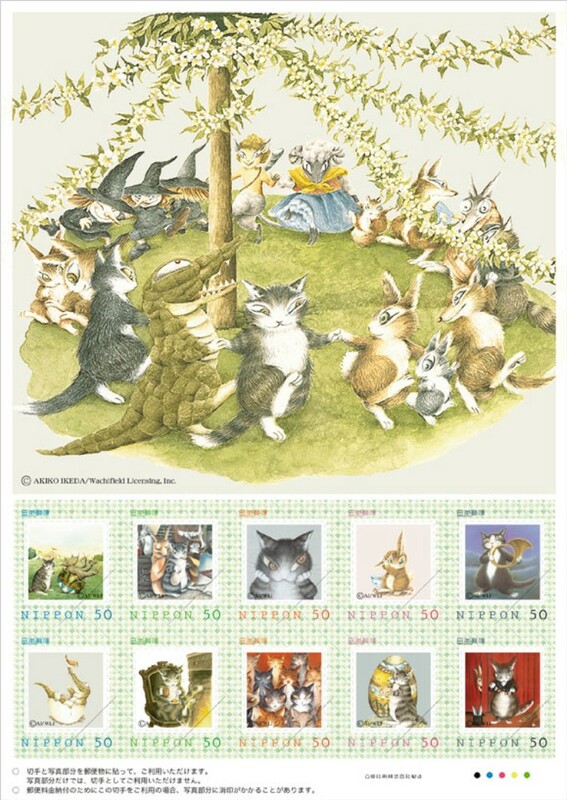 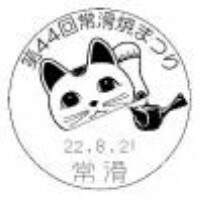 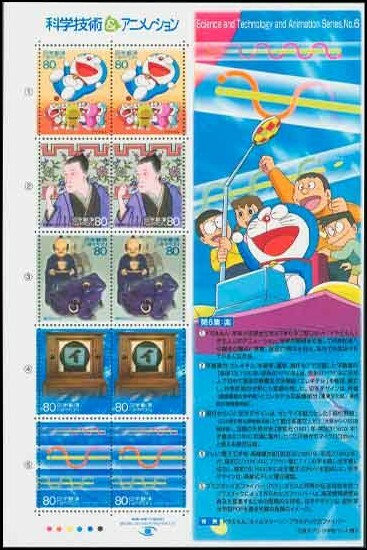 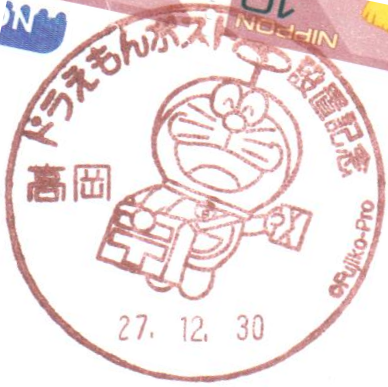 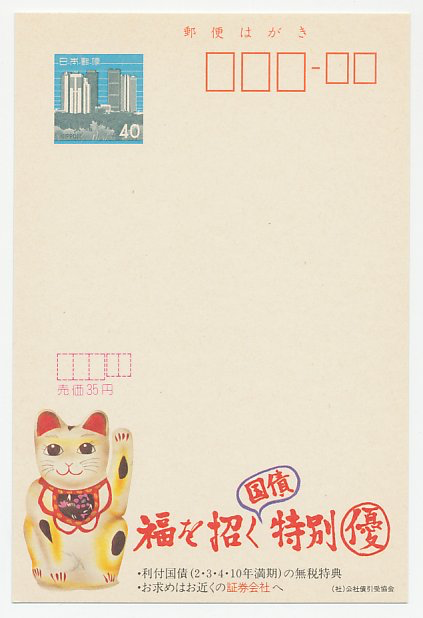 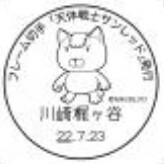 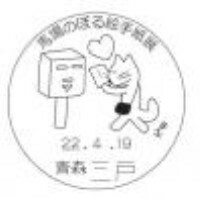 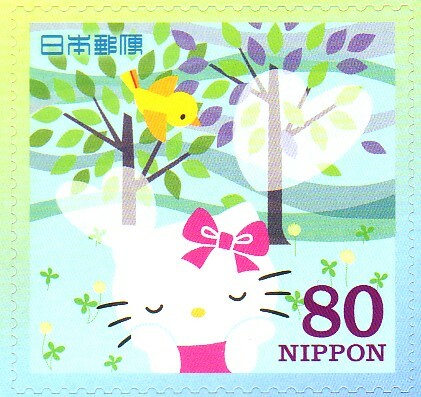 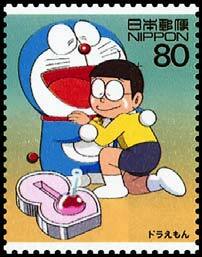 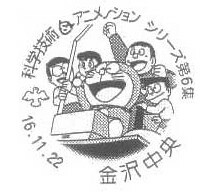 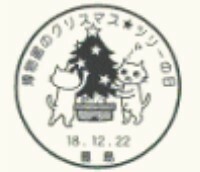 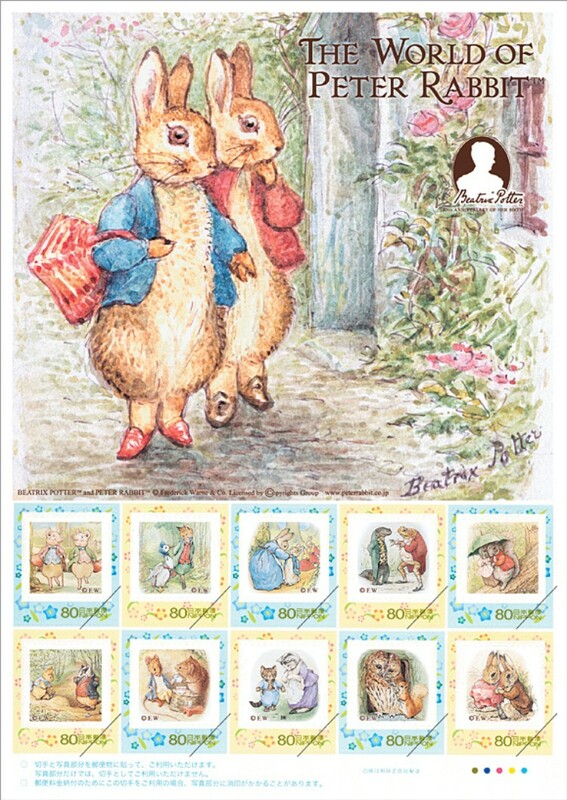 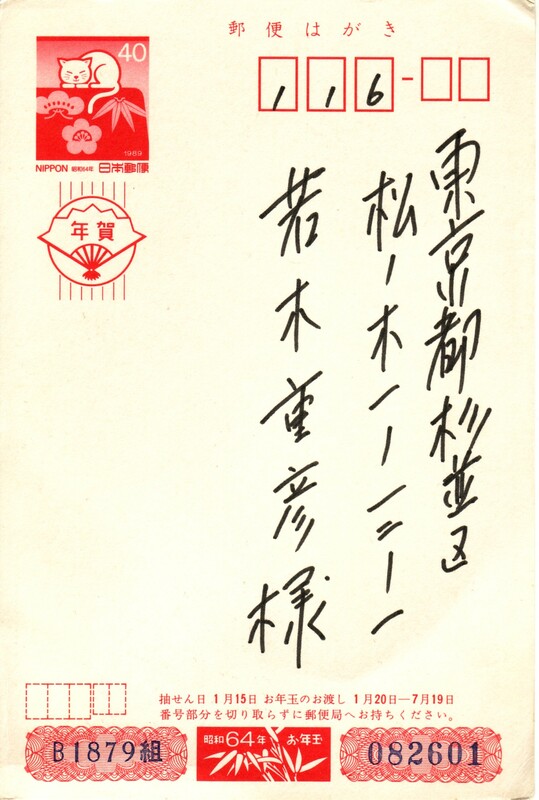 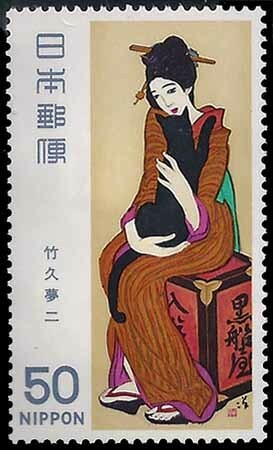 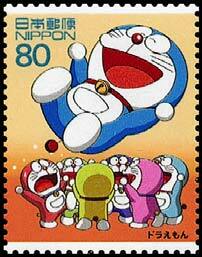 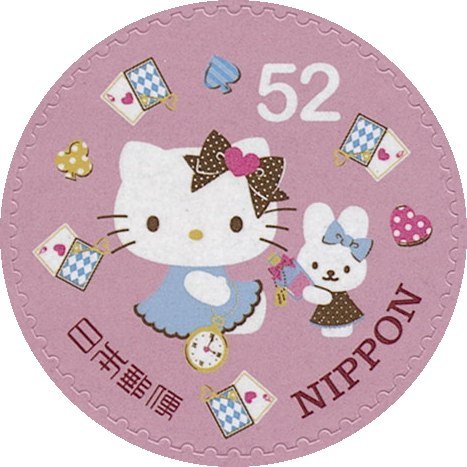 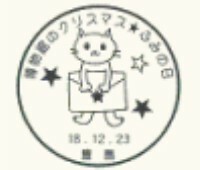 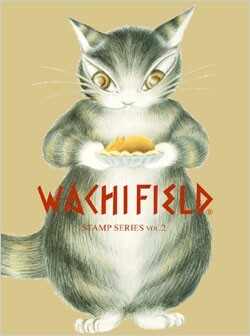 "[Get extra text] SPring-8 SACLA - 第21回 SPring-8施設公開"
There are 10 versions of this postmark. 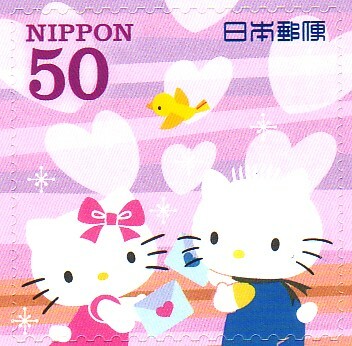 Click here for a detailed list. 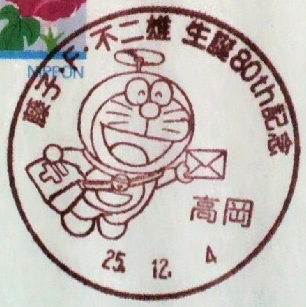 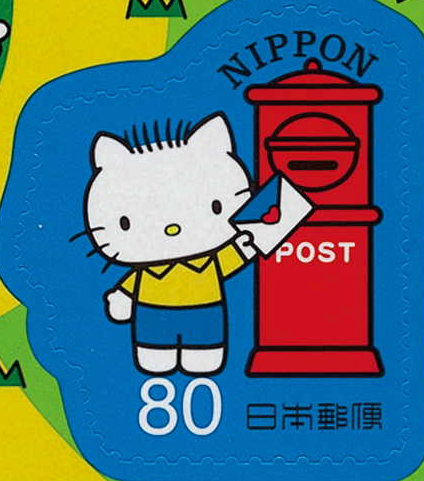 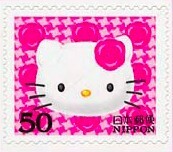 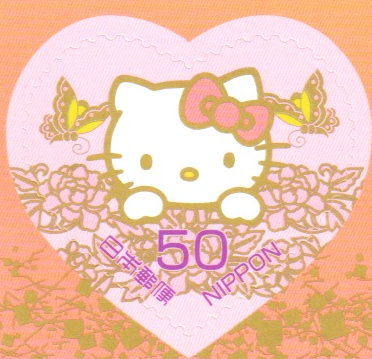 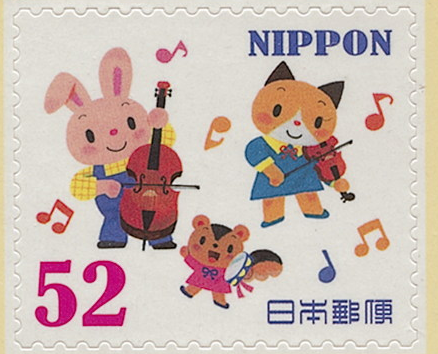 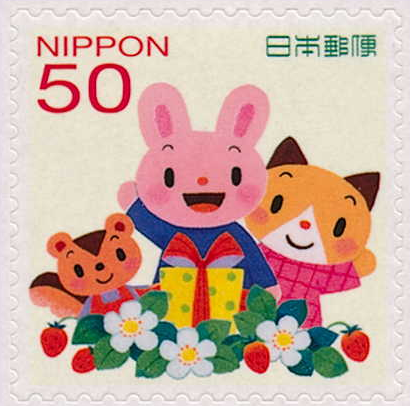 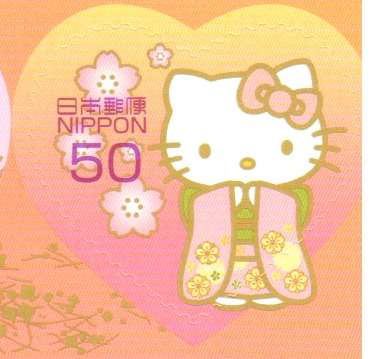 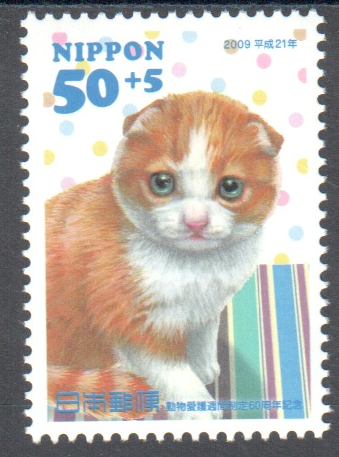 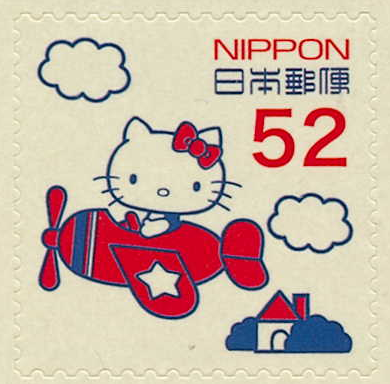 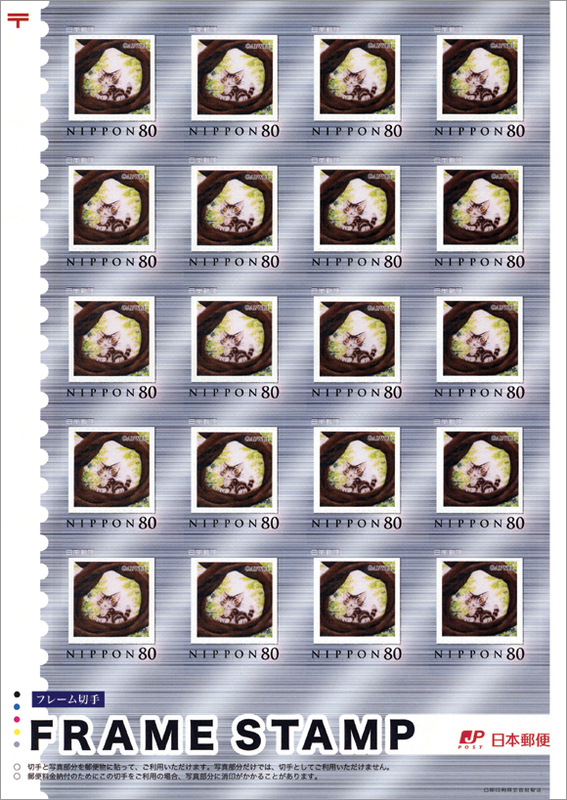 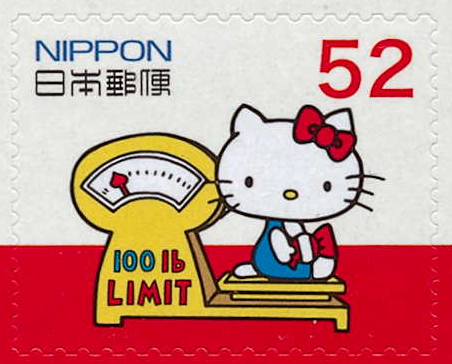 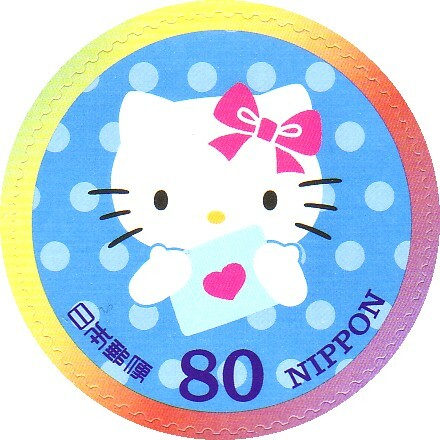 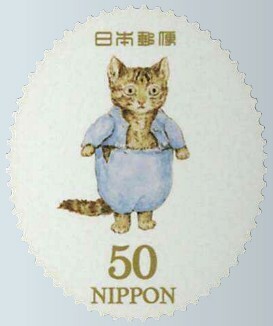 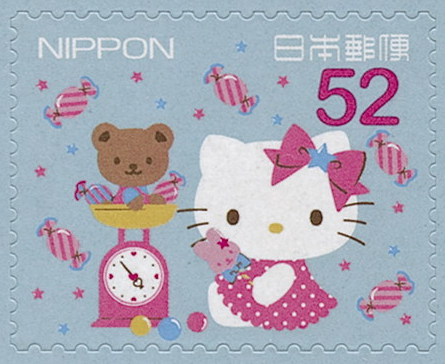 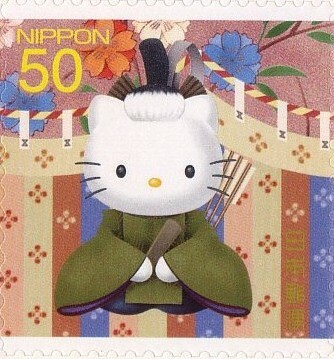 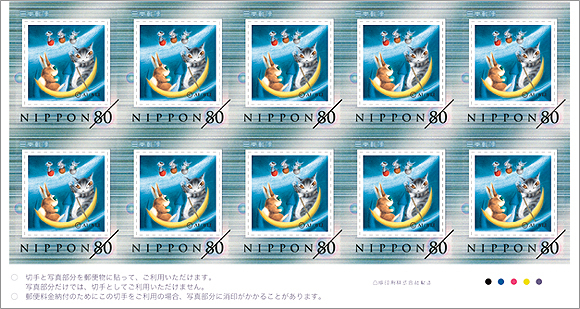 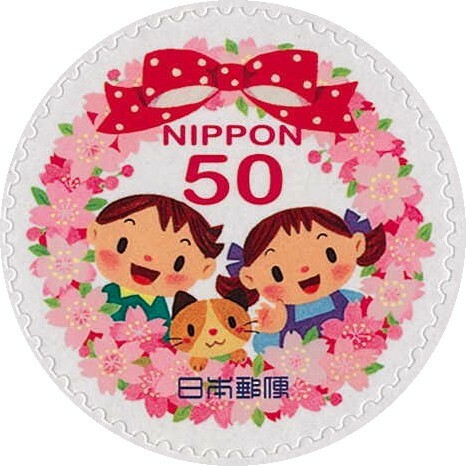 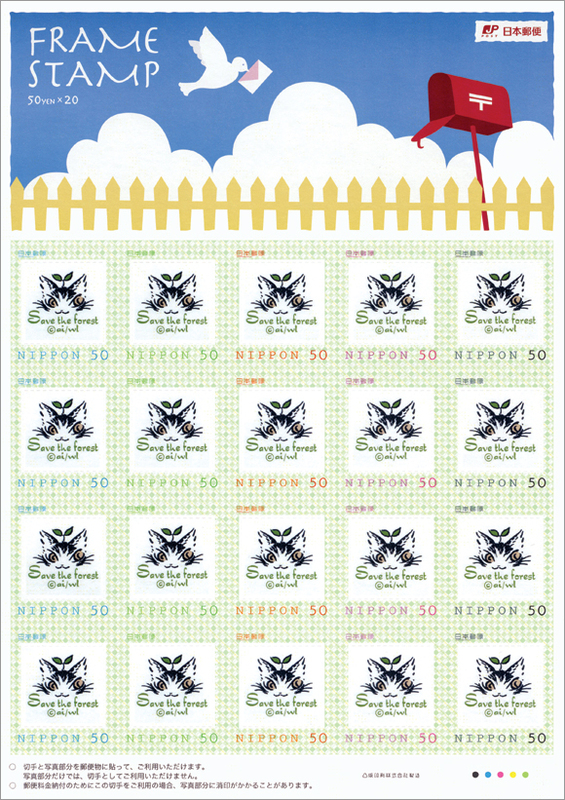 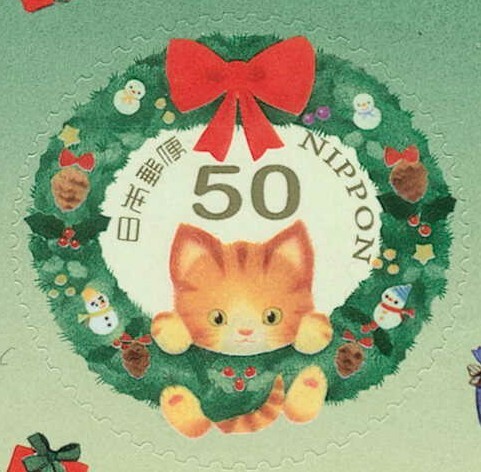 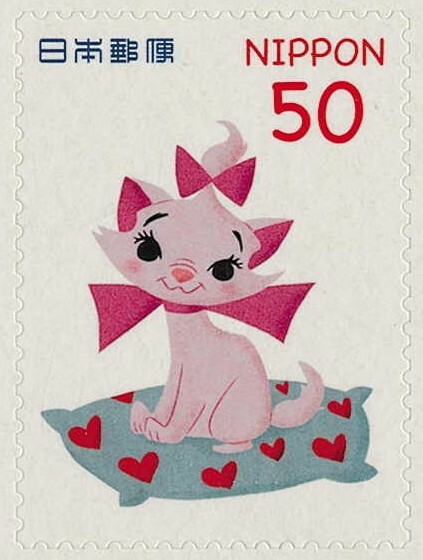 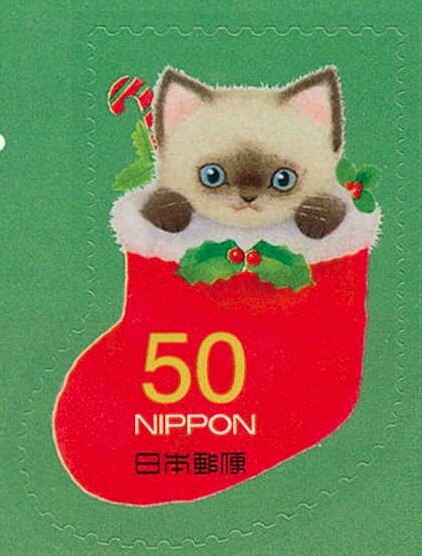 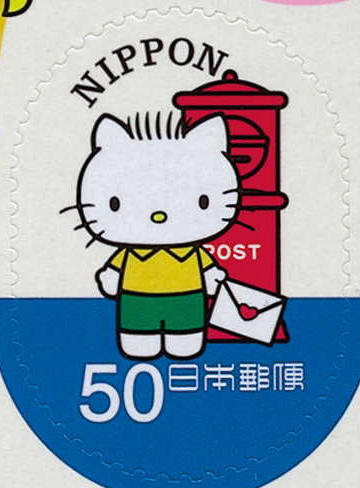 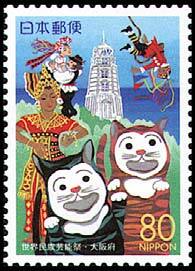 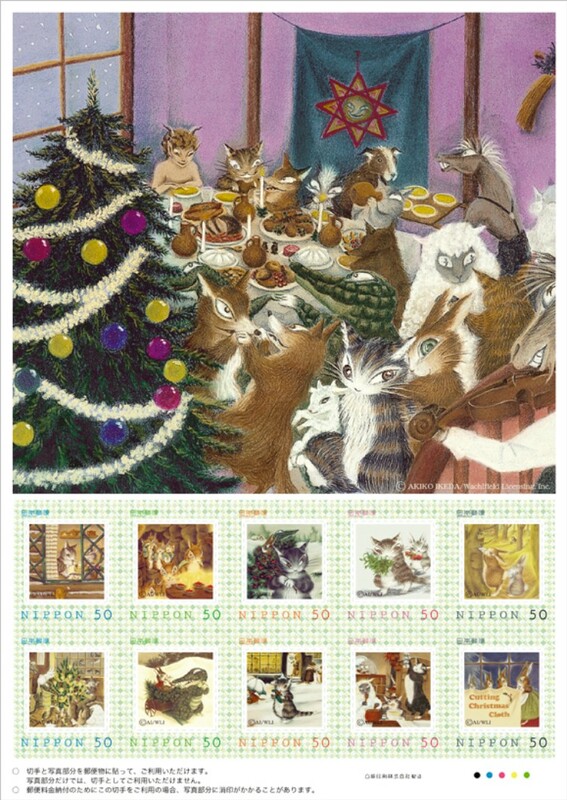 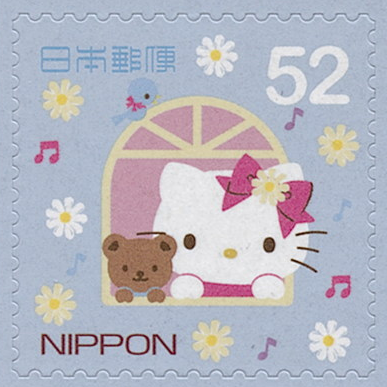 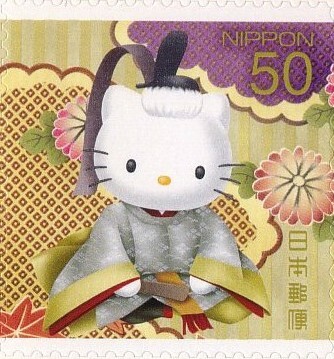 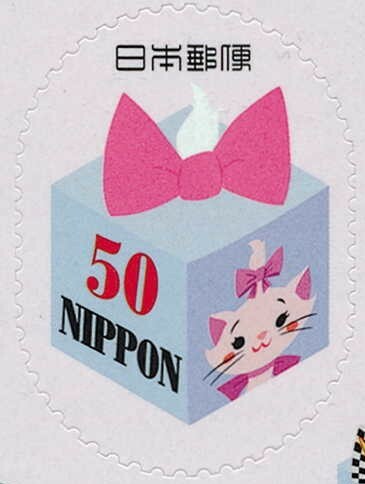 There are more than 60 versions of this postmark. 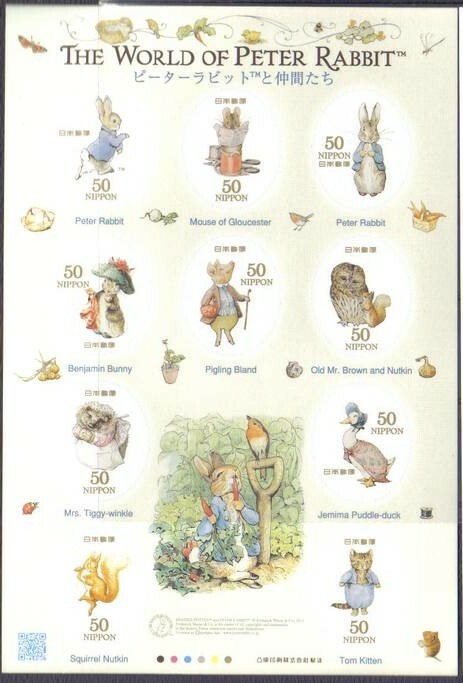 Click here for a detailed list. 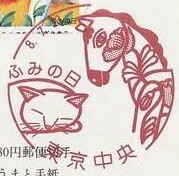 There are 10 different versions of this postmark. 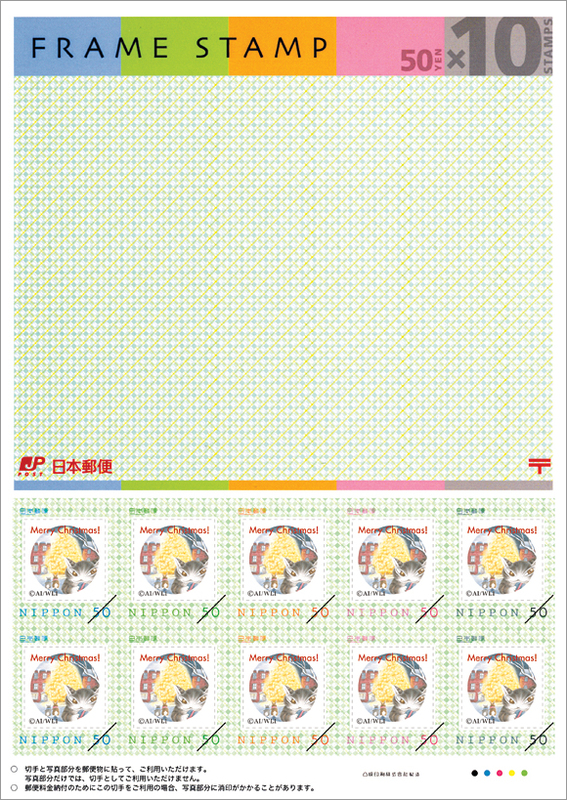 Click here for a detailed list. 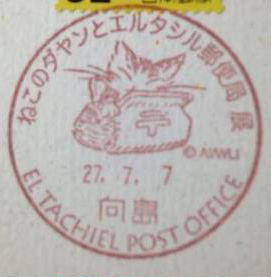 There are more than 60 different versions of this postmark. 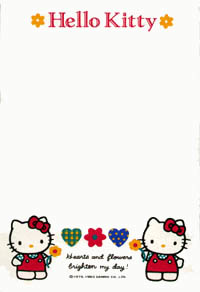 Click here for a detailed list. 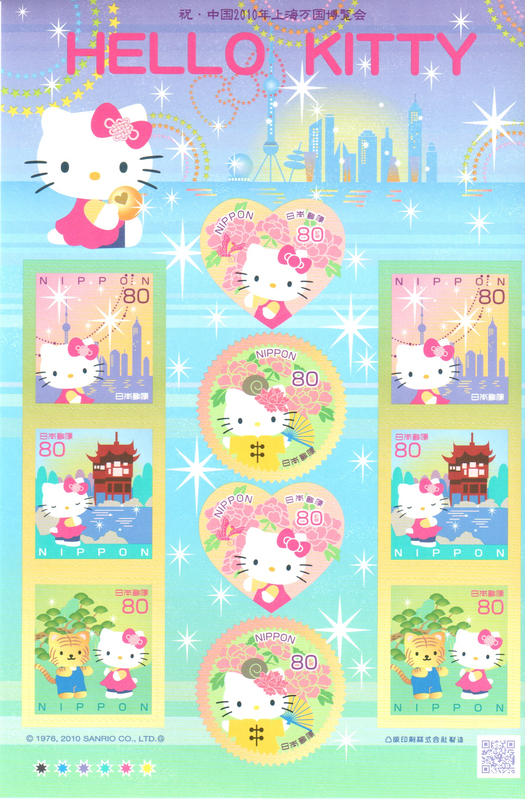 Also see 2008, 2010, 2012, 2014, 2015, 2016, and 2017 versions. 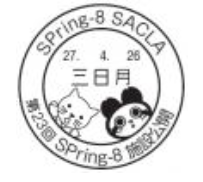 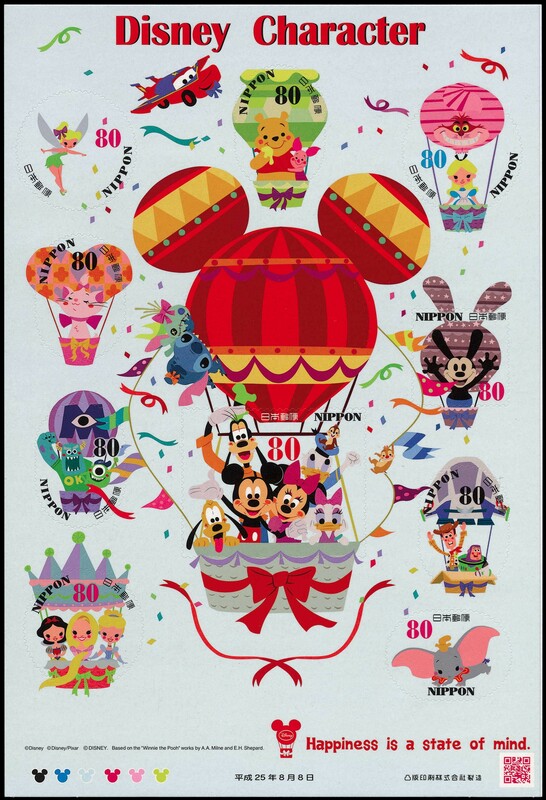 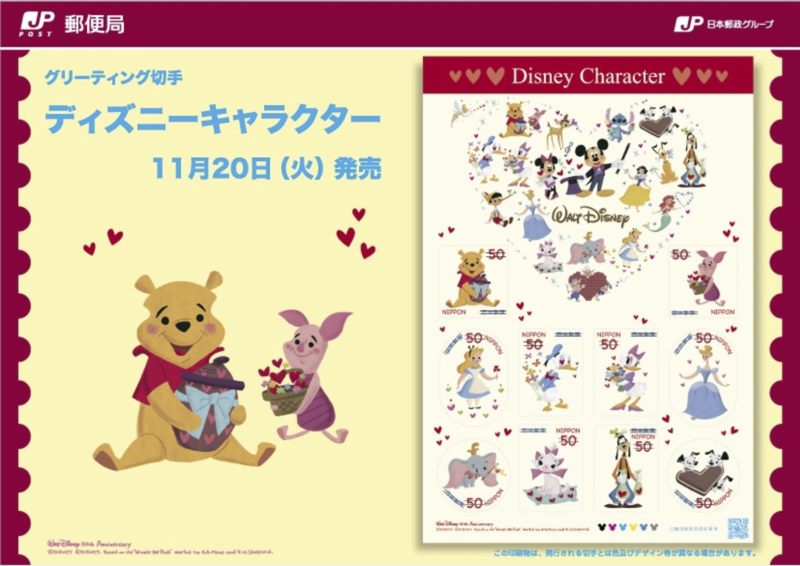 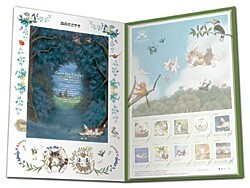 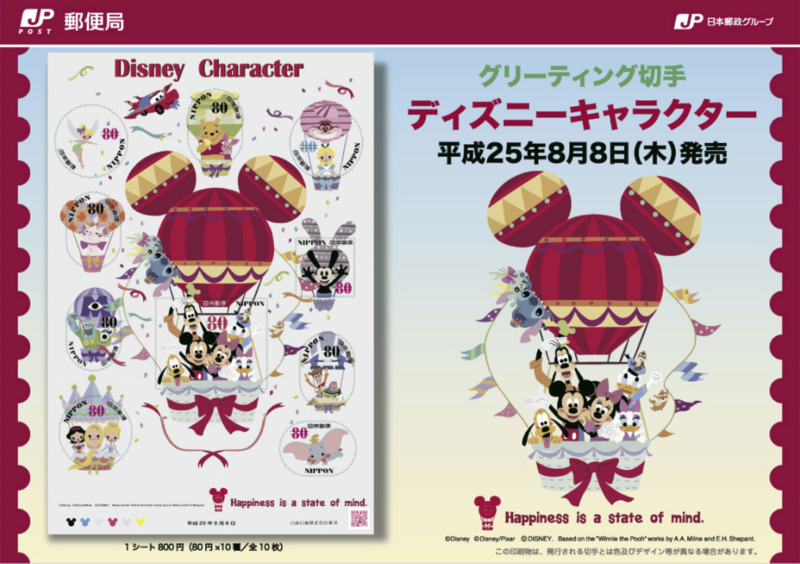 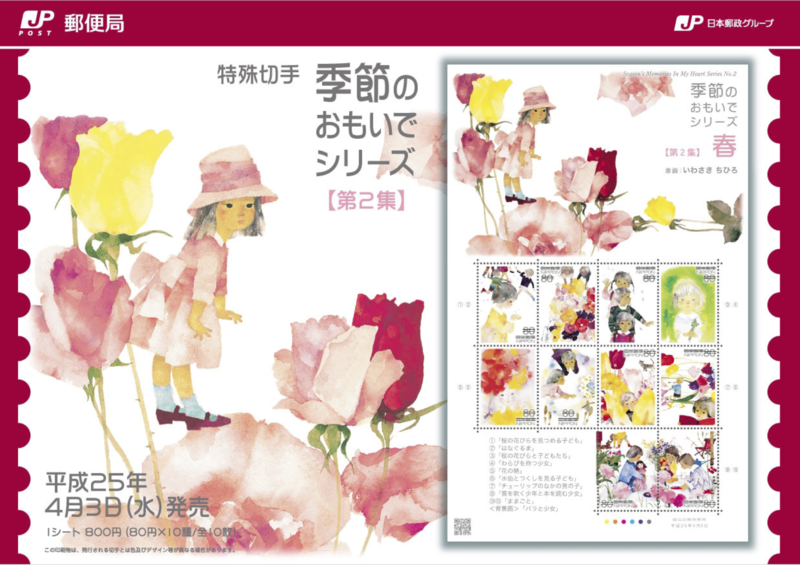 "SPring-8 SACLA - 第22回 SPring-8施設公開"
Also see 2008, 2010, 2012, 2013, 2015, 2016, and 2017 versions. 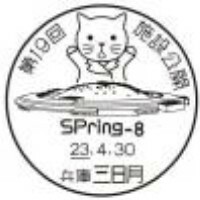 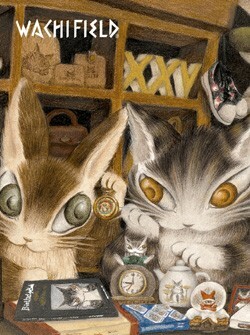 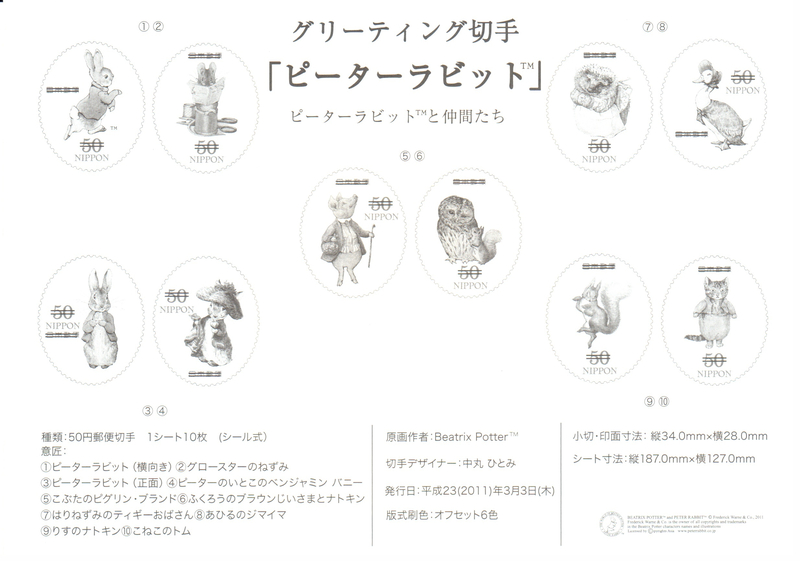 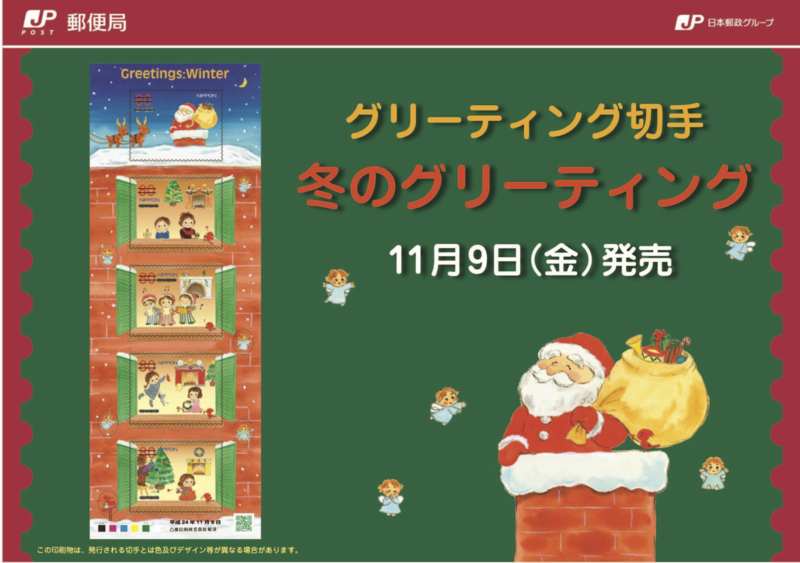 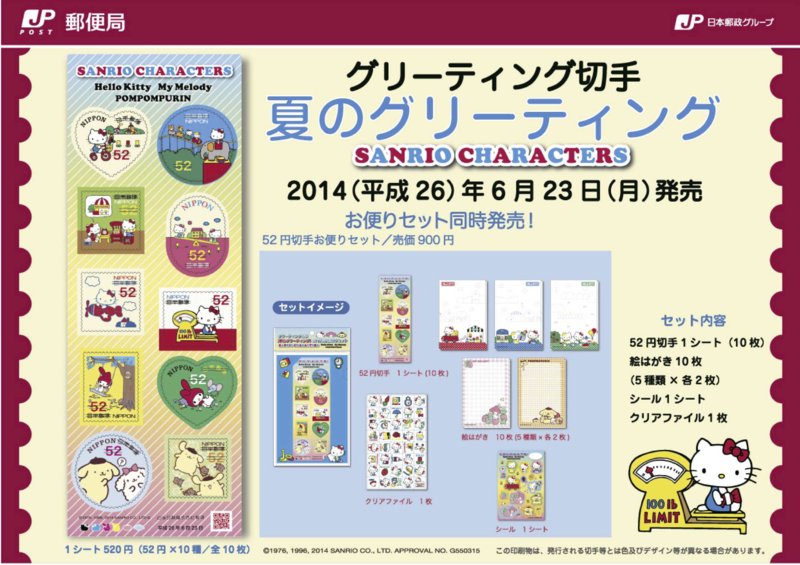 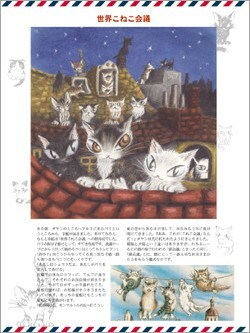 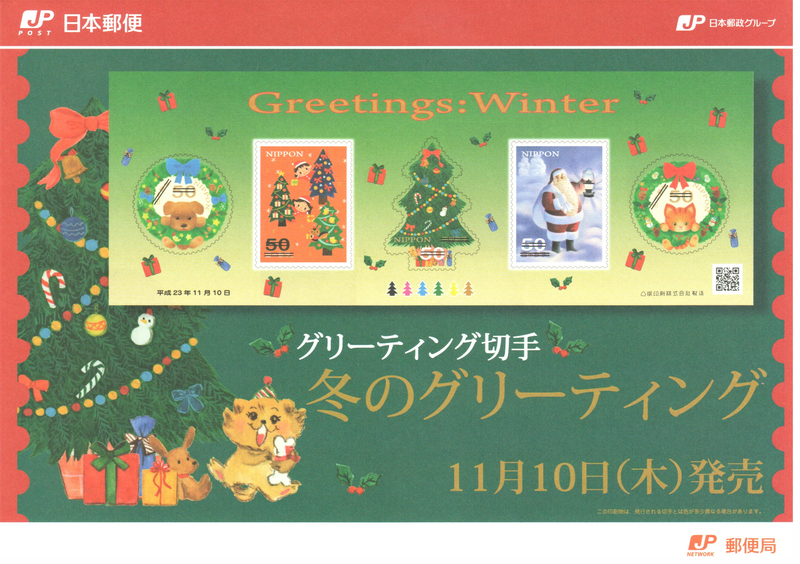 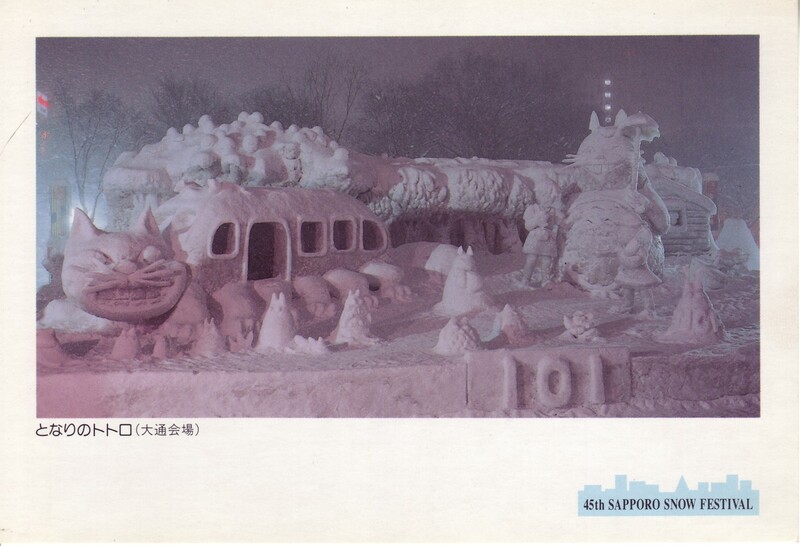 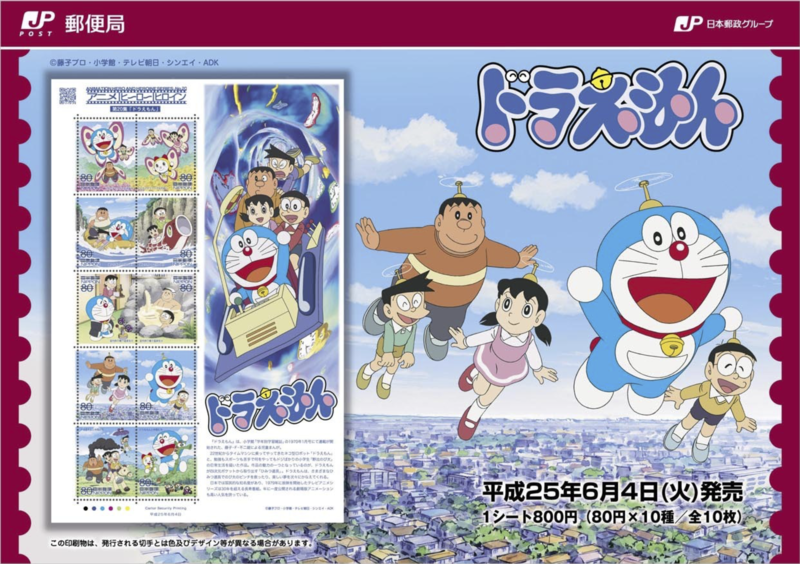 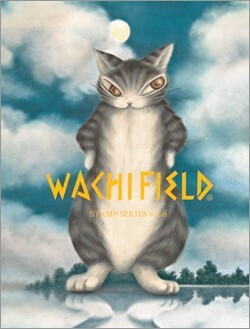 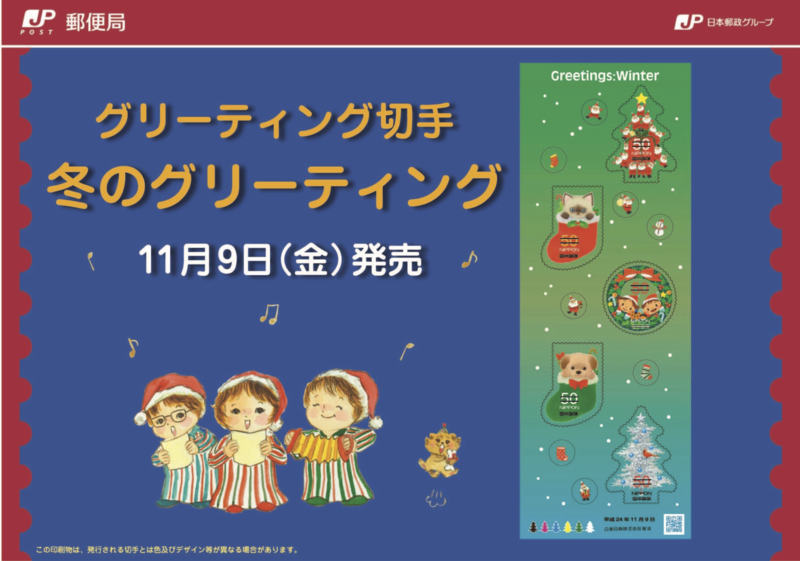 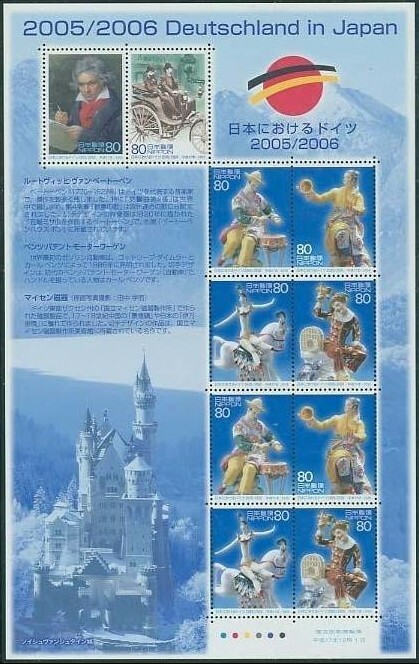 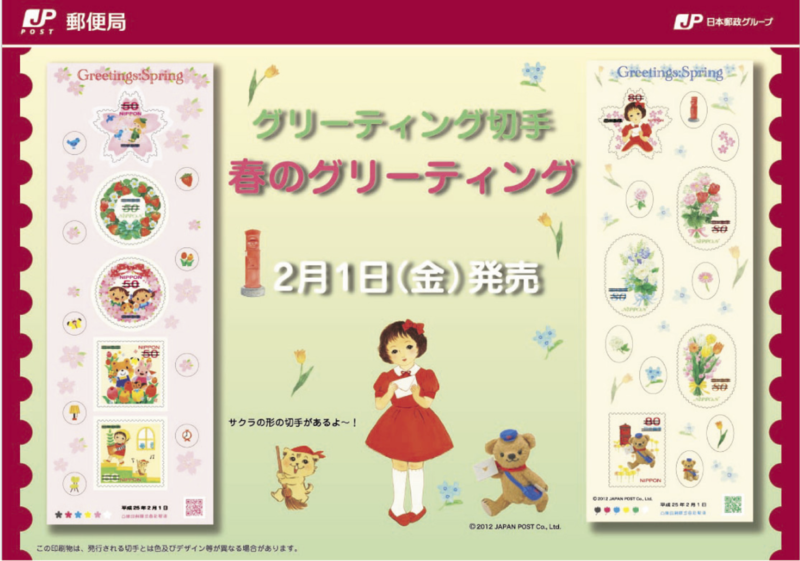 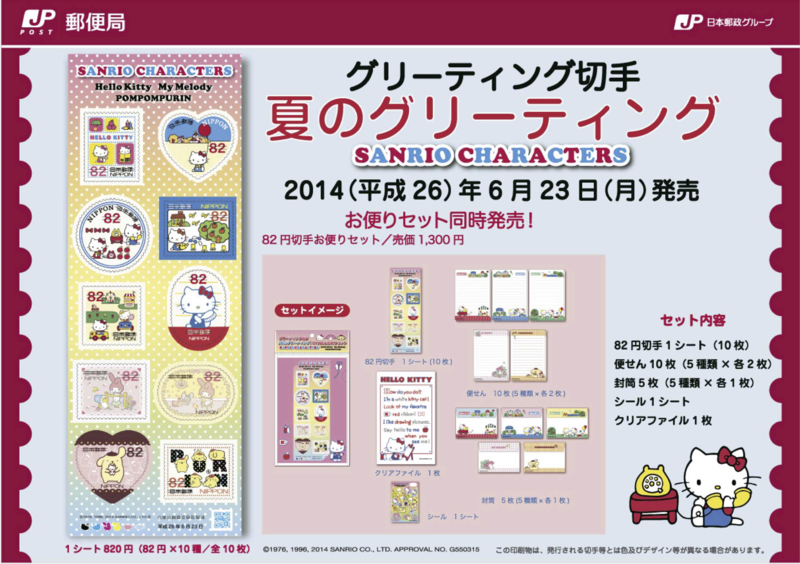 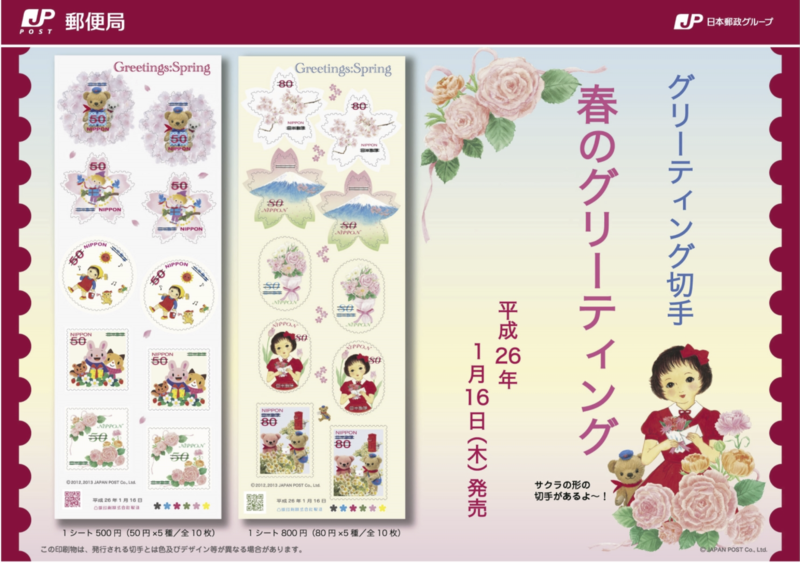 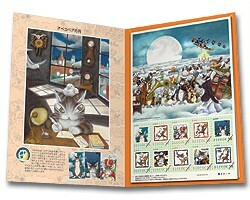 "ドラえもんポスト - 設置記念 - ©Fujiko-Pro"
"SPring-8 SACLA - 第23回 SPring-8施設公開"
"ねこのダヤンとエルタシル郵便局 展 - El Tachiel Post Office"
Regional issue for Hokkaido, marked "北海道"
Regional issue for Tohoku, marked "東北版"
"グリーティング • サンリオキャラクター グリーティング • ハローキティ"